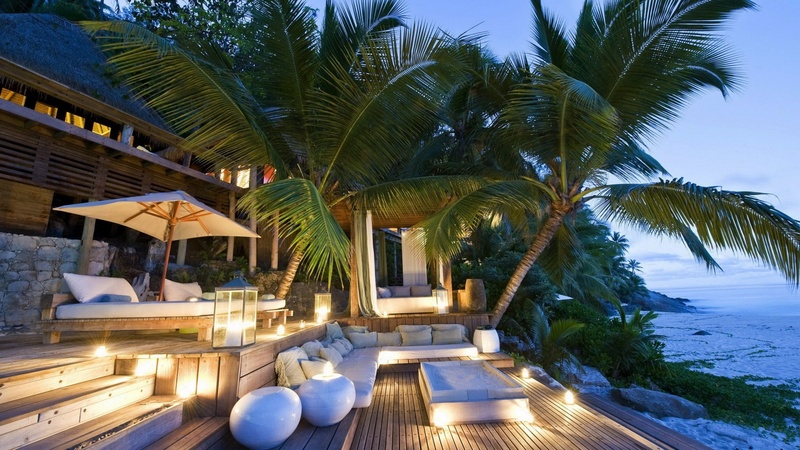 Couples Swept Away offers the intimacy of a private villa and the romantic ambiance of a tropical hideaway. 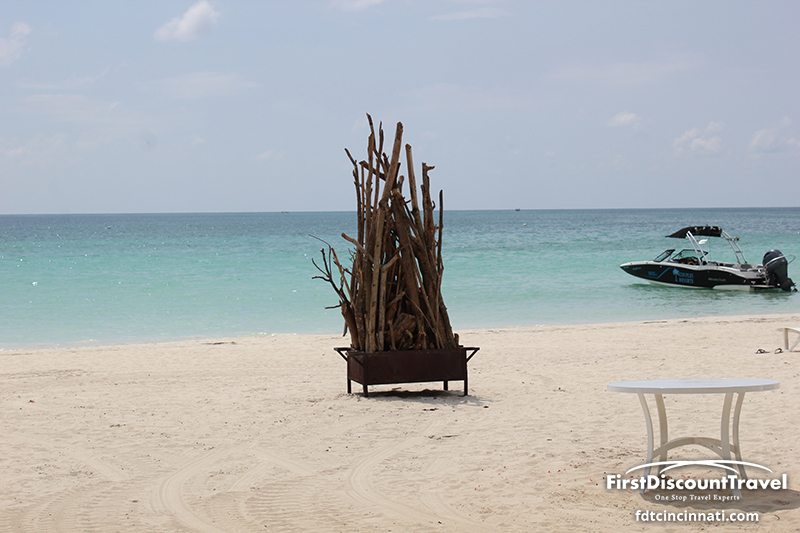 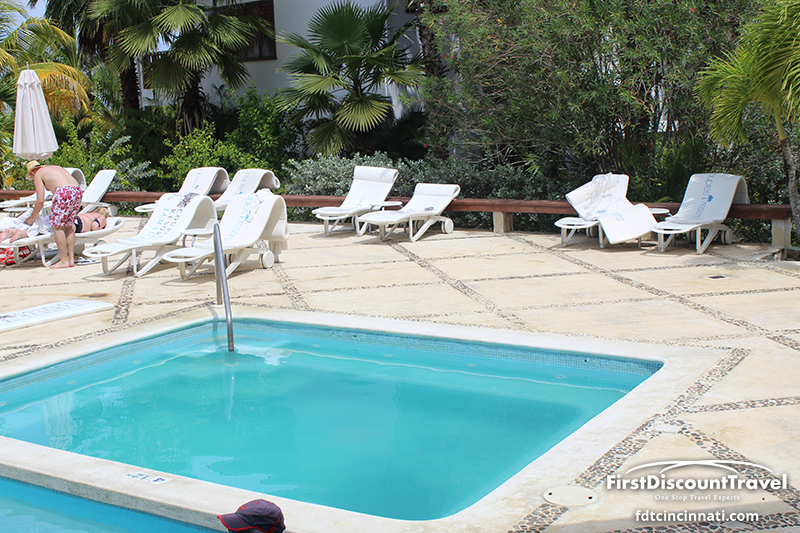 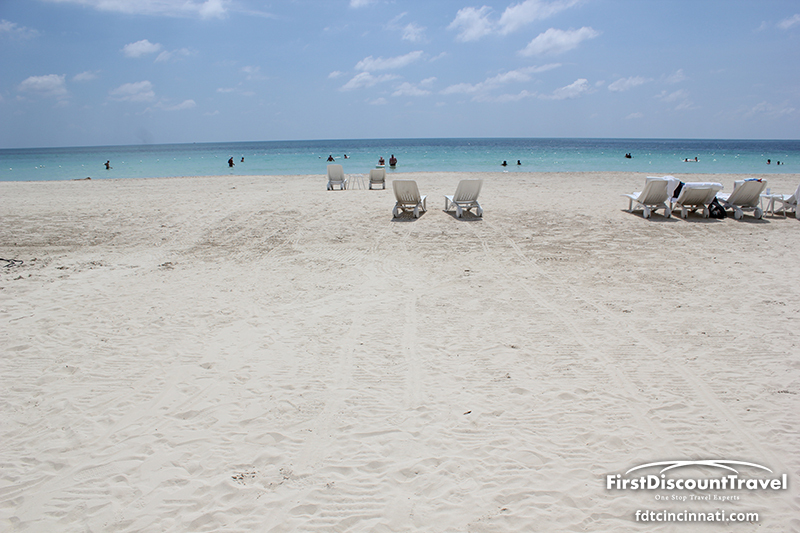 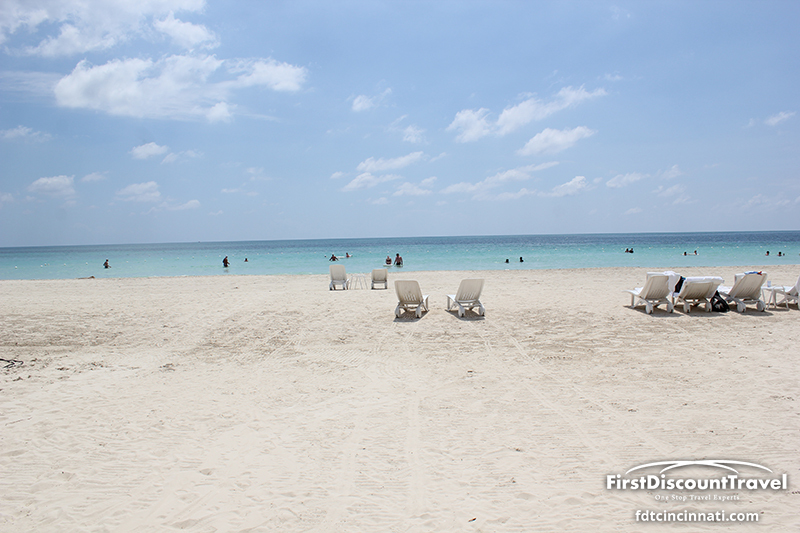 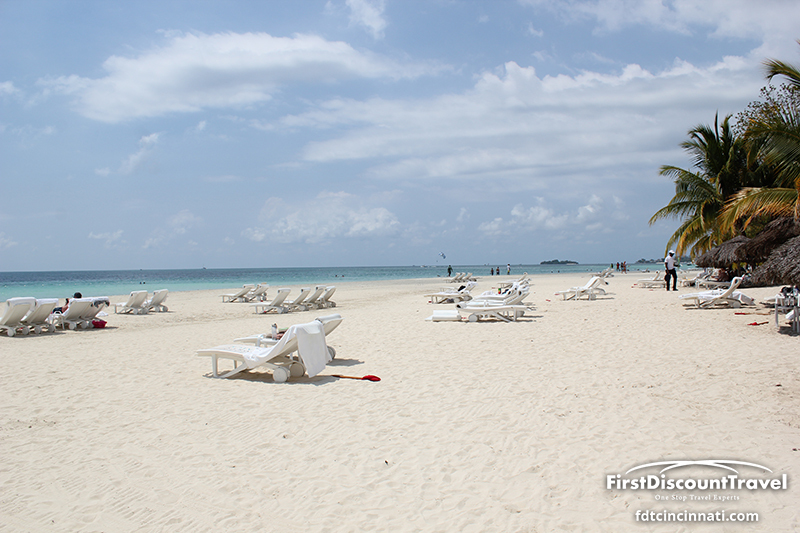 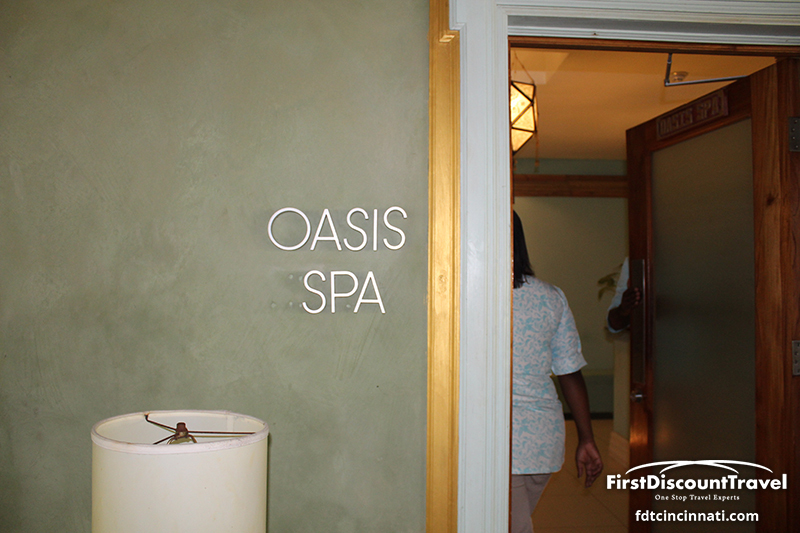 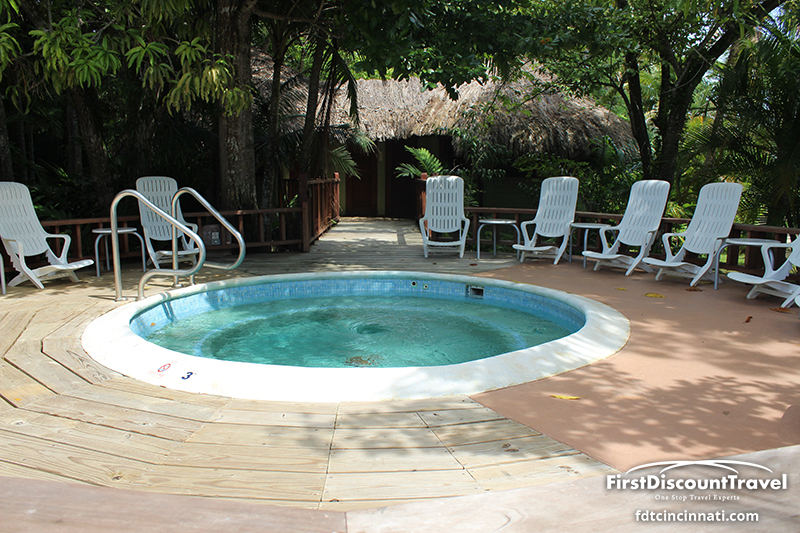 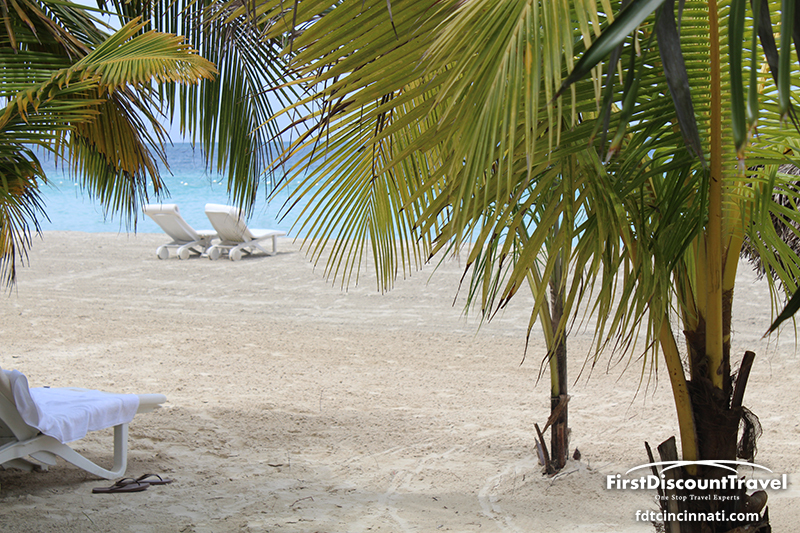 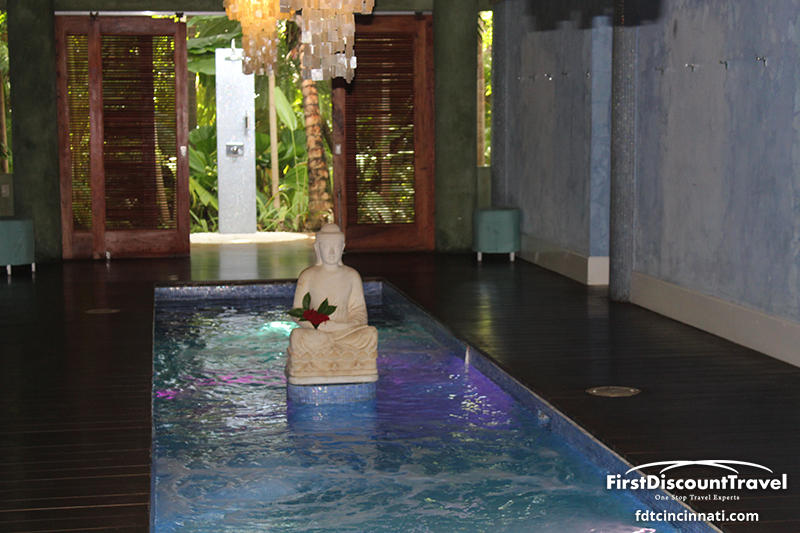 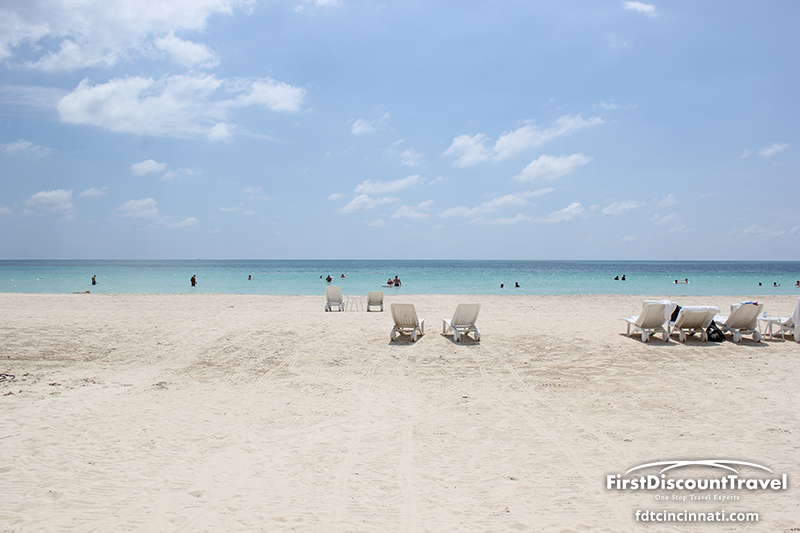 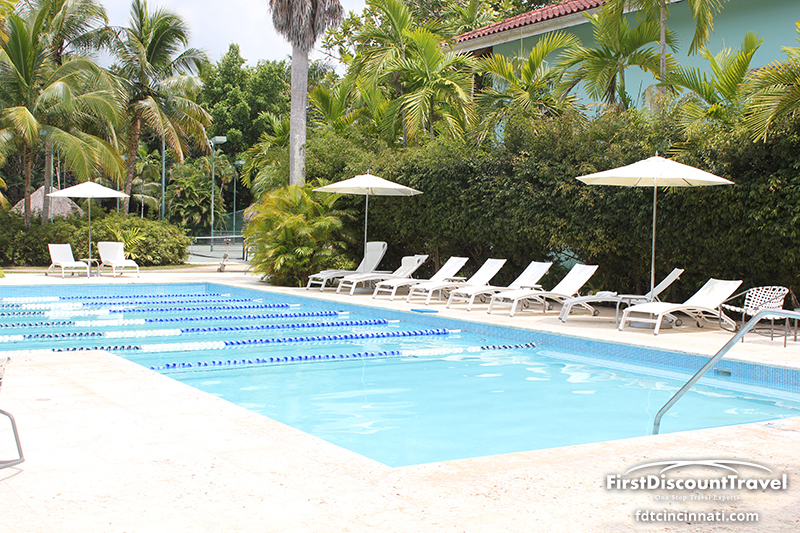 Mind and body are soothed by the warm waters and even warmer welcome you will find here. 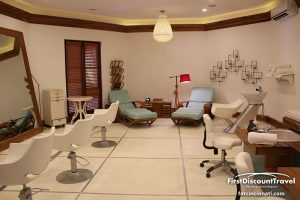 From scuba diving and sailing to spa treatments and yoga, this is an environment that will restore, refresh and invigorate. 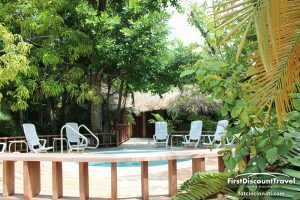 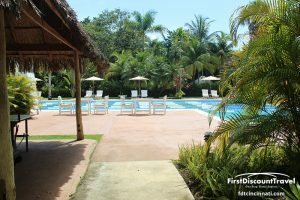 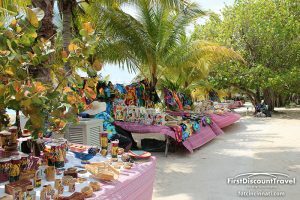 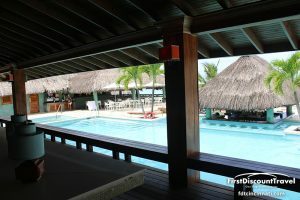 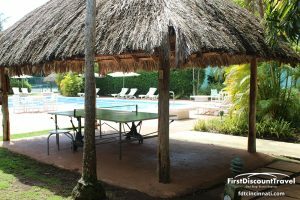 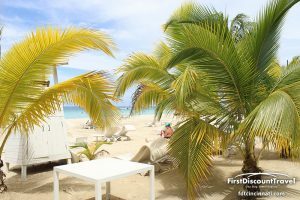 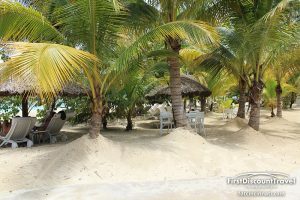 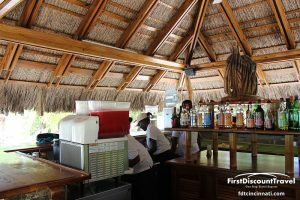 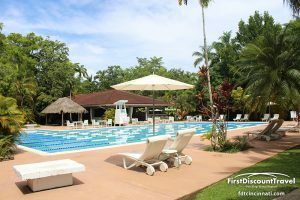 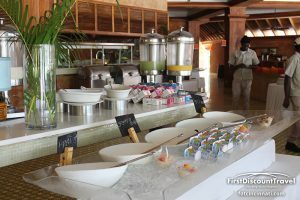 This all-inclusive experience includes unlimited meals, unlimited premium brand drinks, a wonderful fruit and veggie bar and an endless array of land-sports, water sports and off-site excursions. 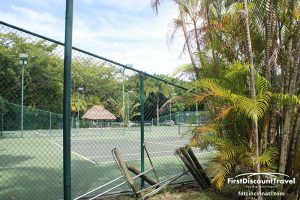 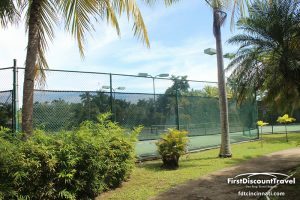 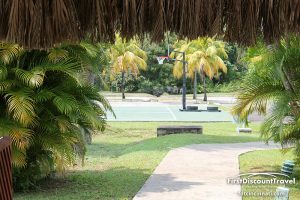 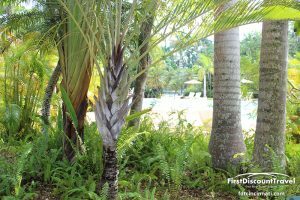 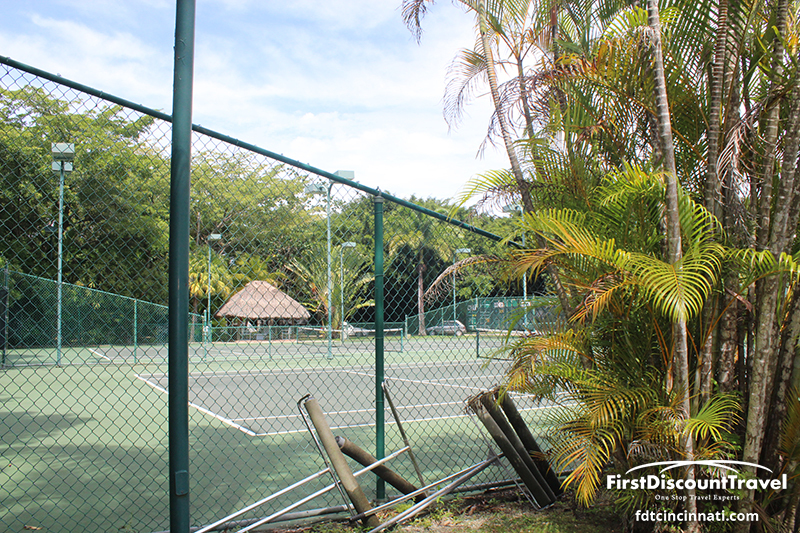 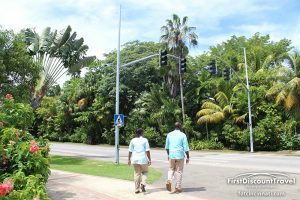 There are ten lighted tennis courts, a 10-acre sports and fitness complex, and 7 miles of a soft white sand beach awaiting your footprints. Swept Away is a beautiful resort. 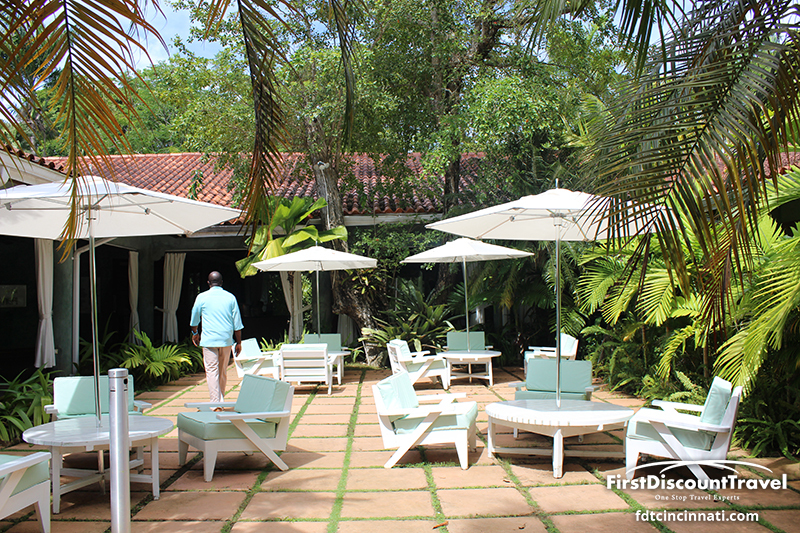 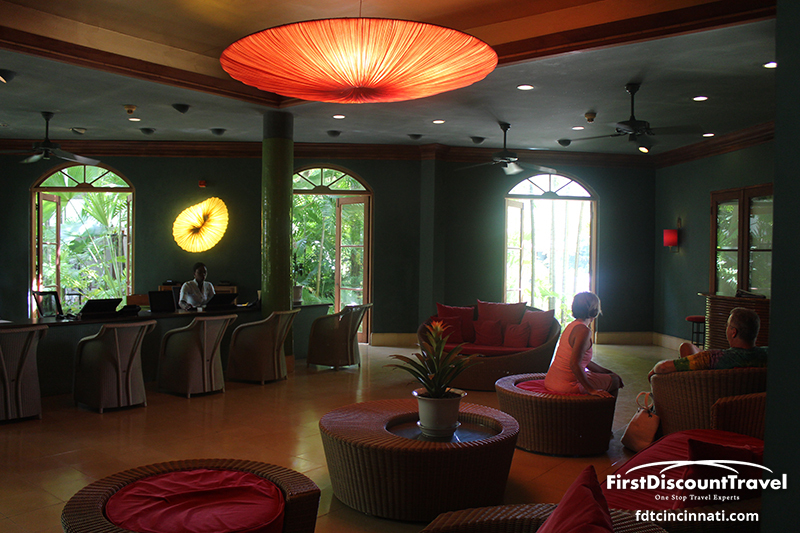 As the name refers to, the resort wants to sweep you away from the stress of your daily life. 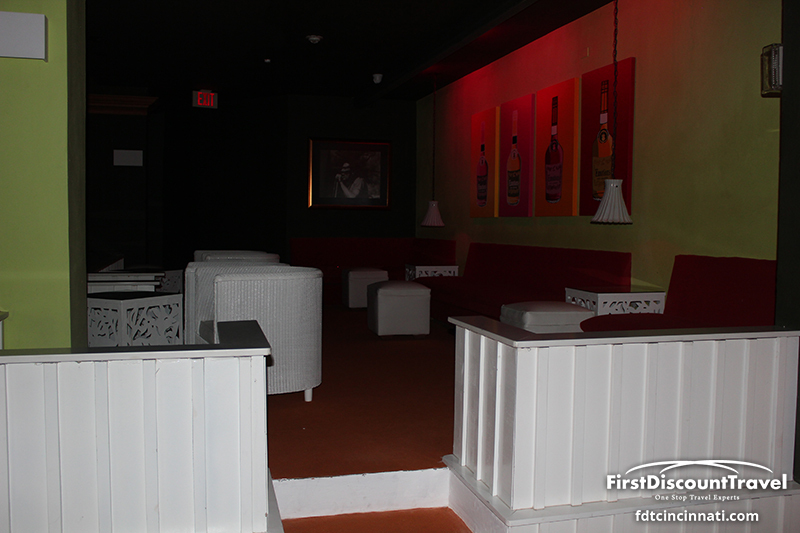 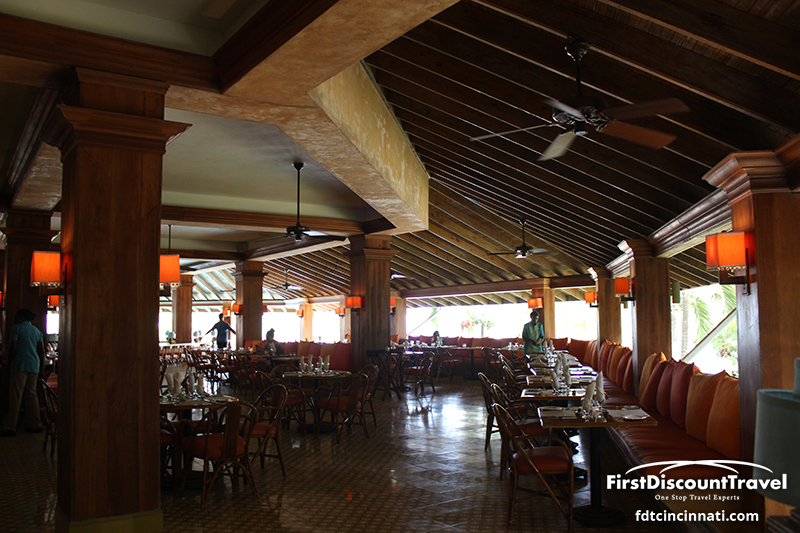 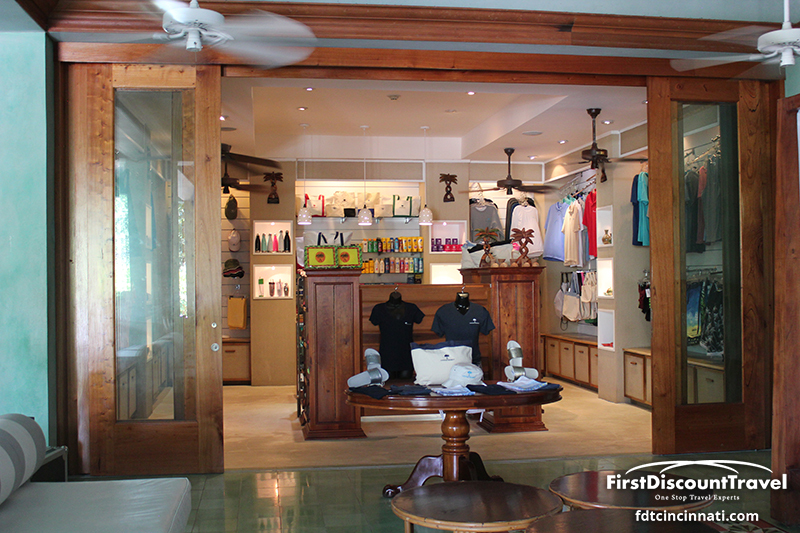 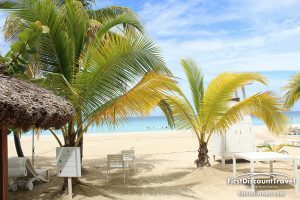 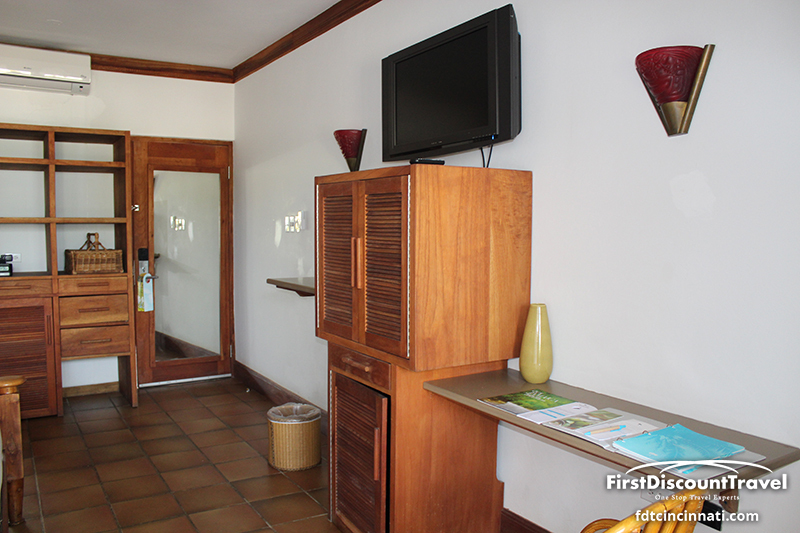 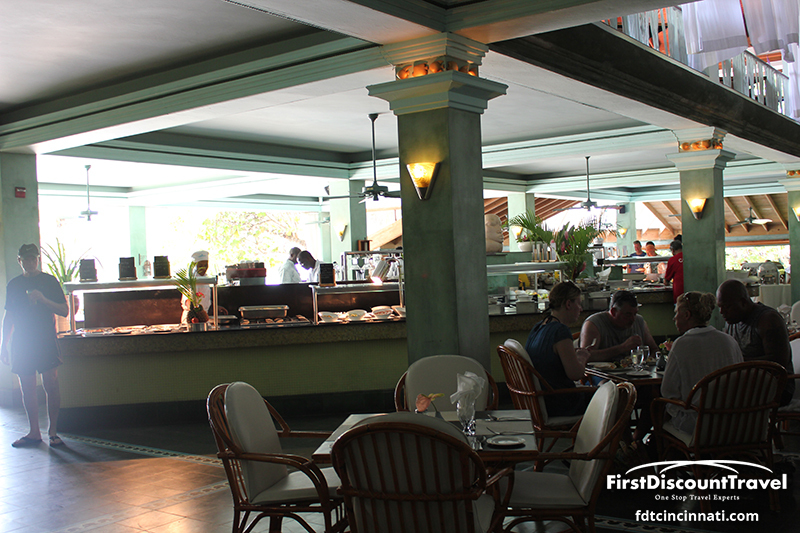 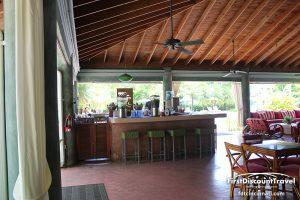 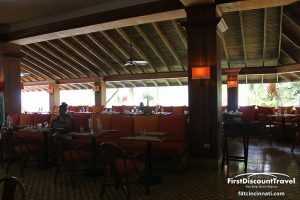 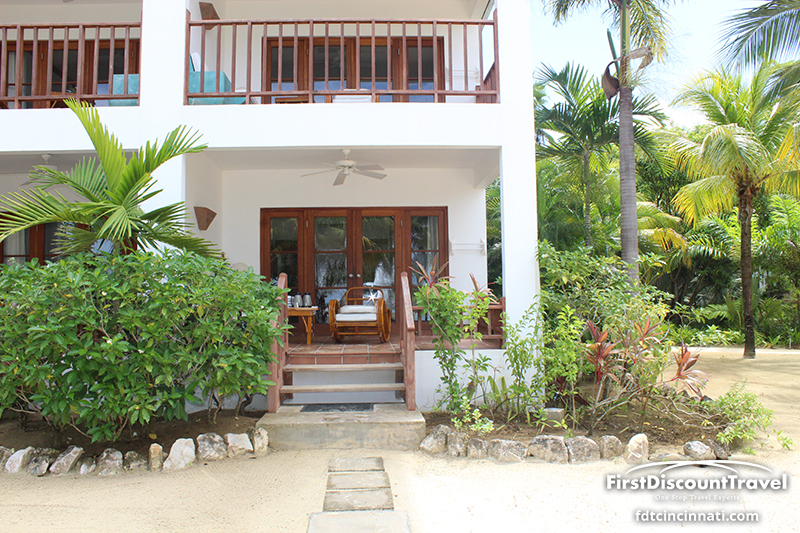 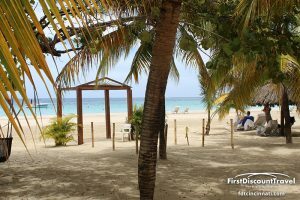 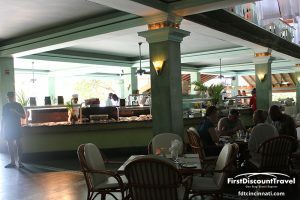 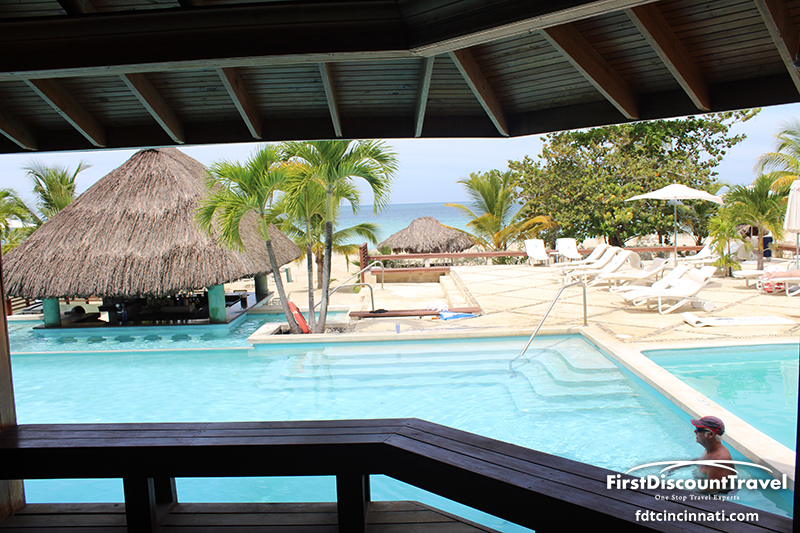 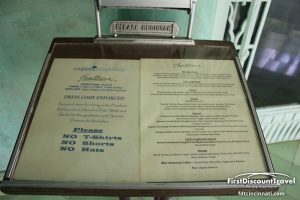 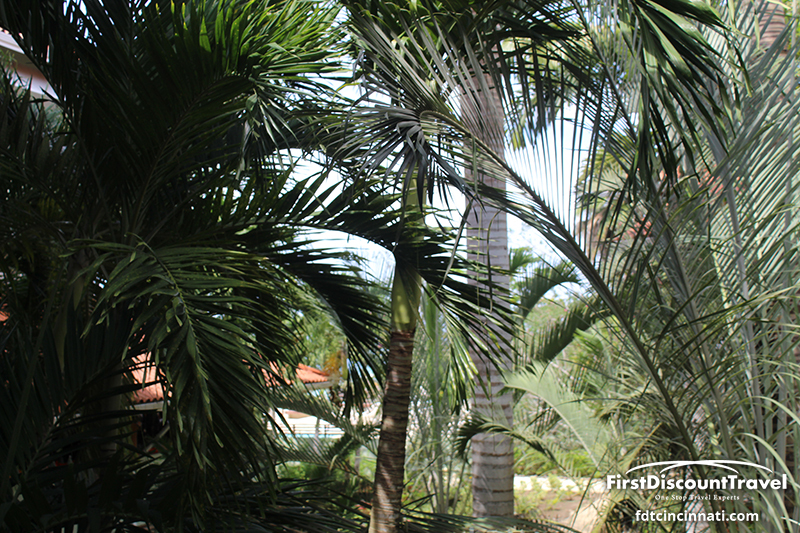 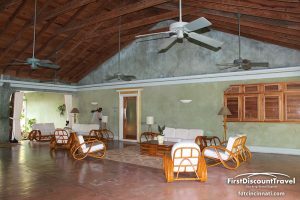 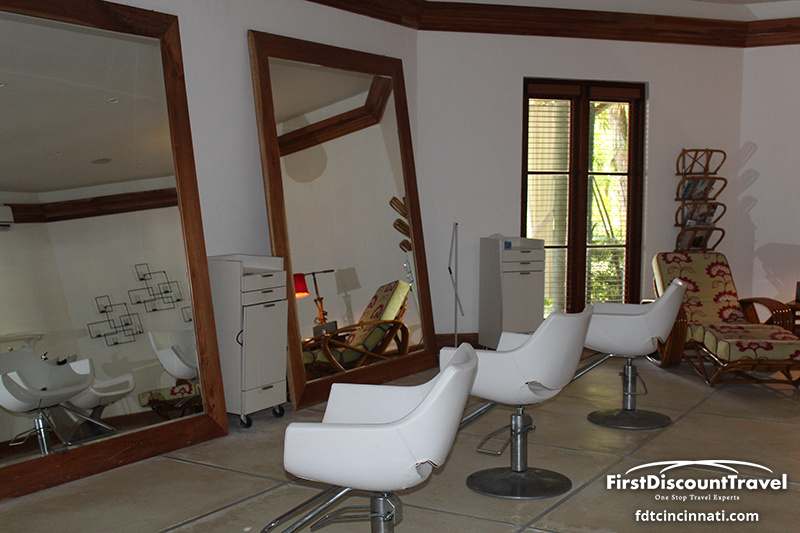 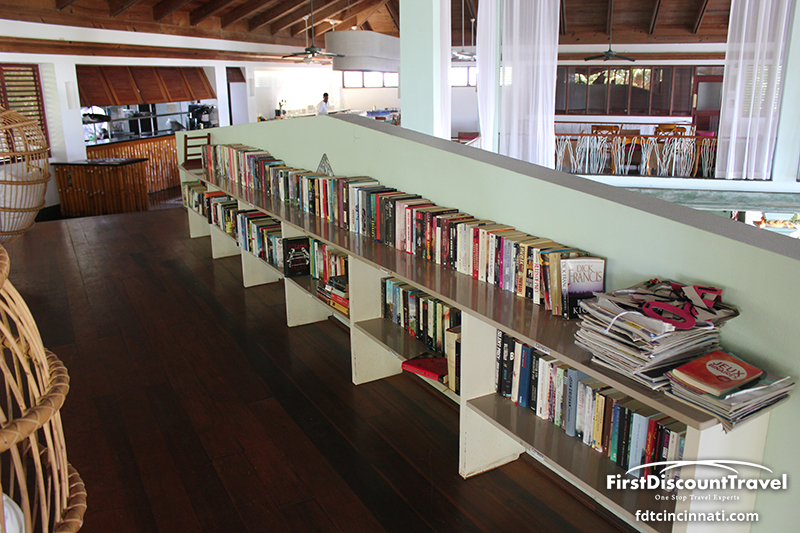 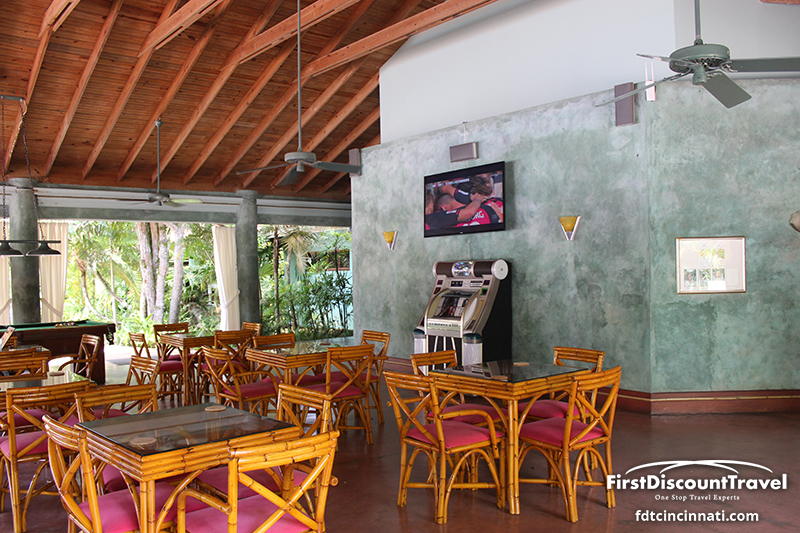 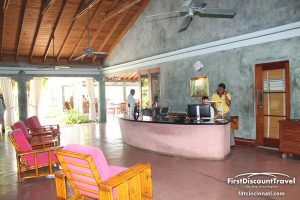 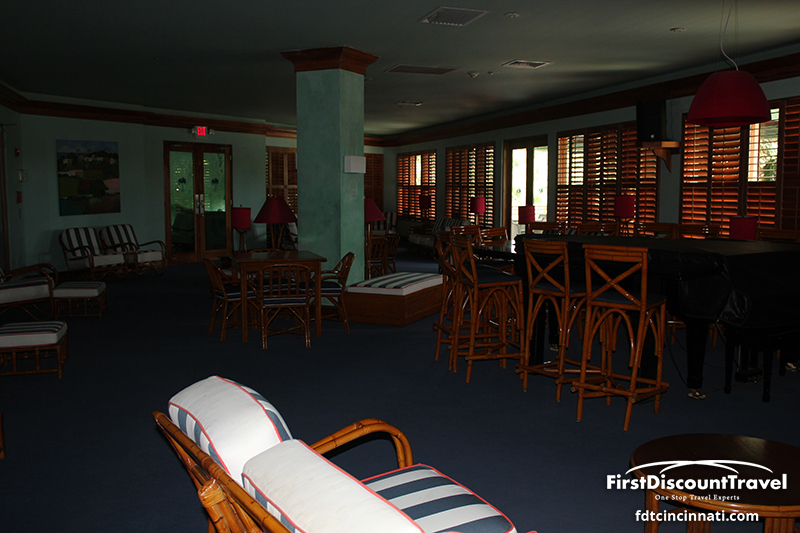 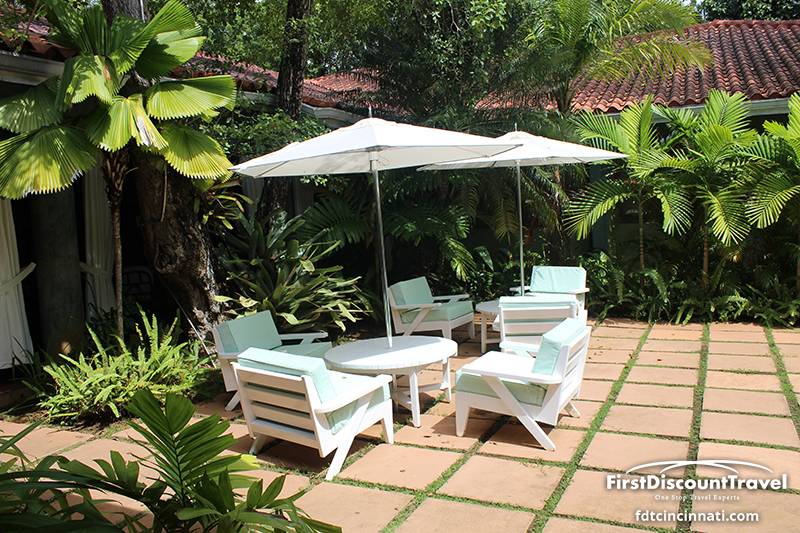 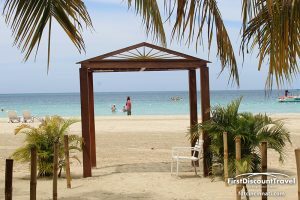 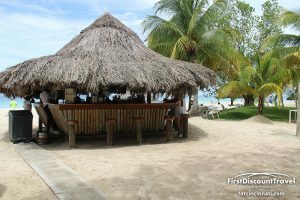 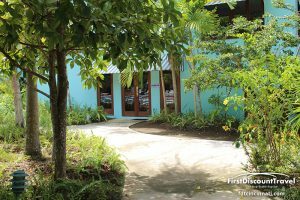 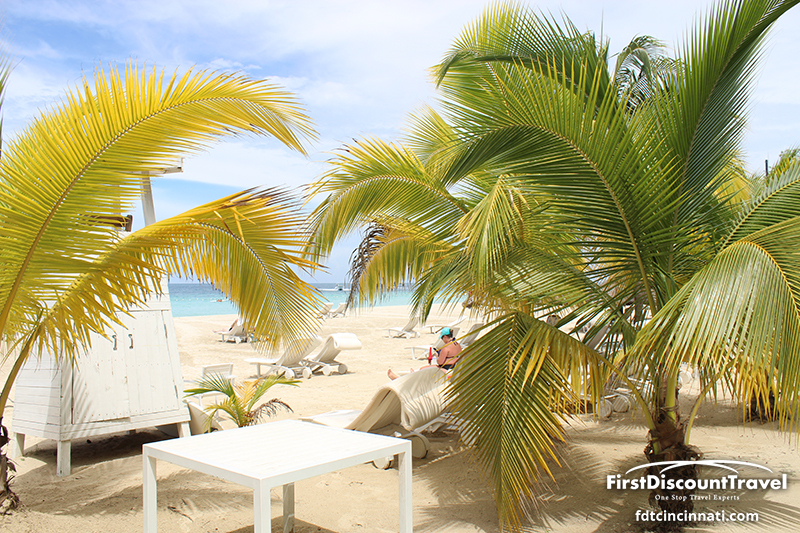 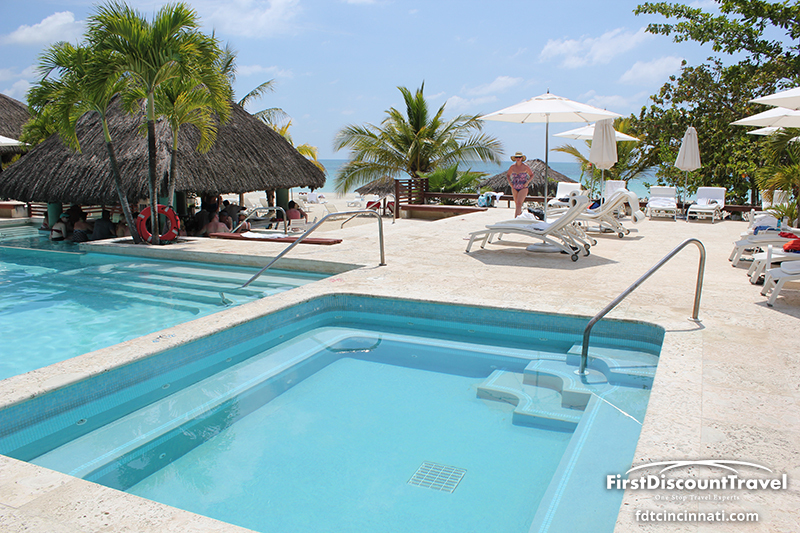 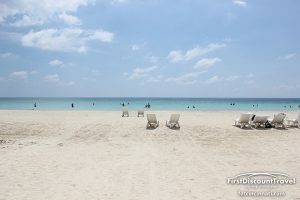 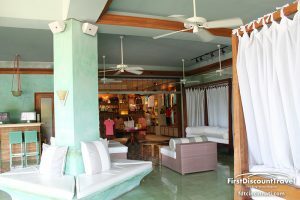 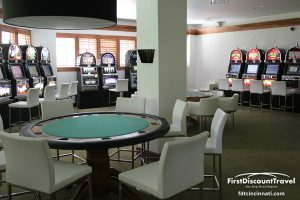 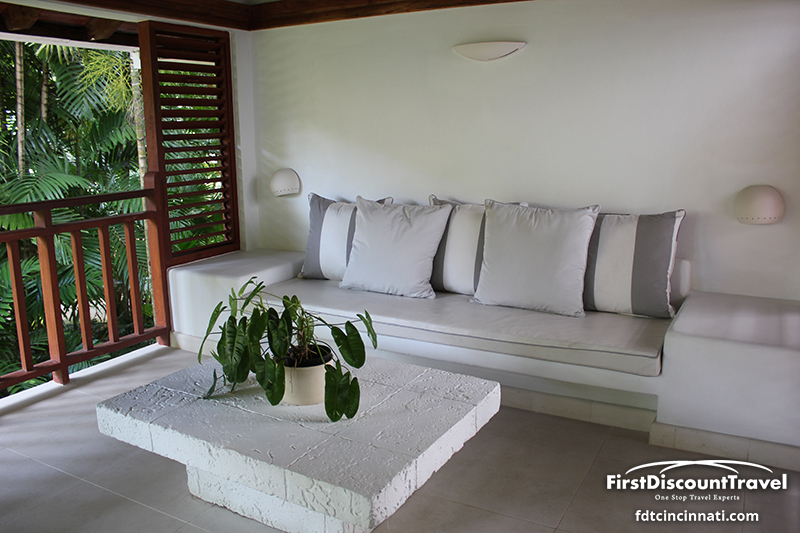 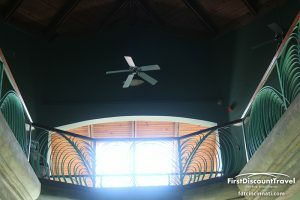 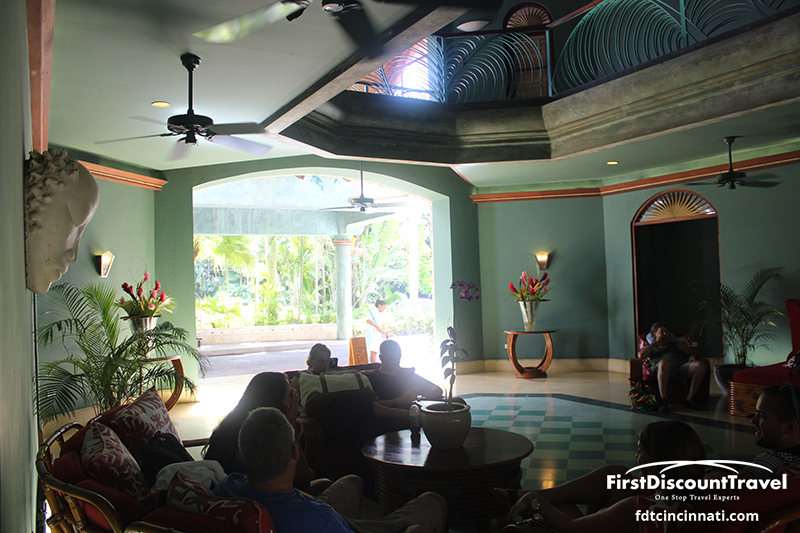 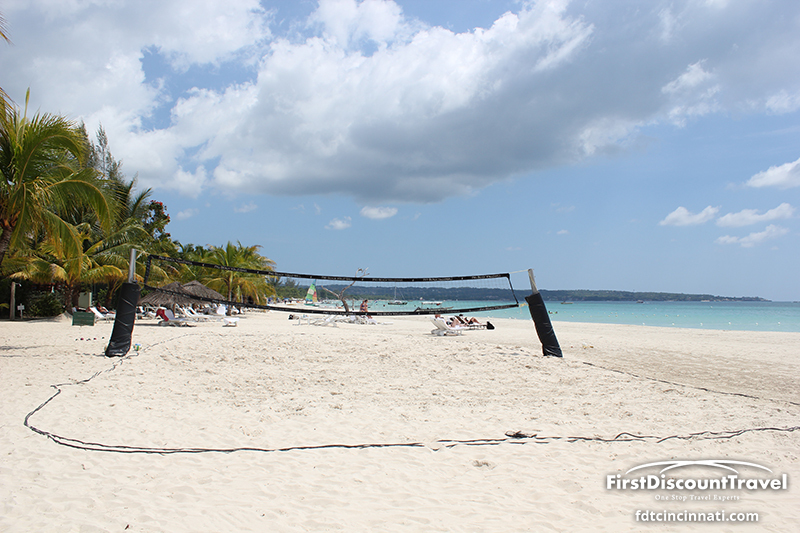 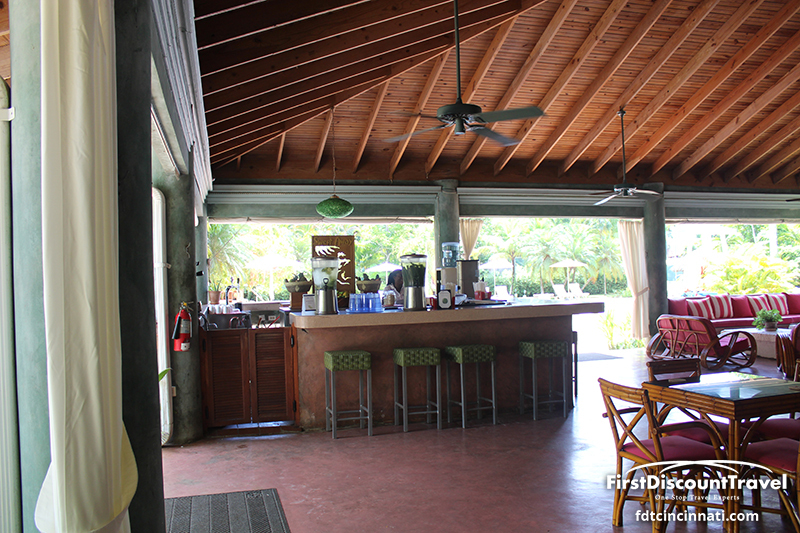 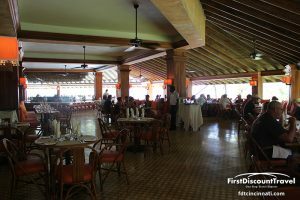 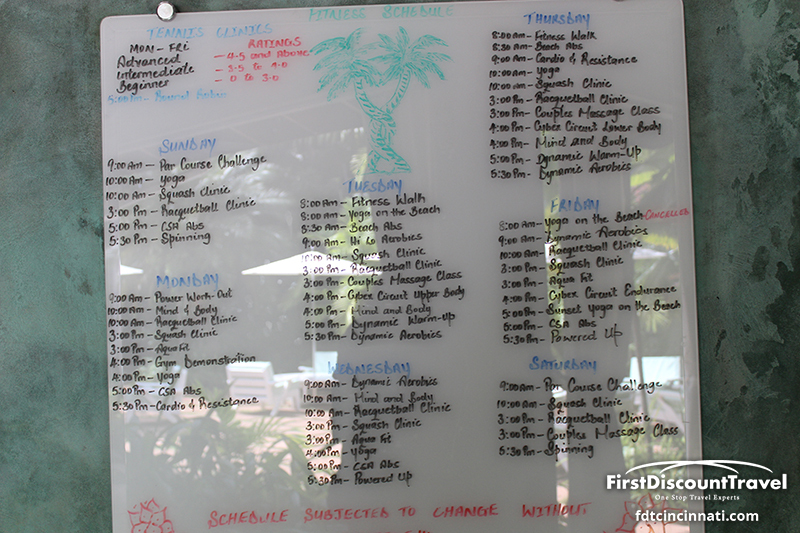 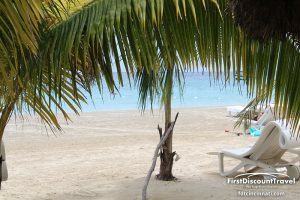 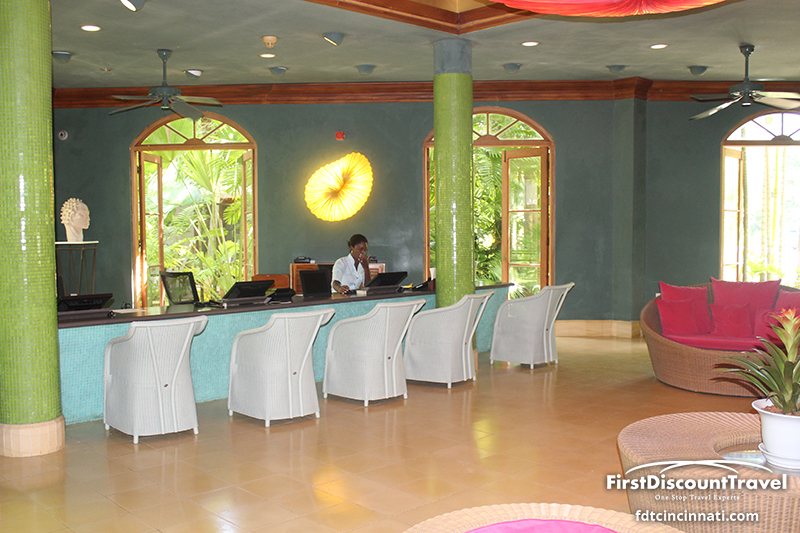 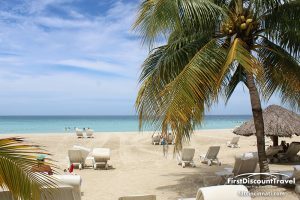 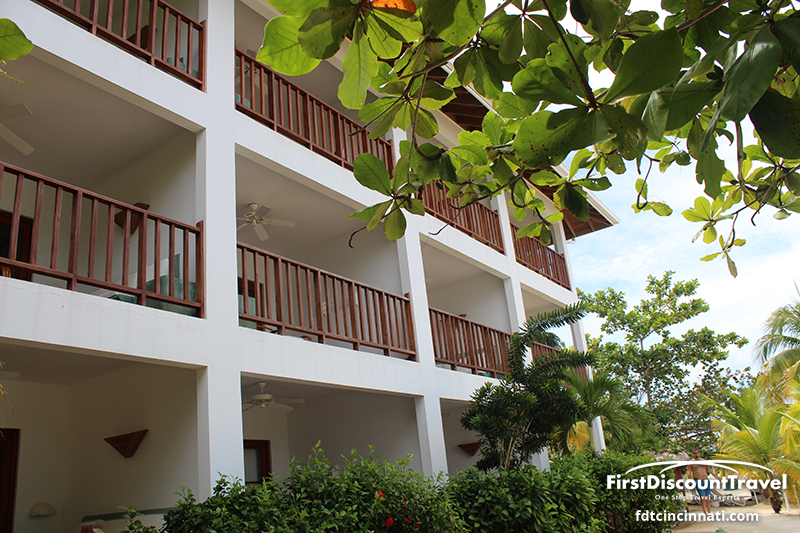 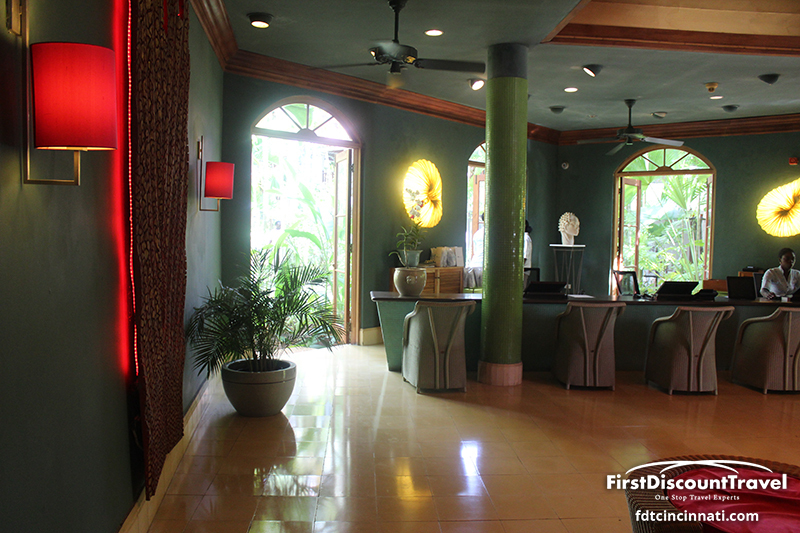 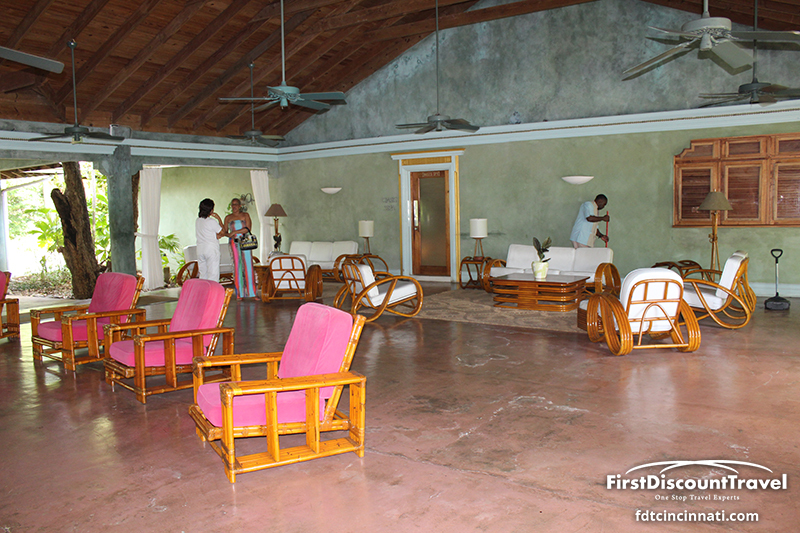 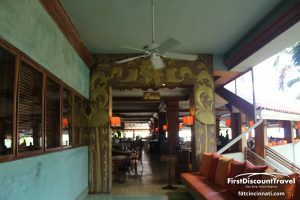 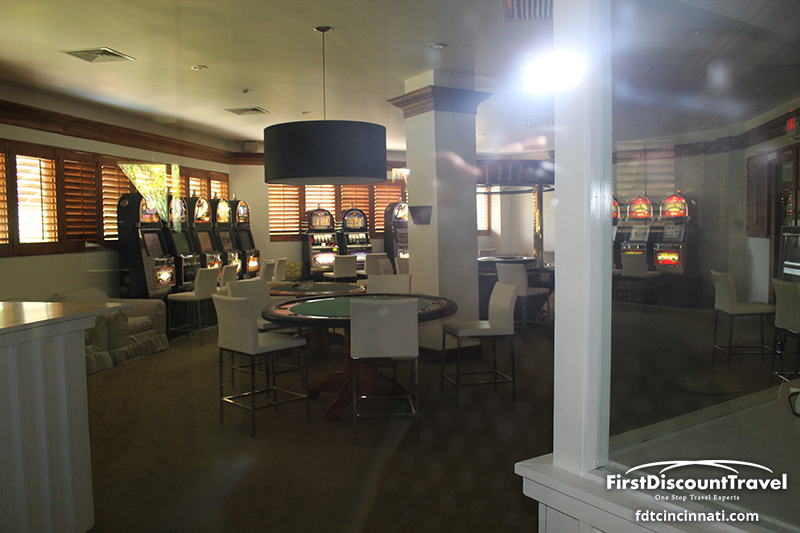 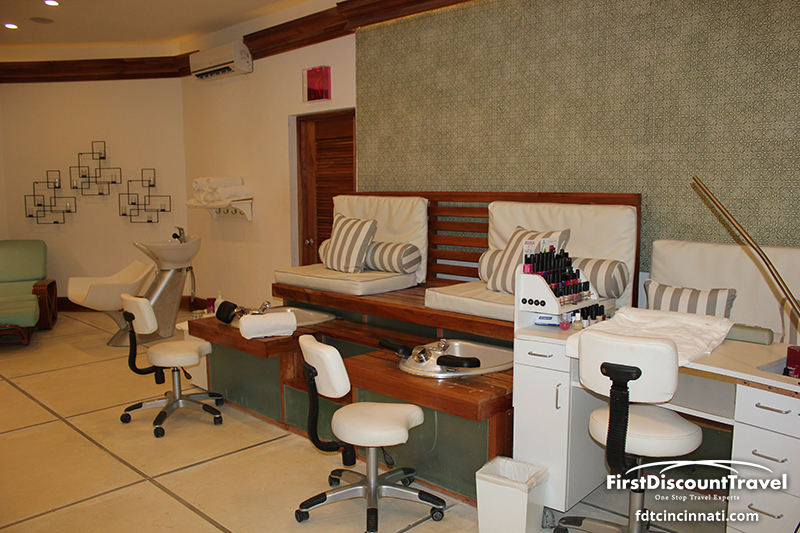 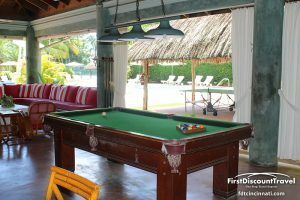 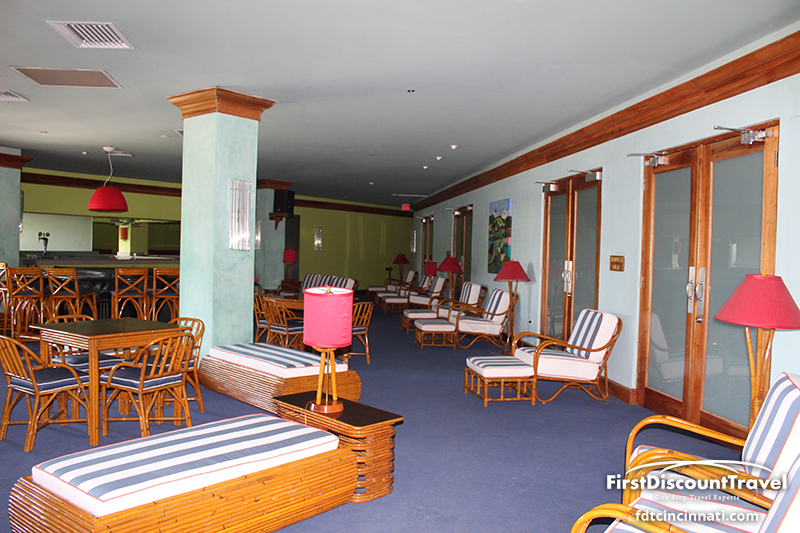 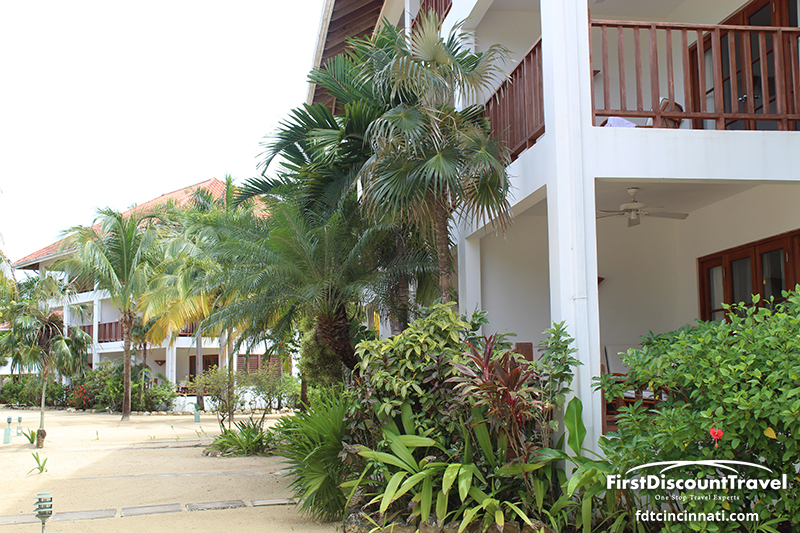 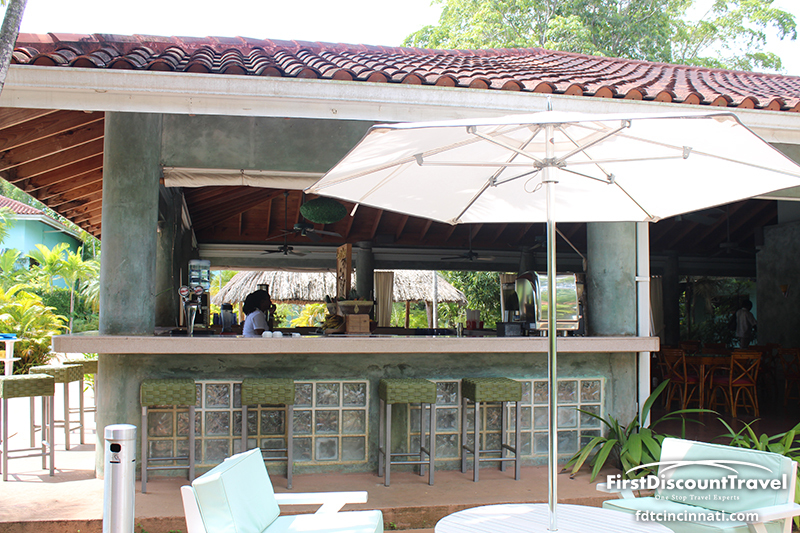 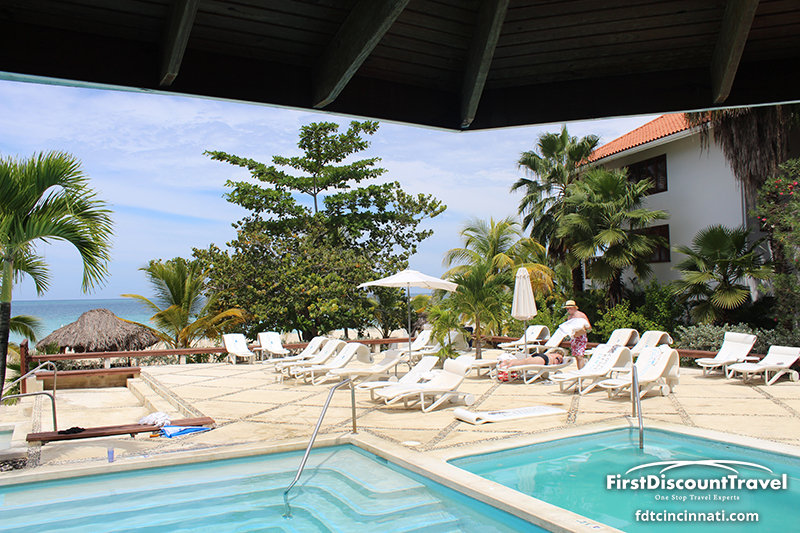 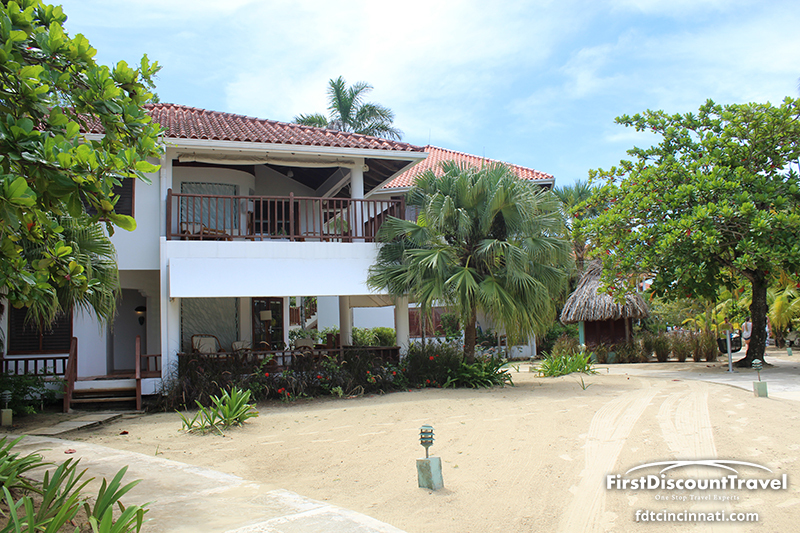 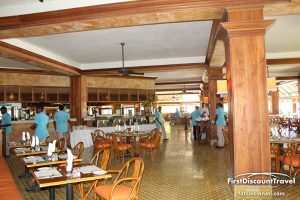 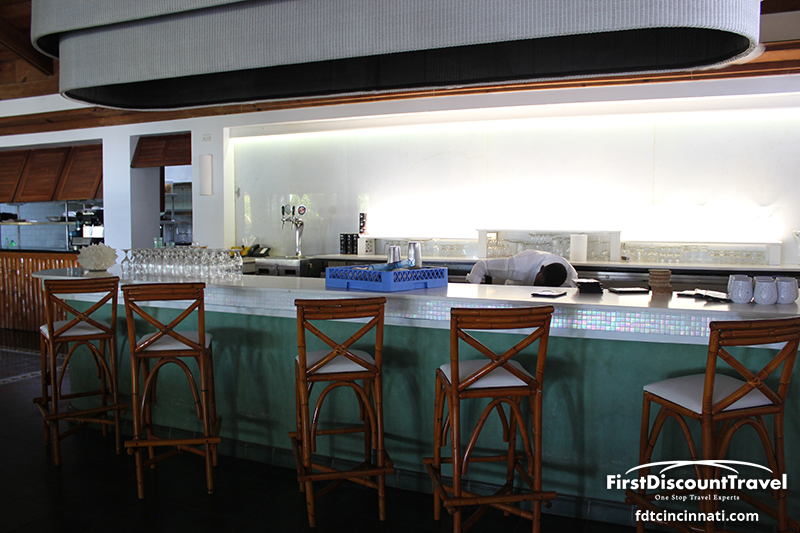 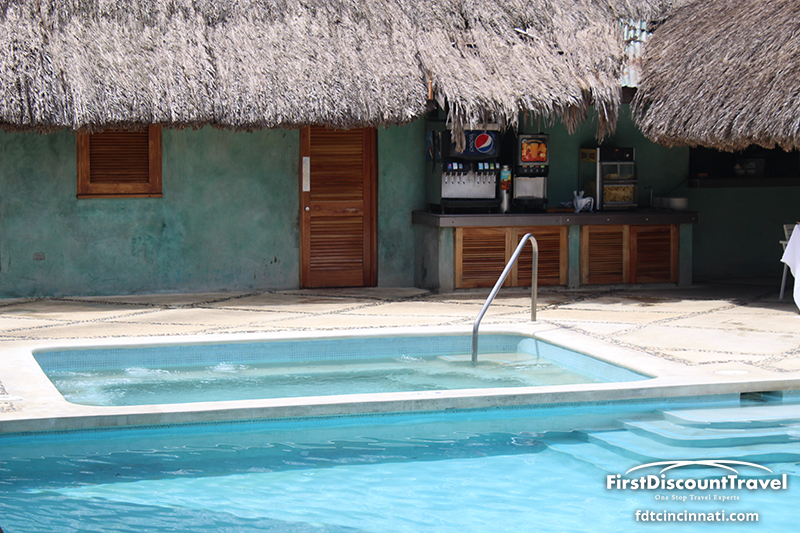 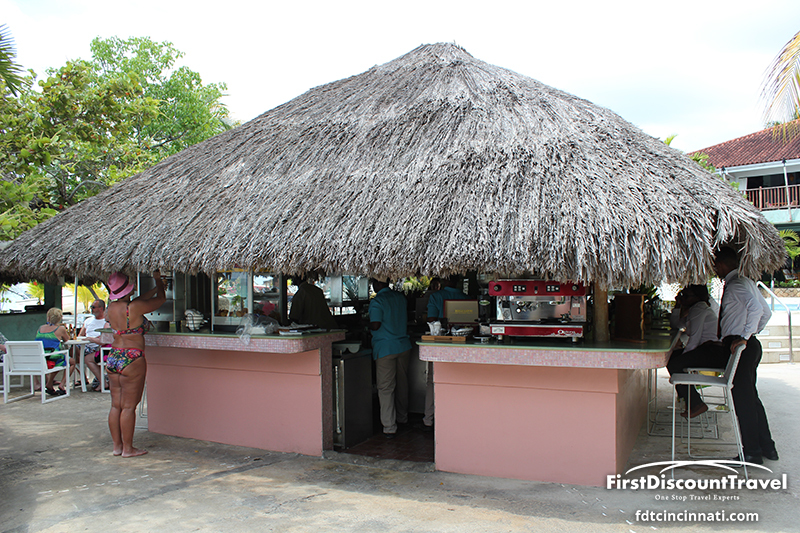 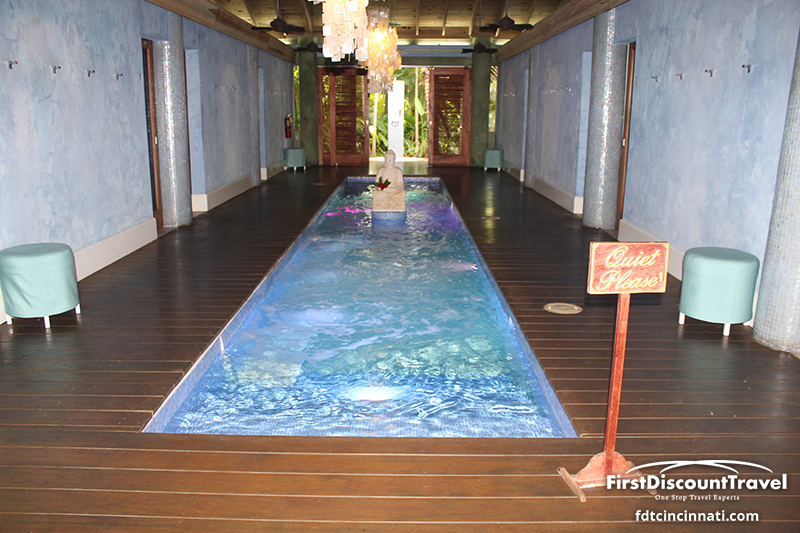 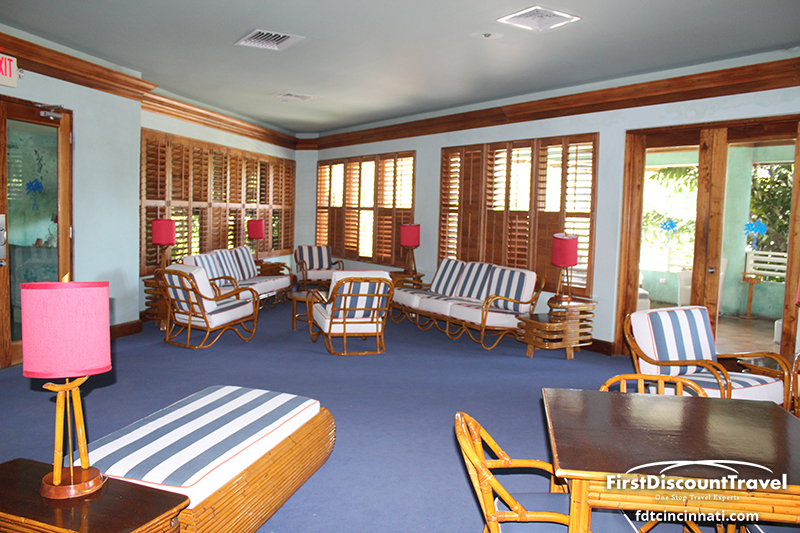 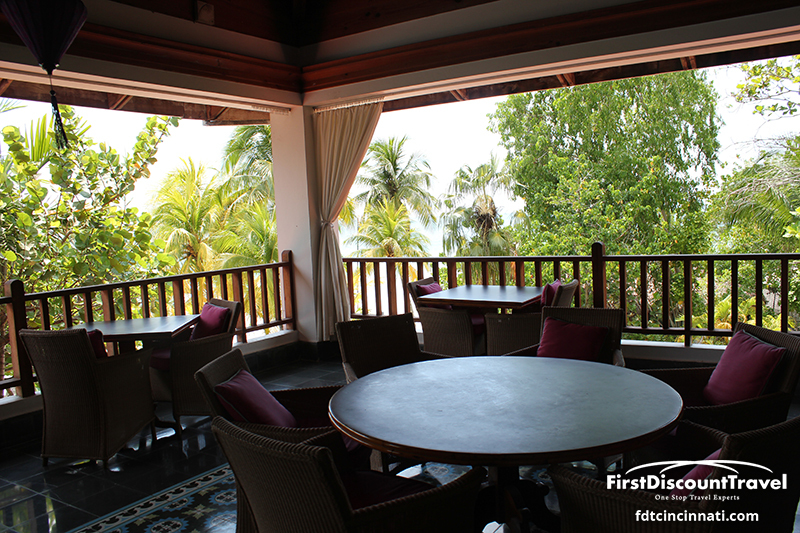 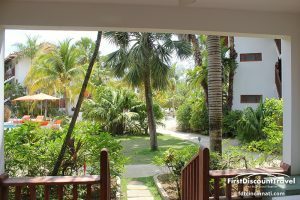 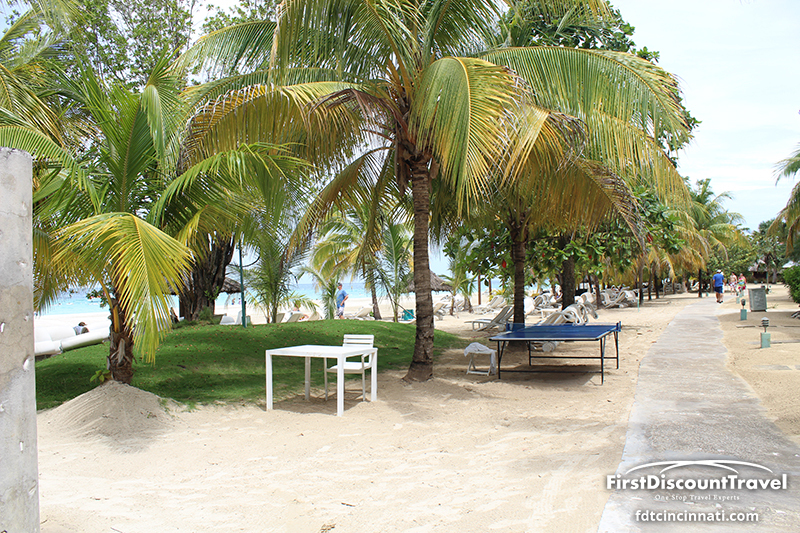 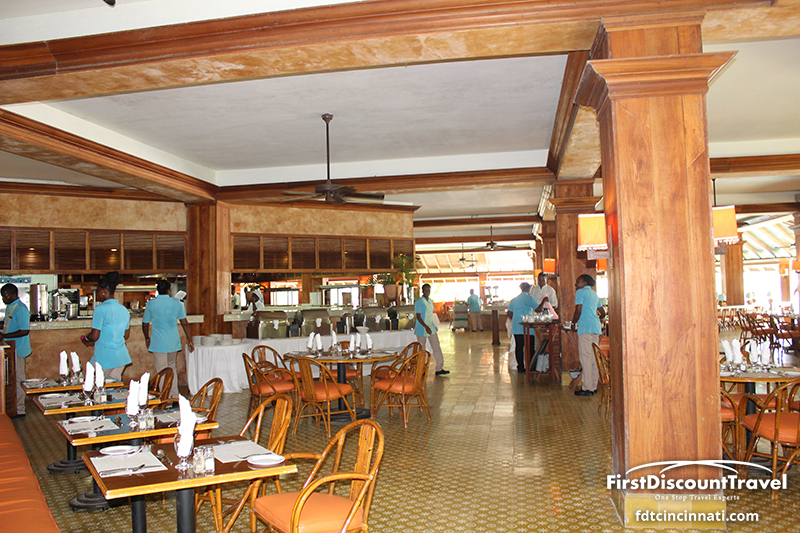 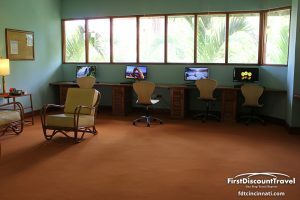 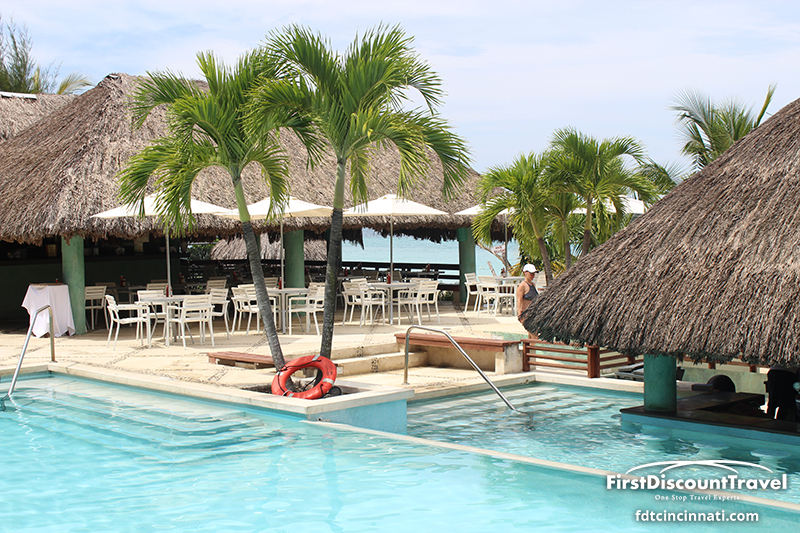 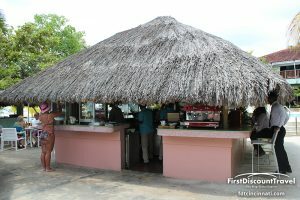 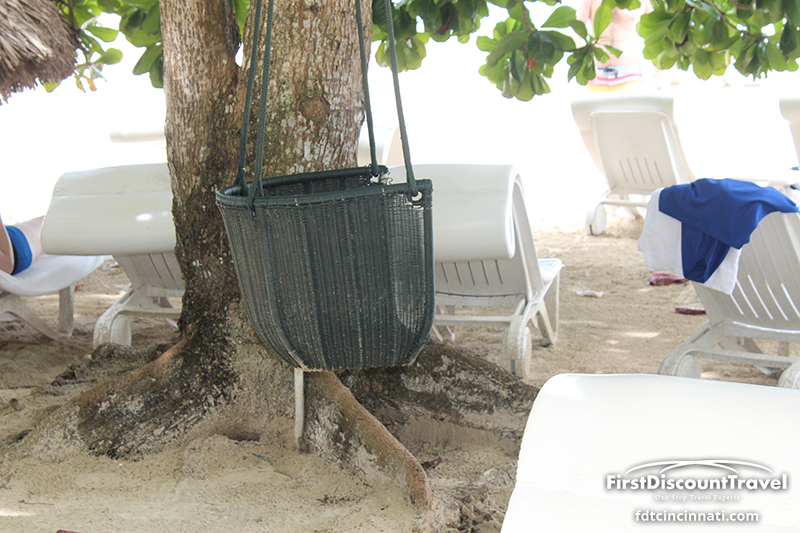 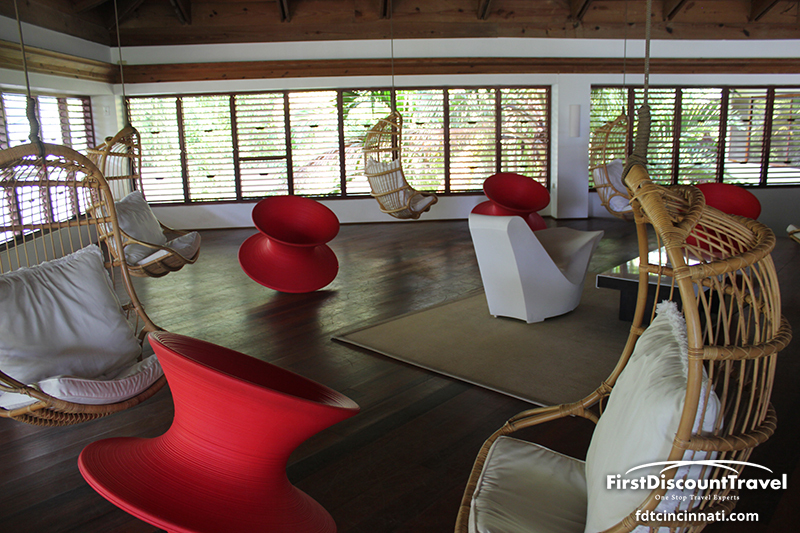 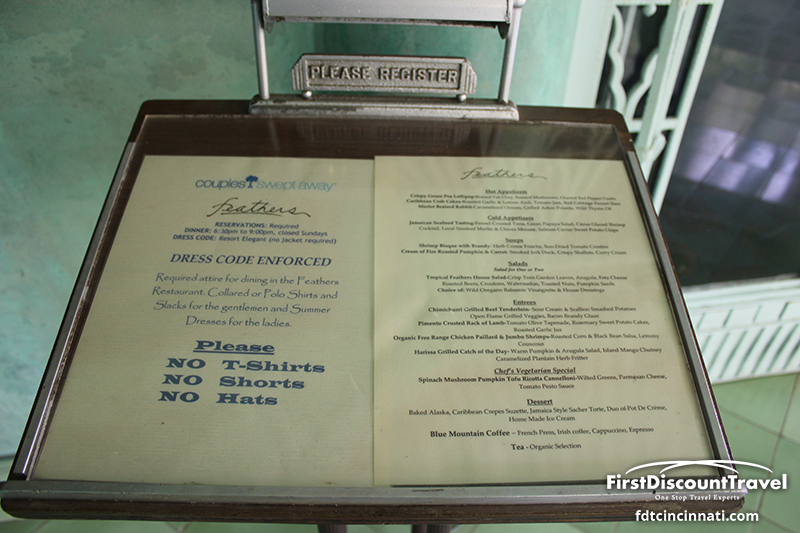 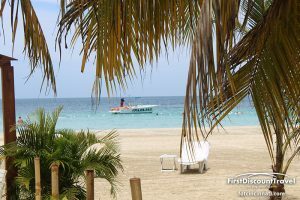 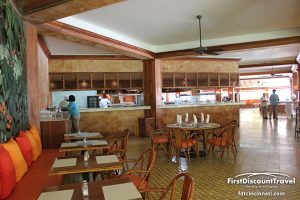 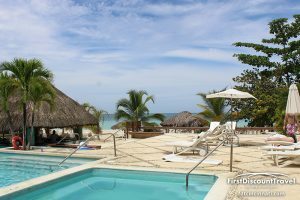 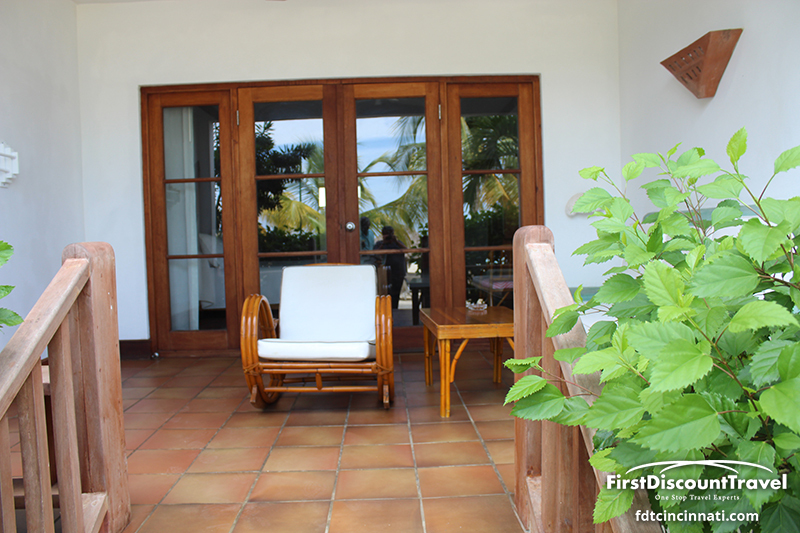 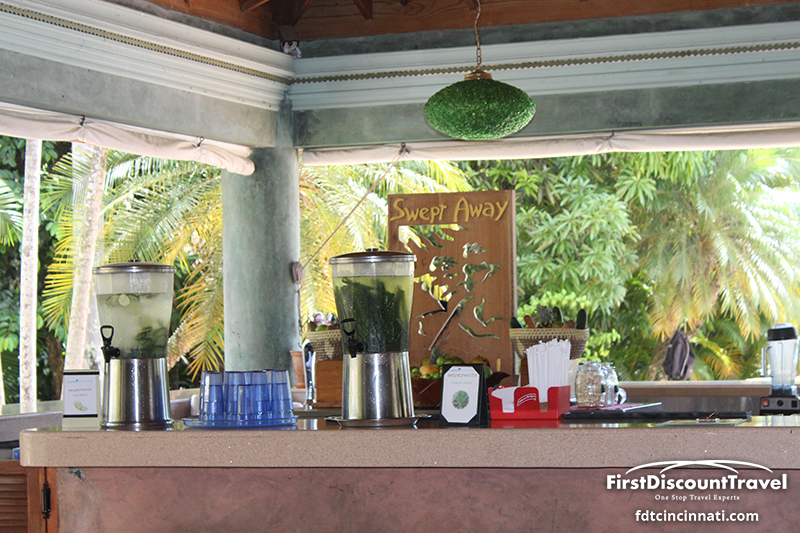 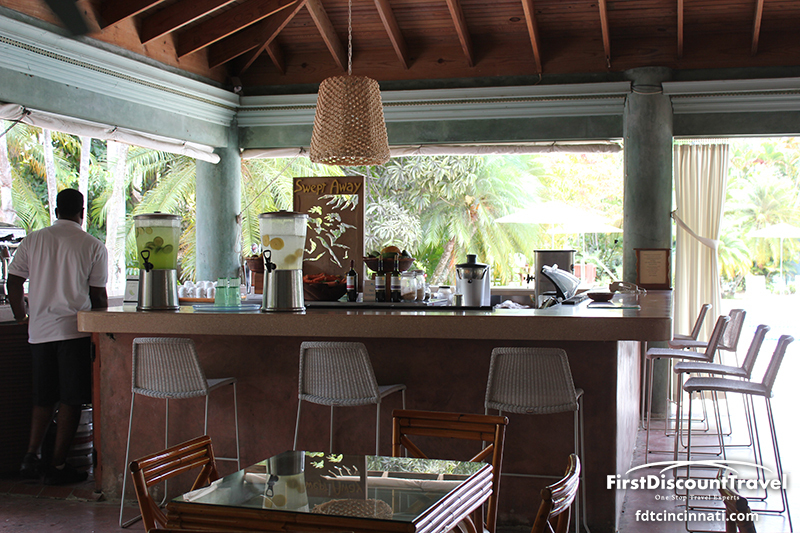 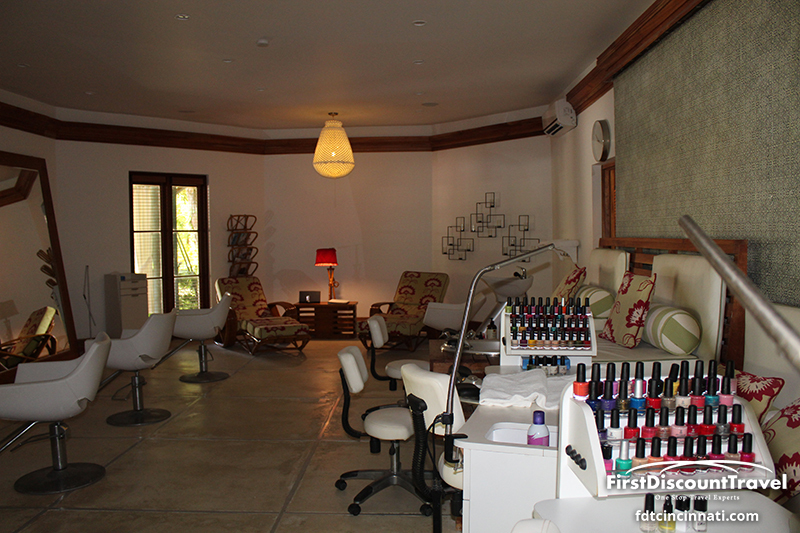 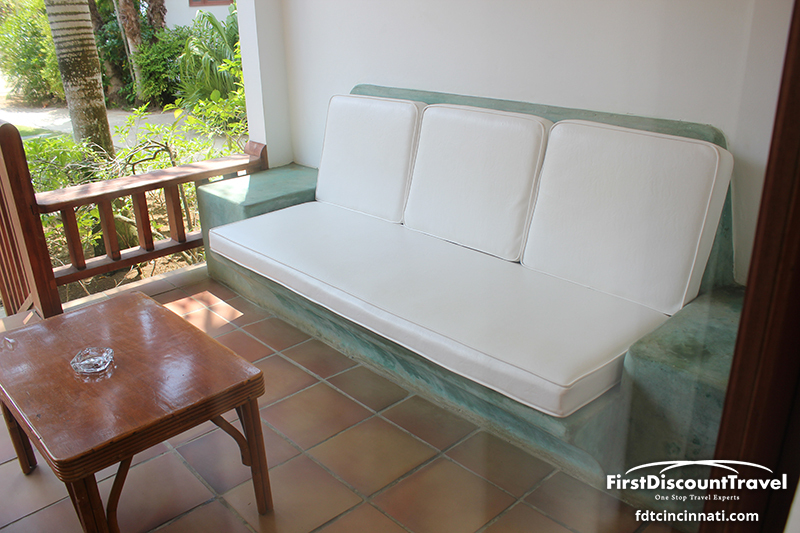 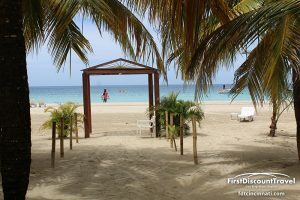 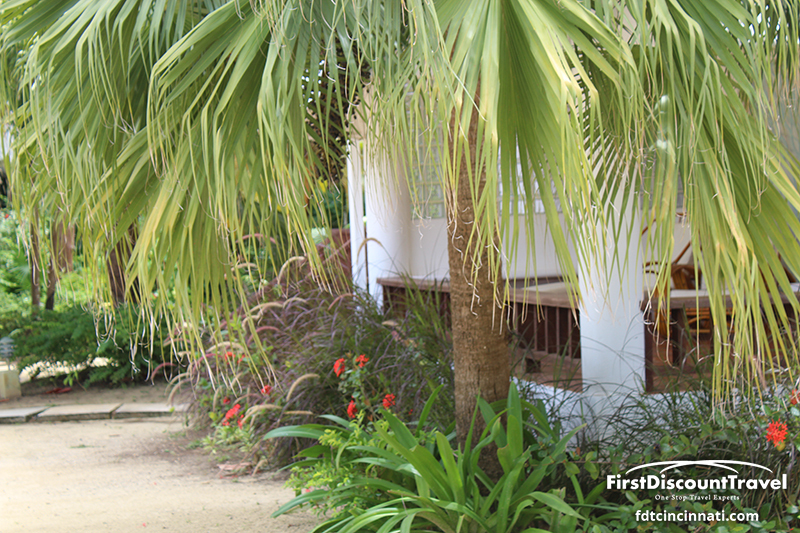 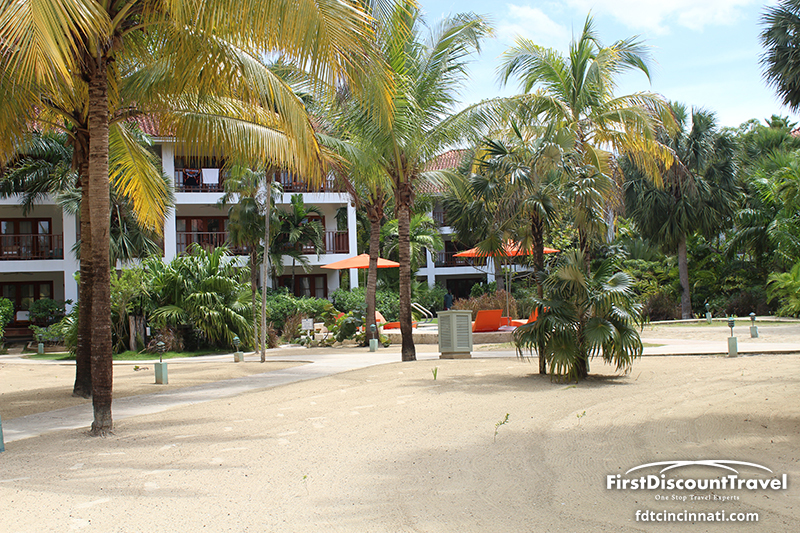 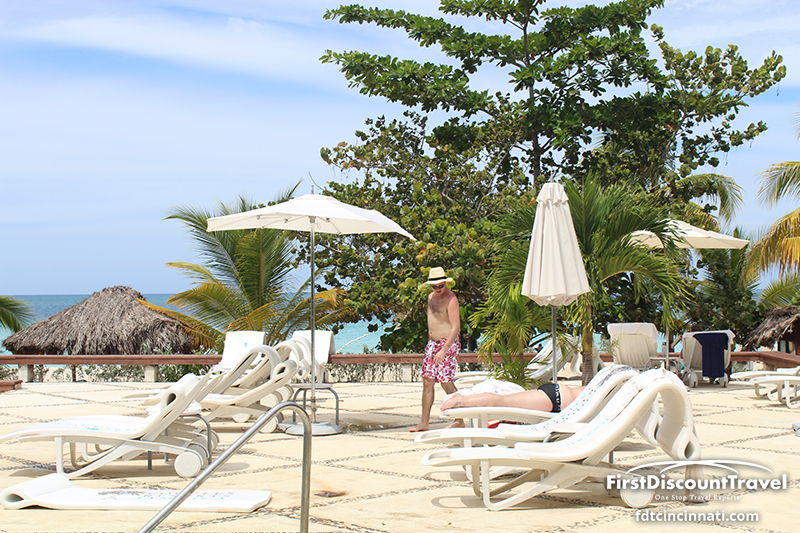 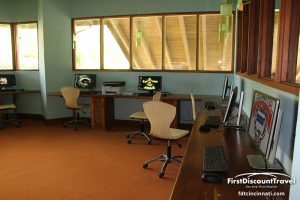 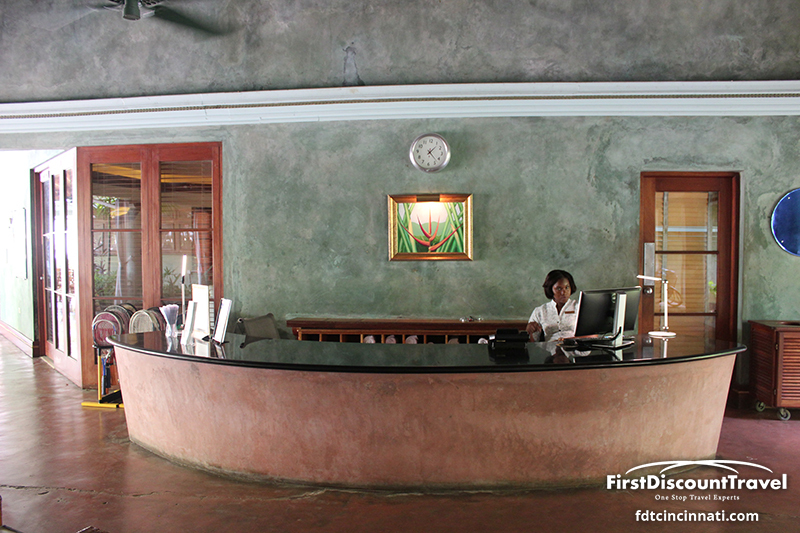 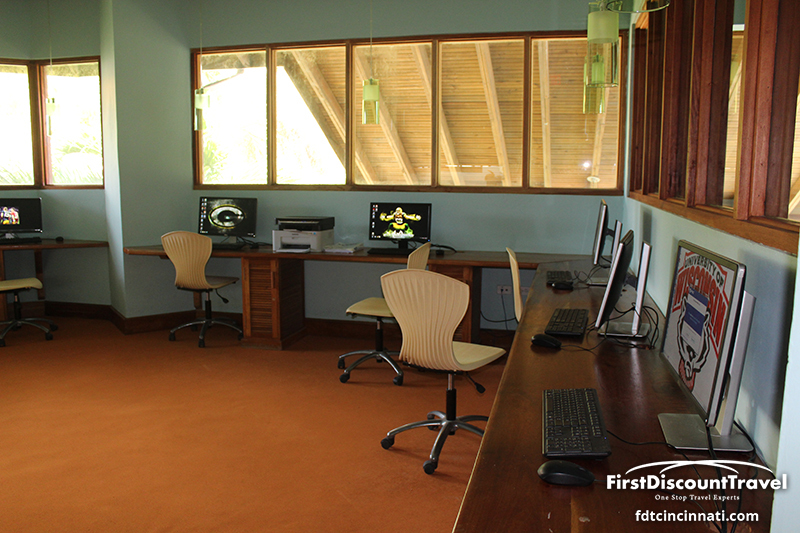 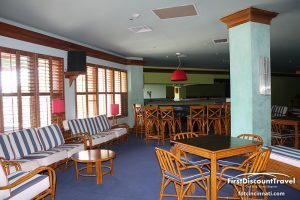 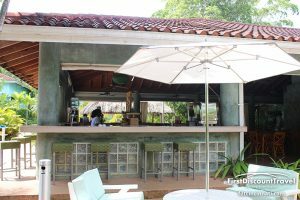 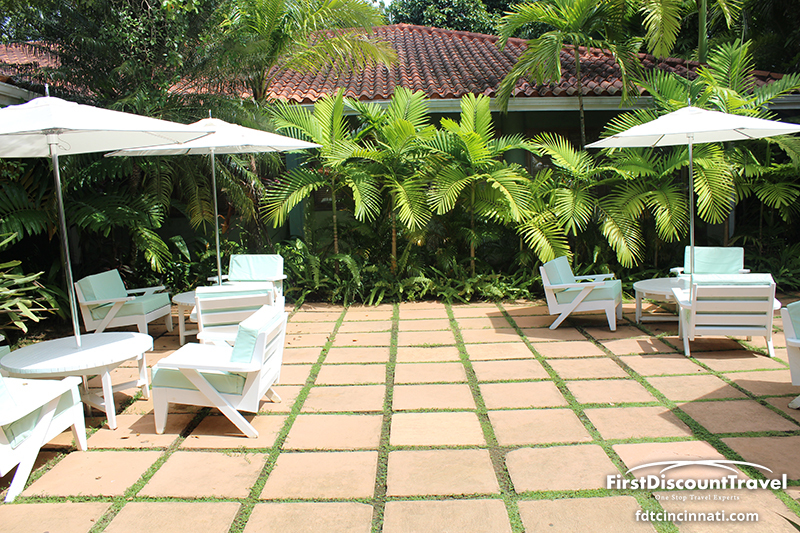 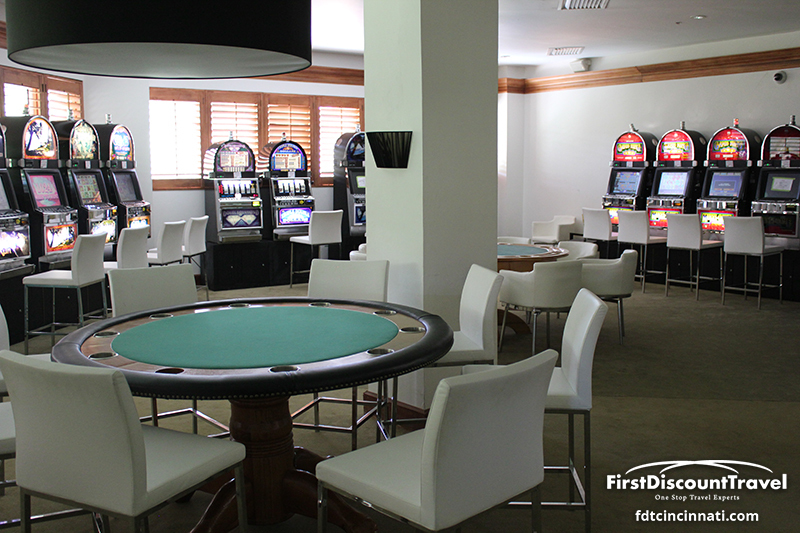 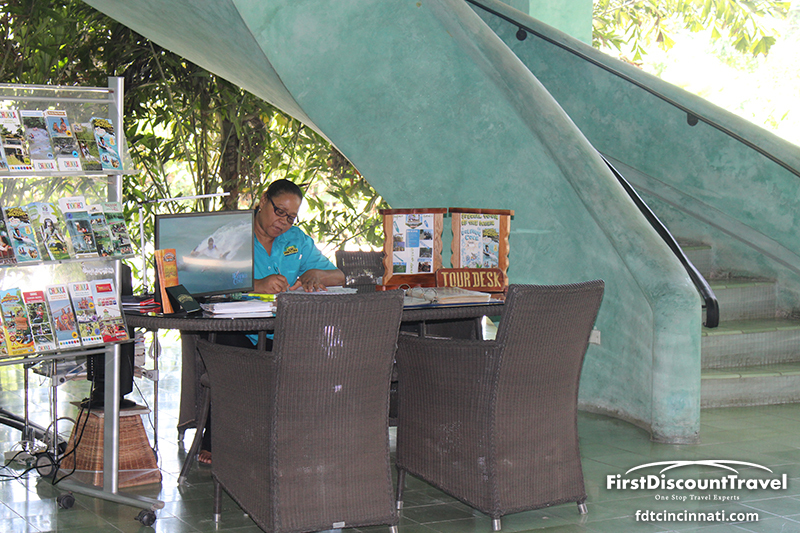 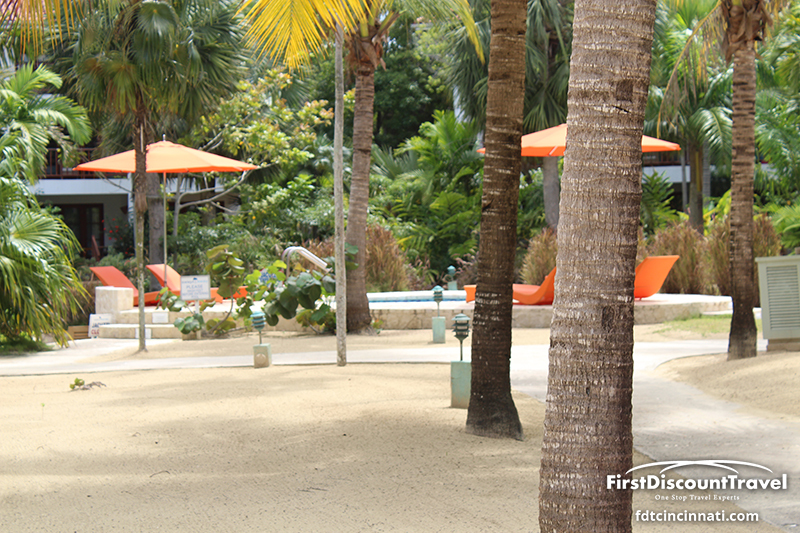 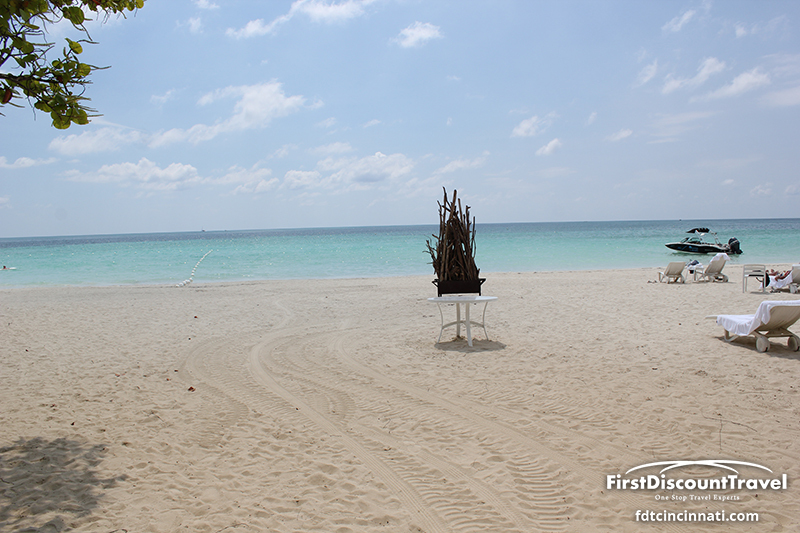 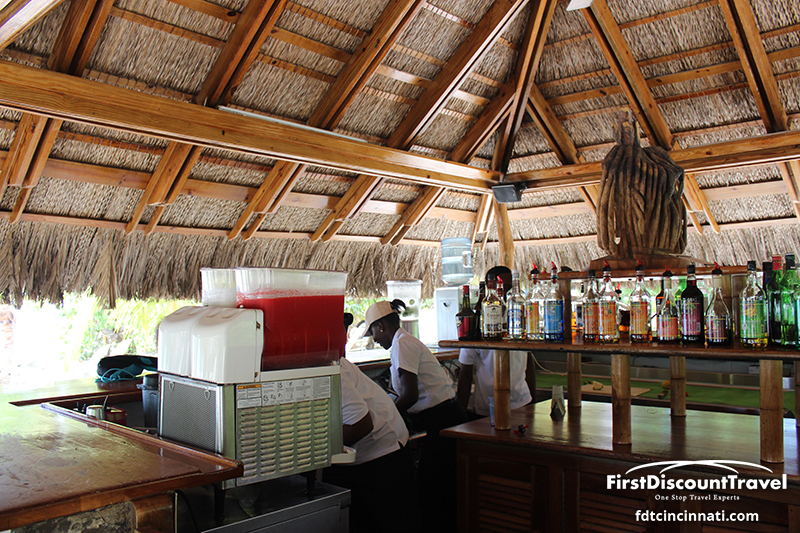 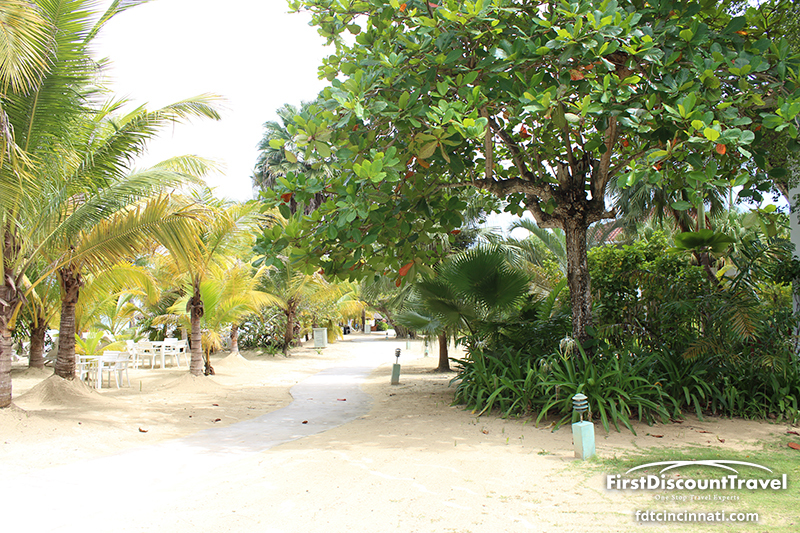 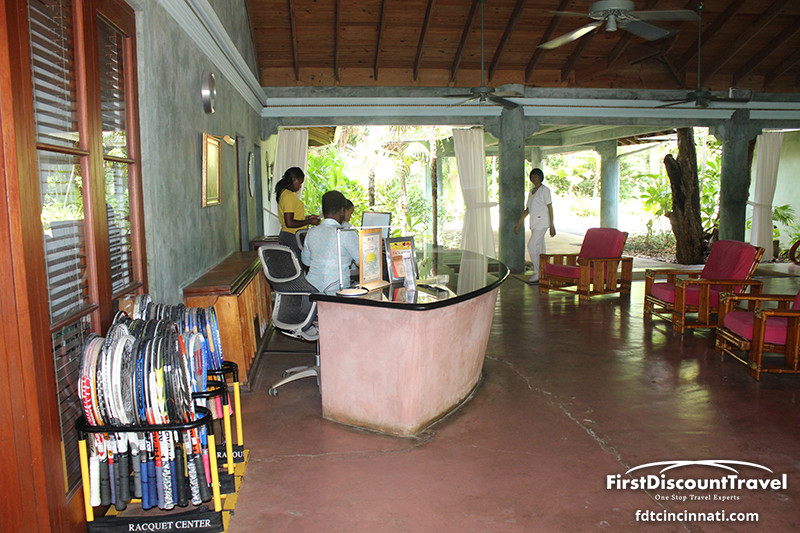 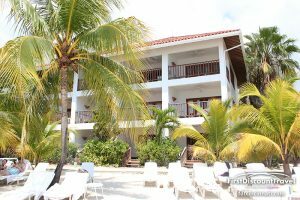 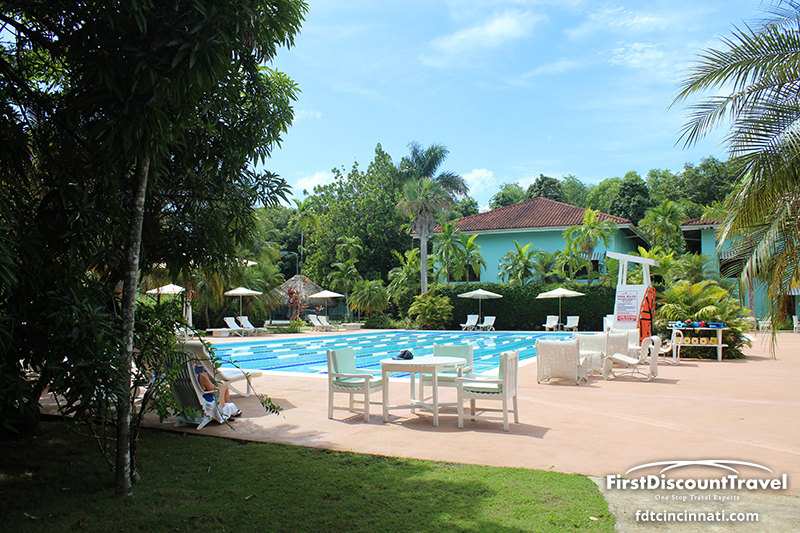 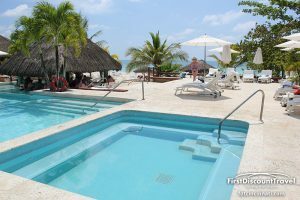 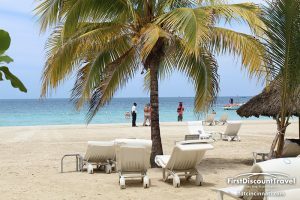 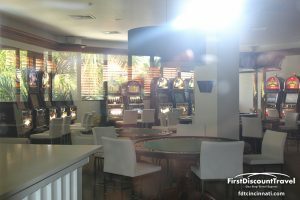 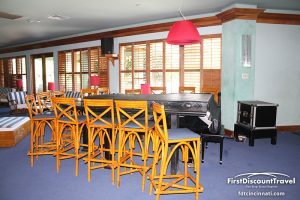 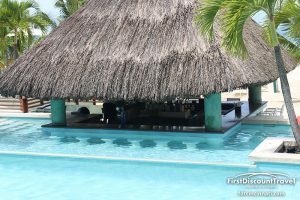 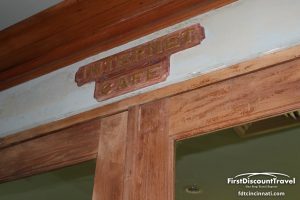 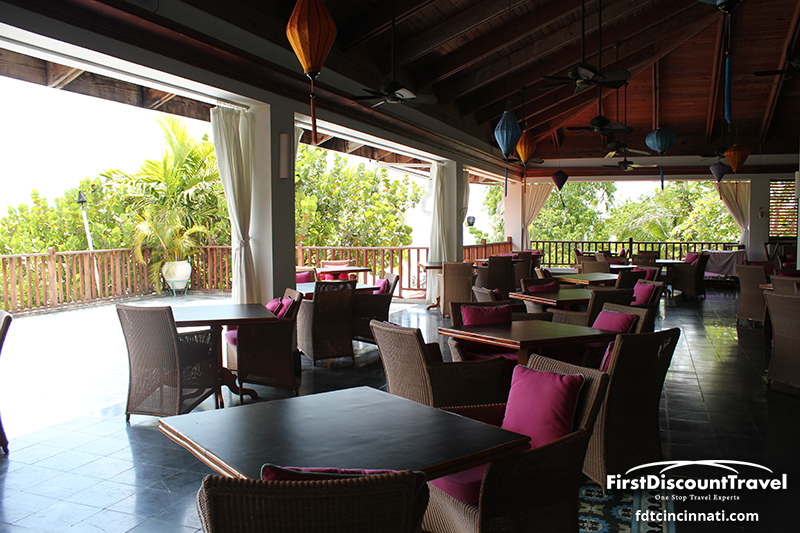 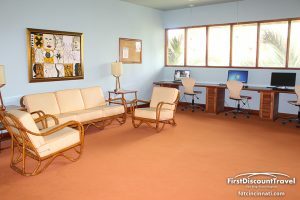 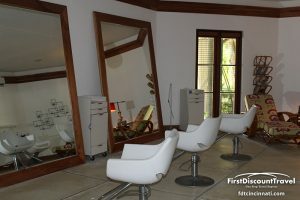 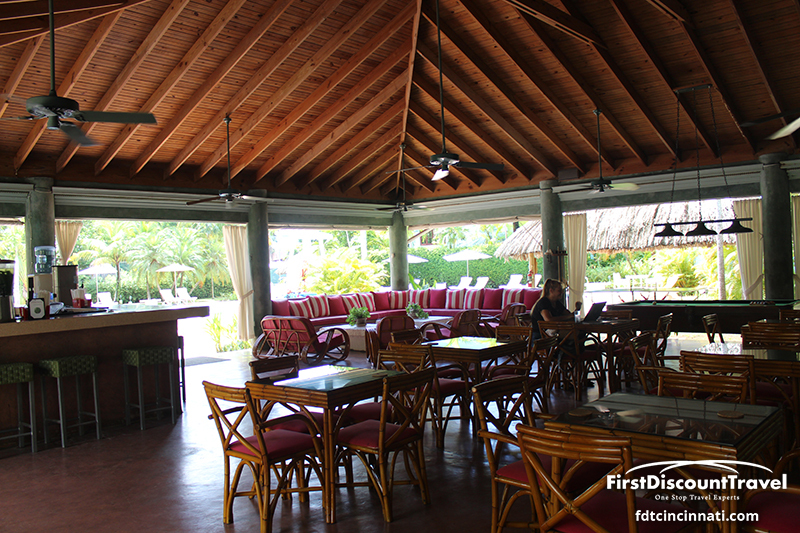 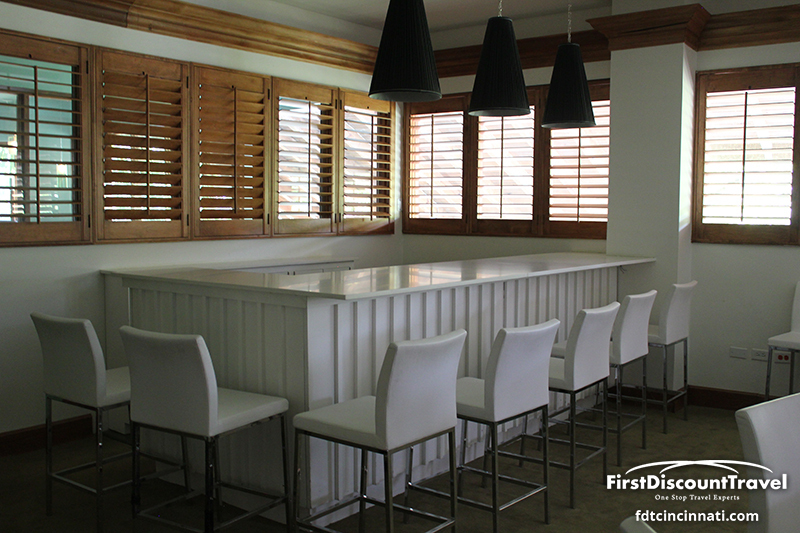 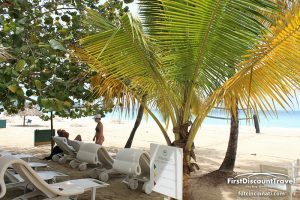 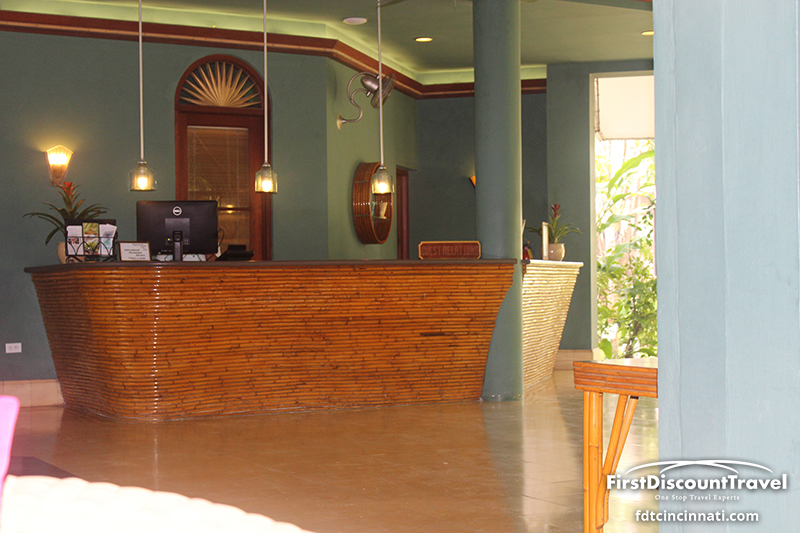 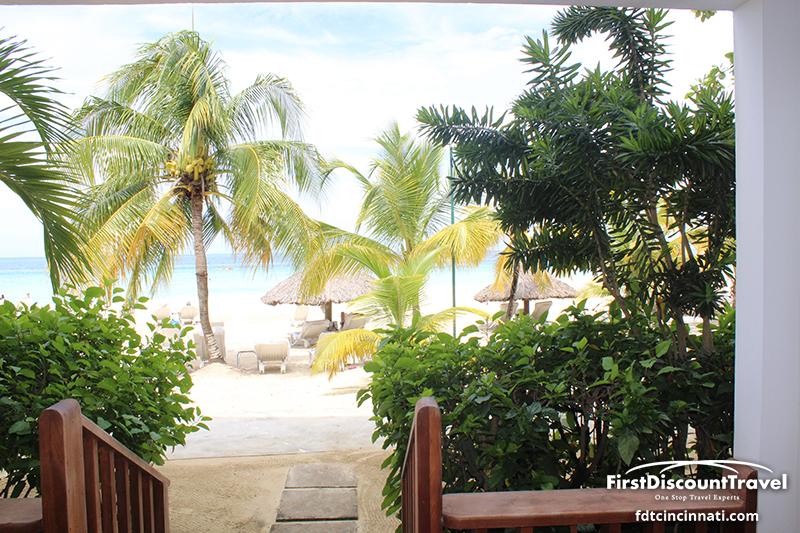 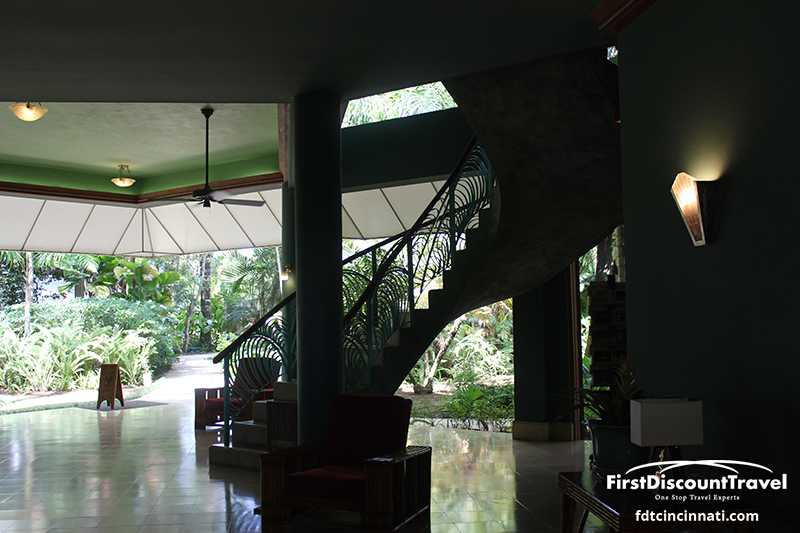 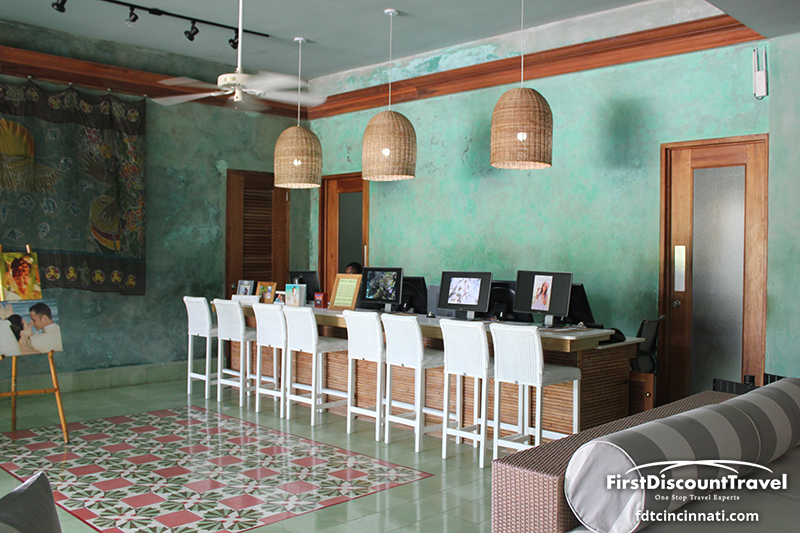 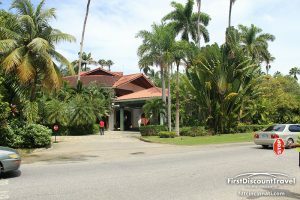 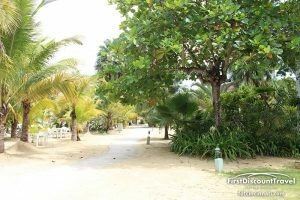 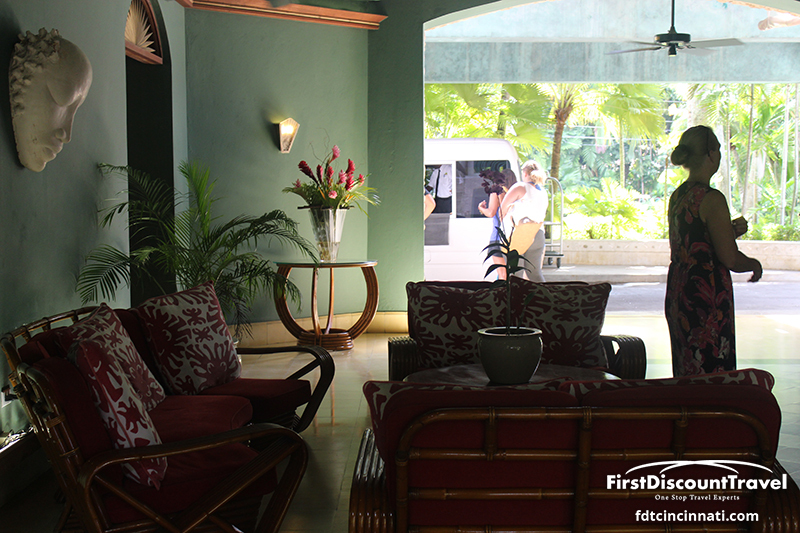 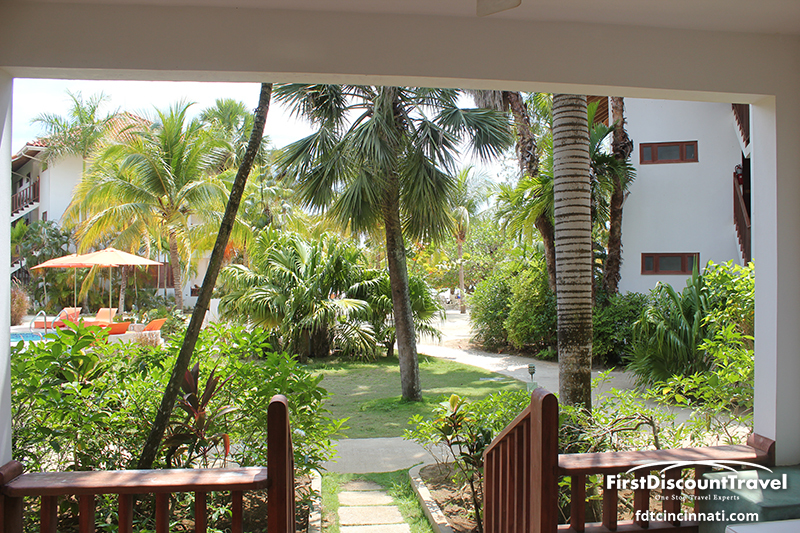 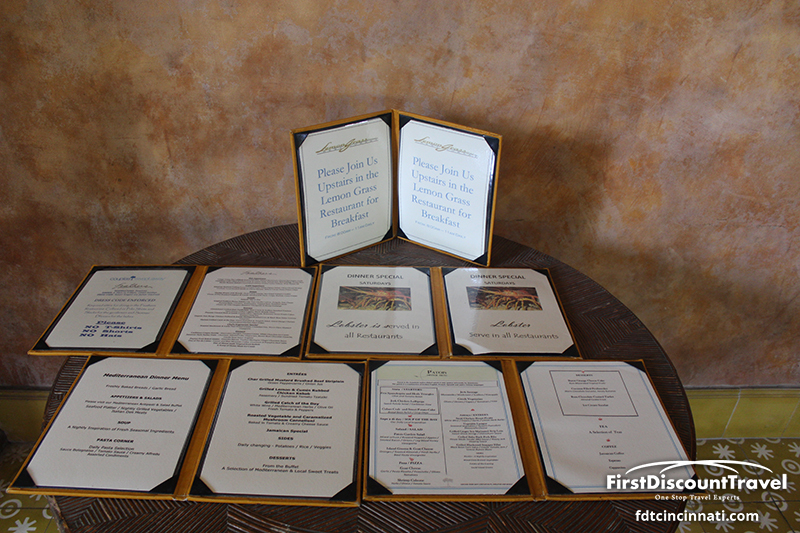 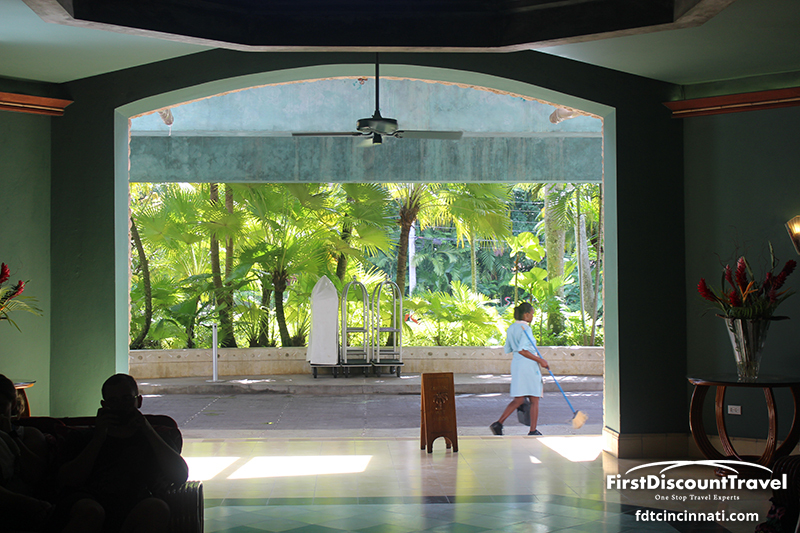 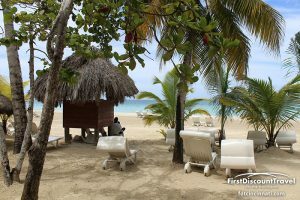 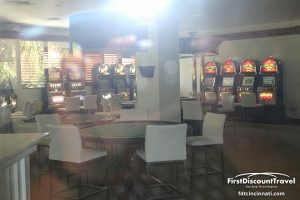 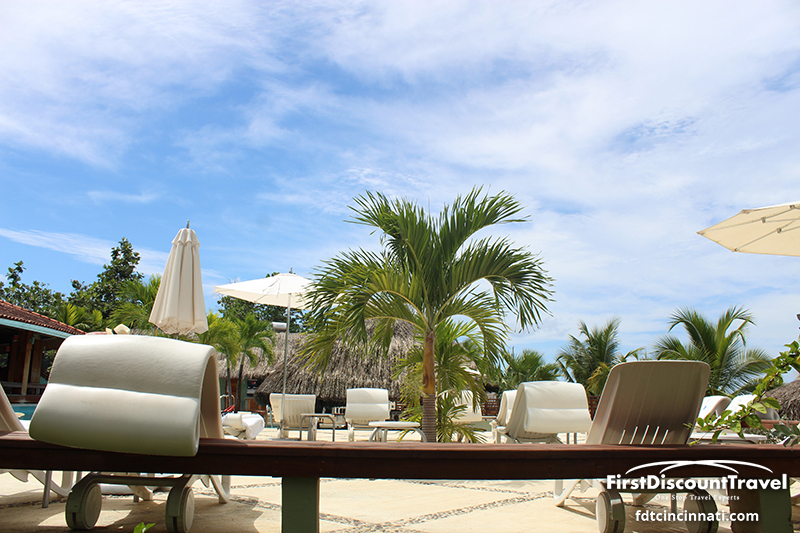 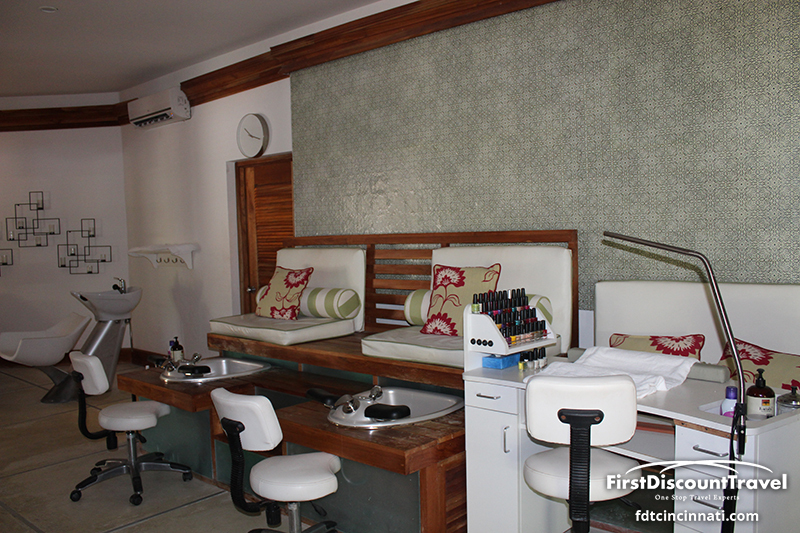 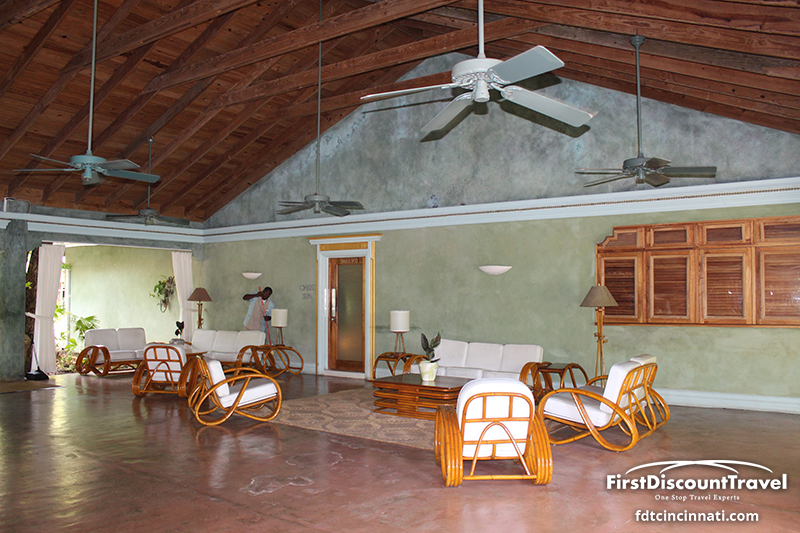 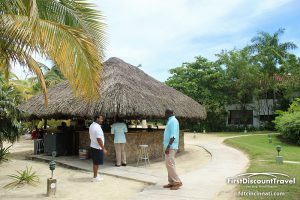 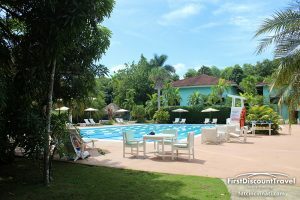 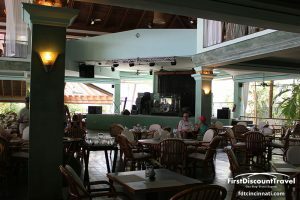 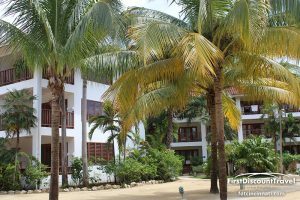 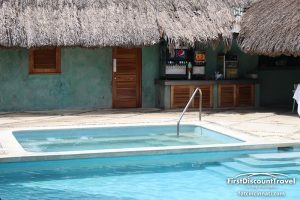 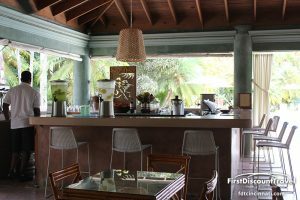 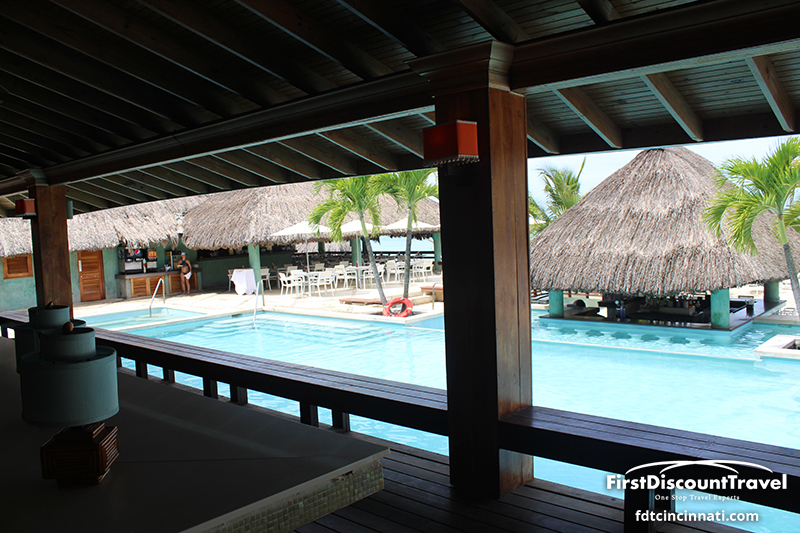 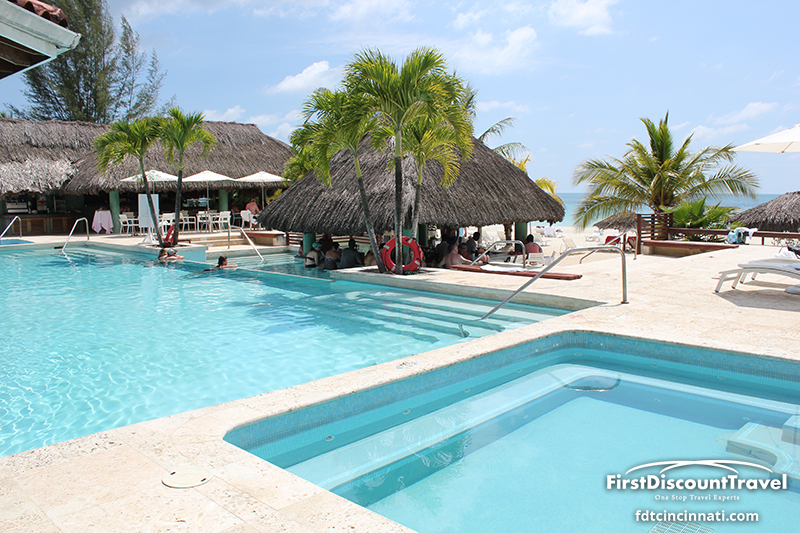 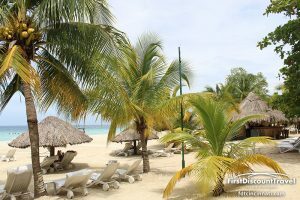 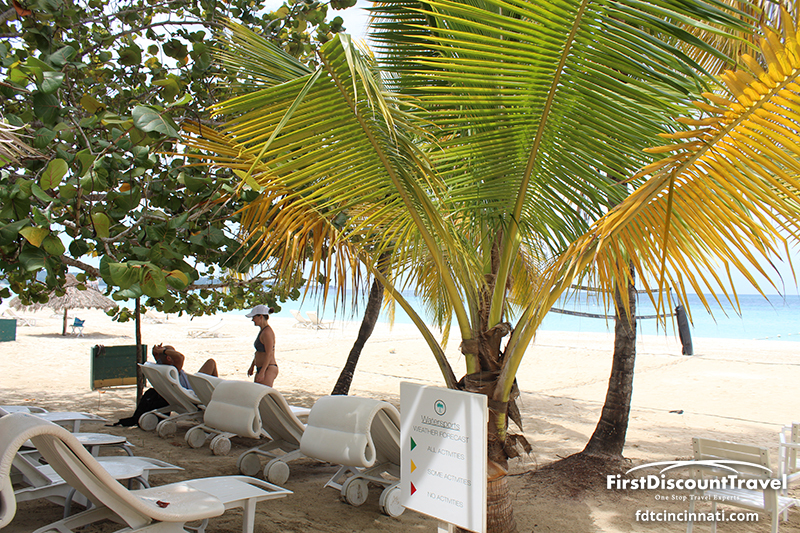 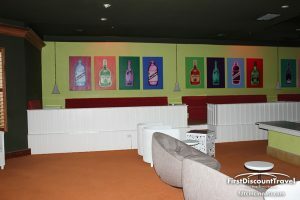 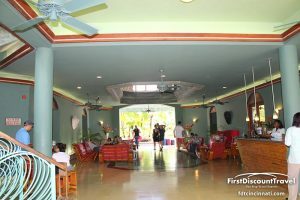 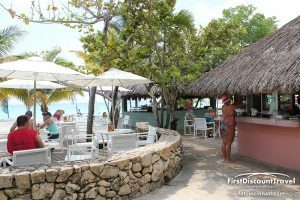 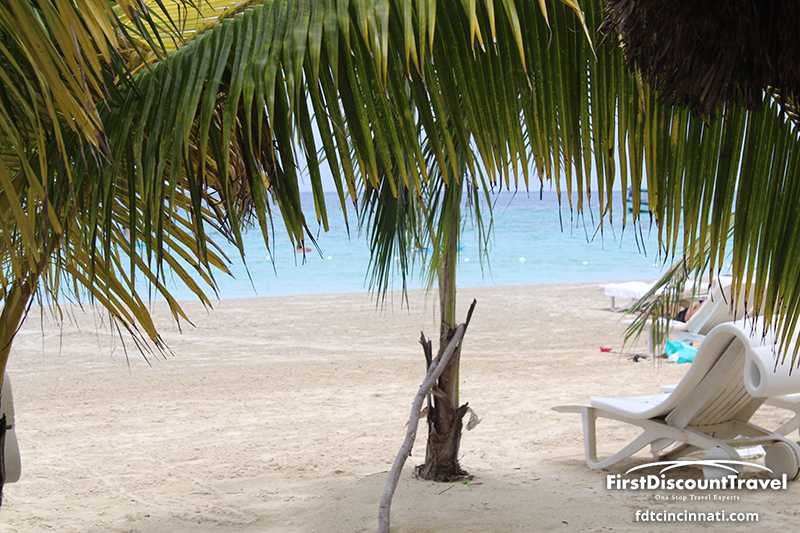 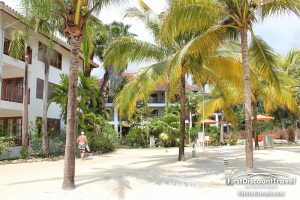 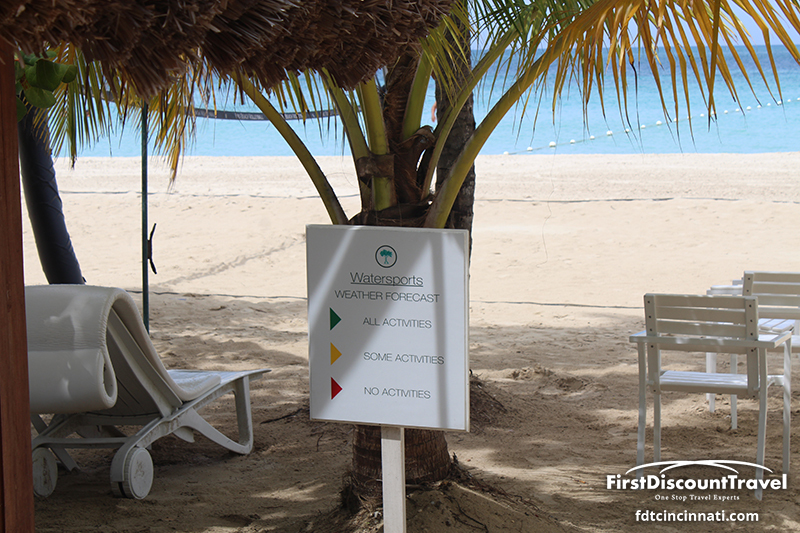 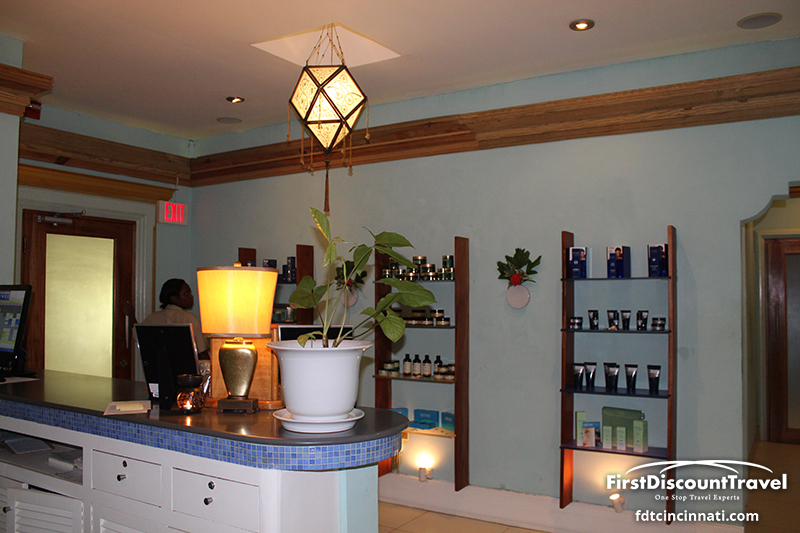 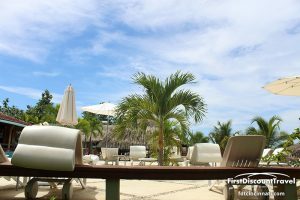 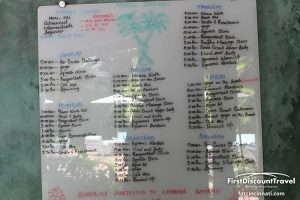 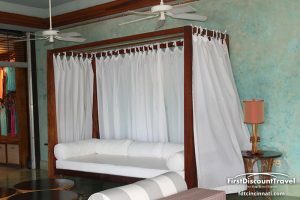 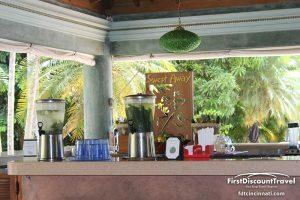 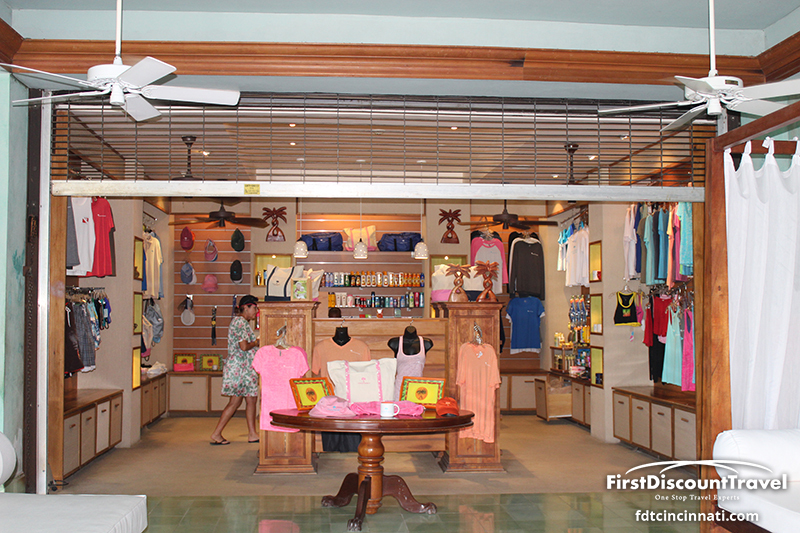 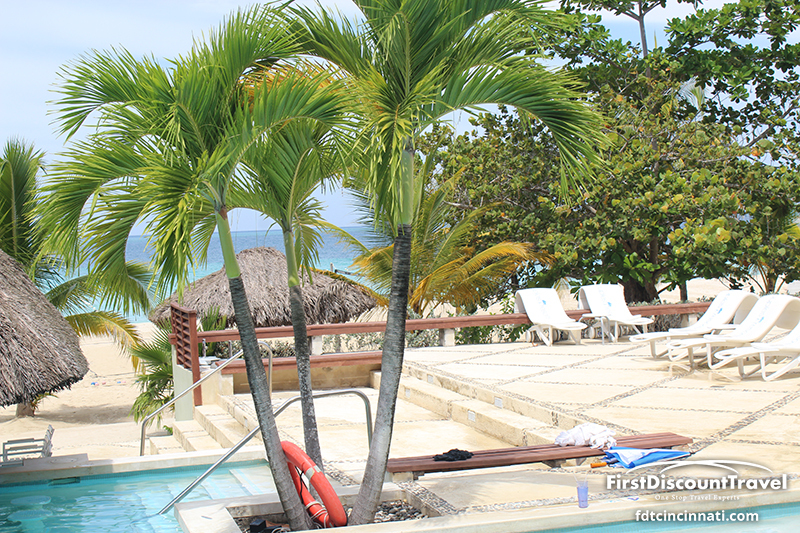 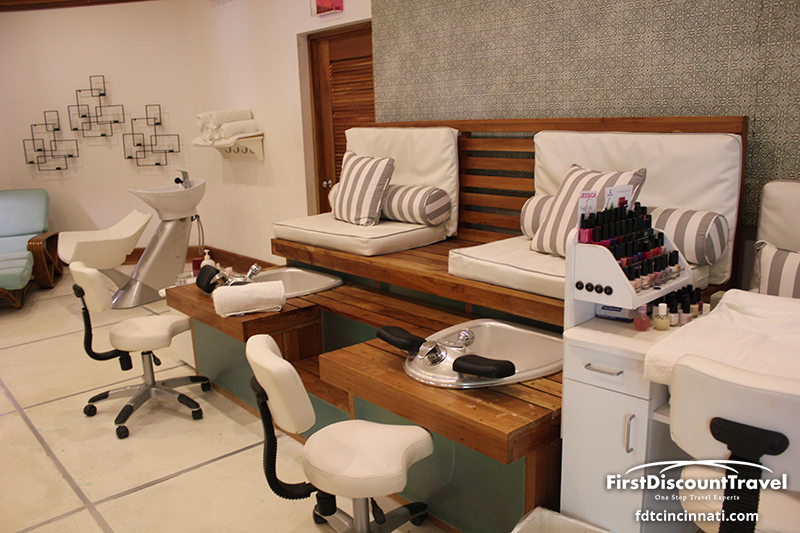 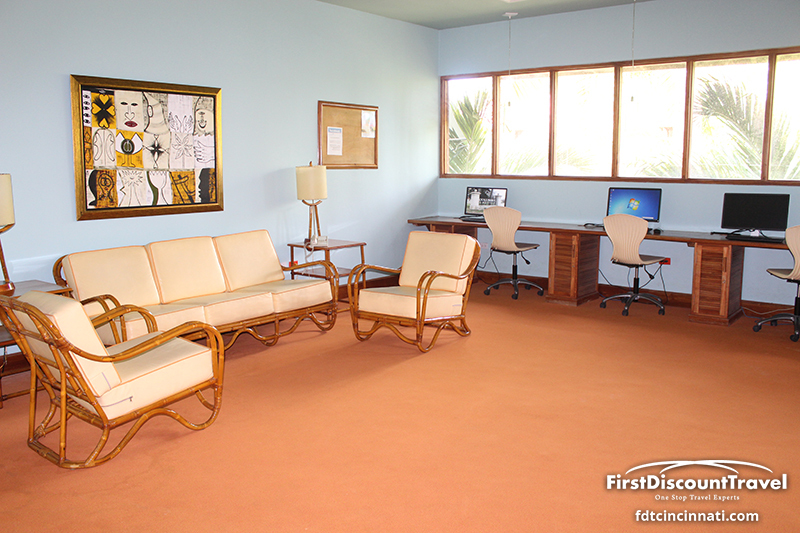 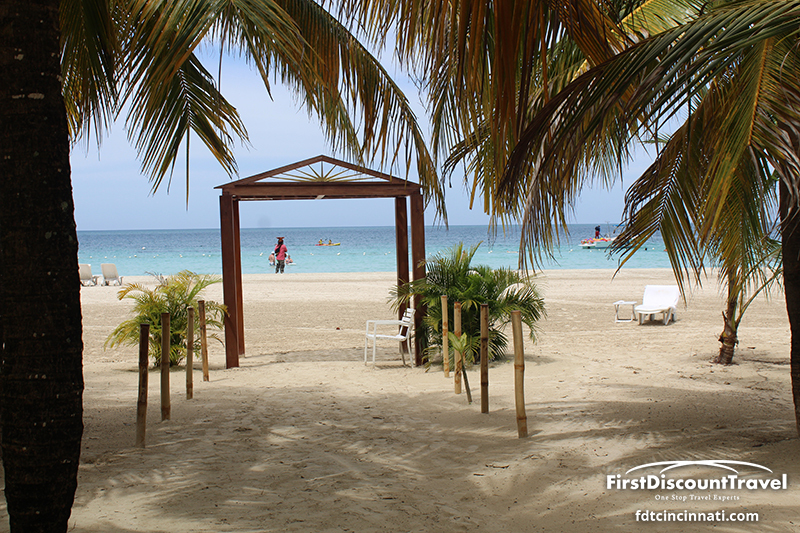 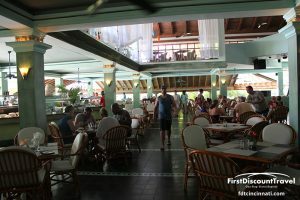 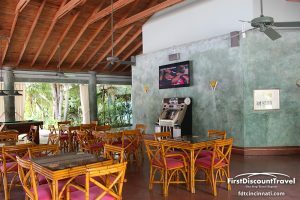 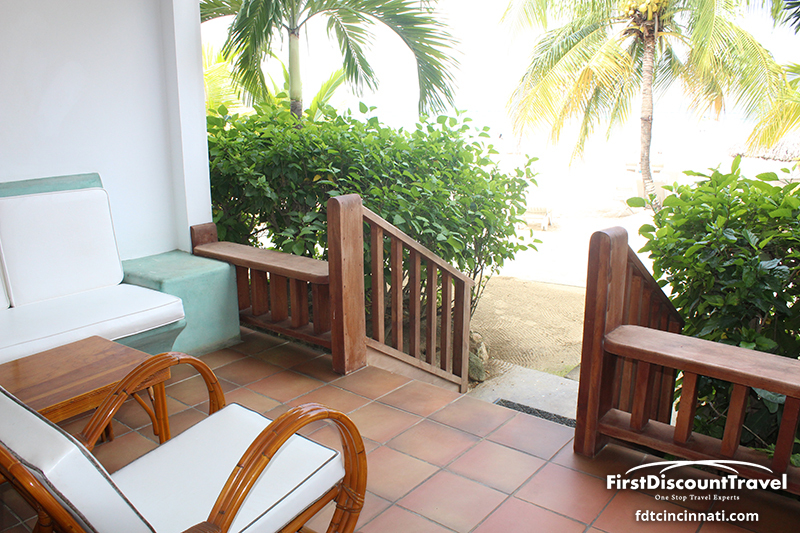 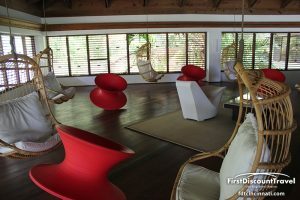 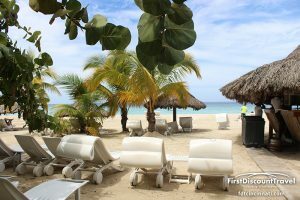 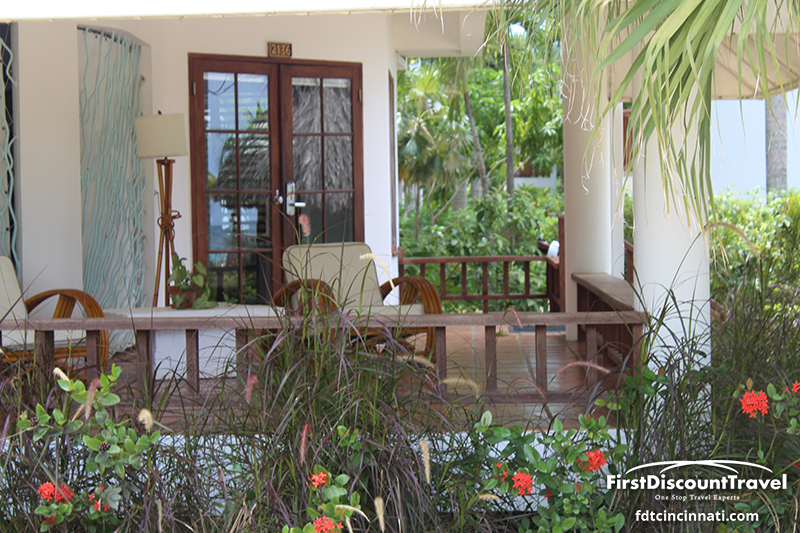 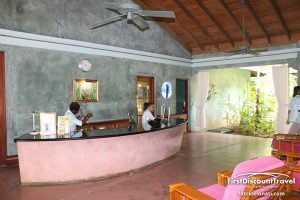 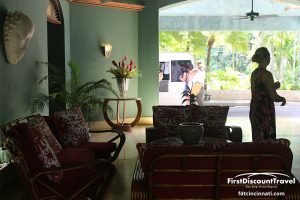 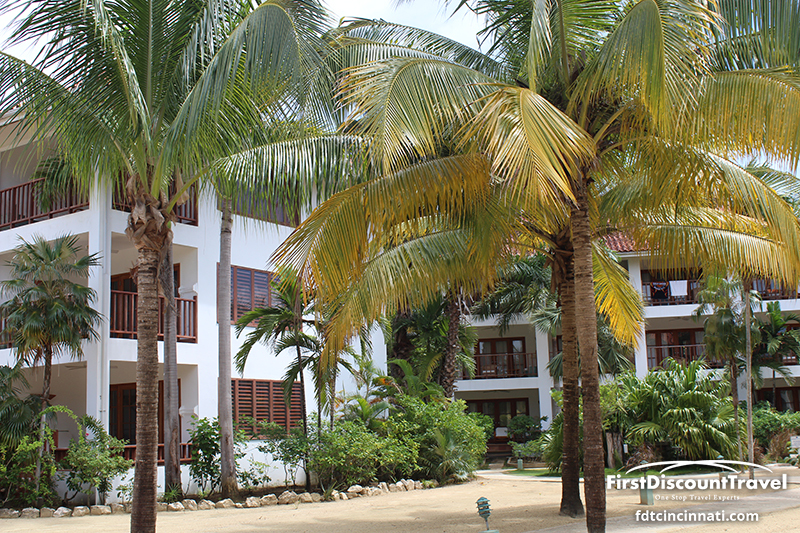 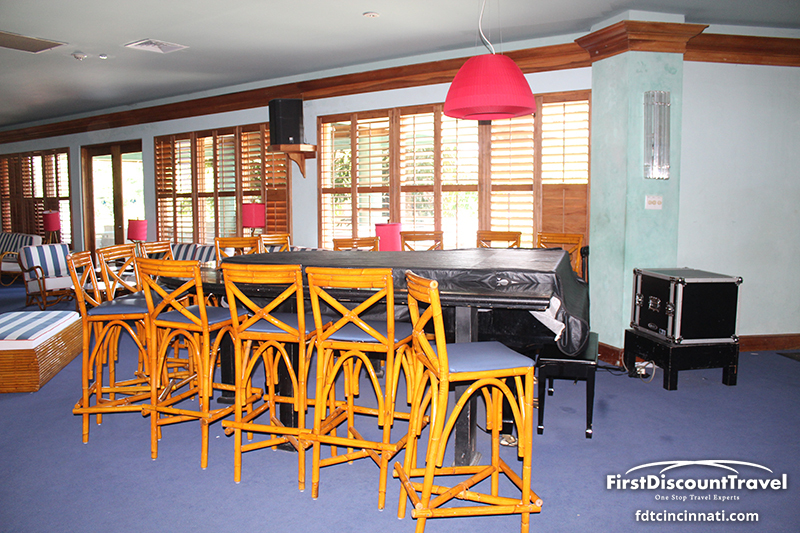 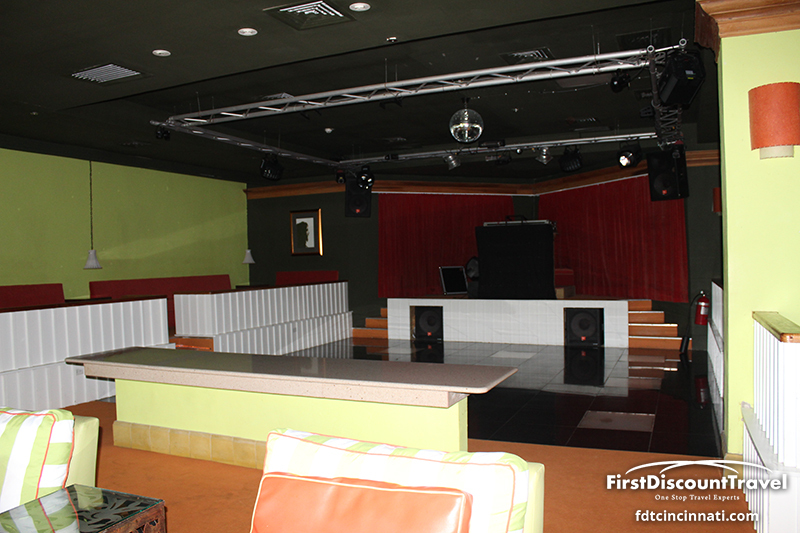 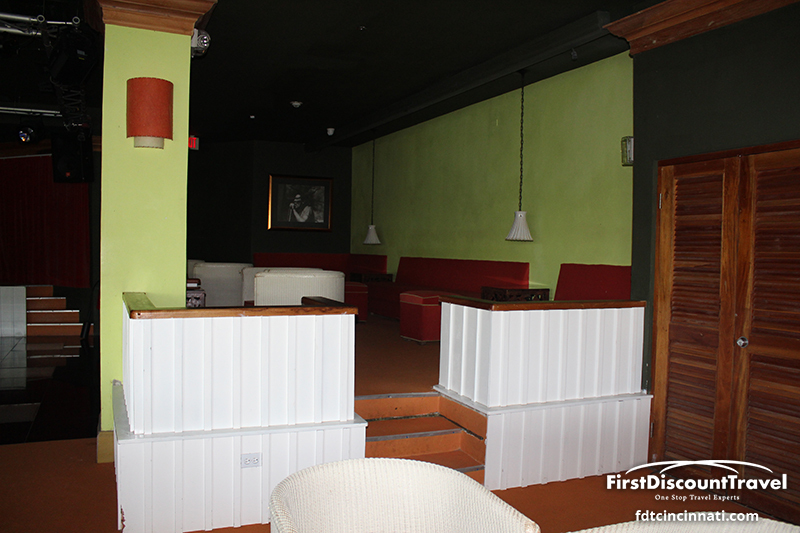 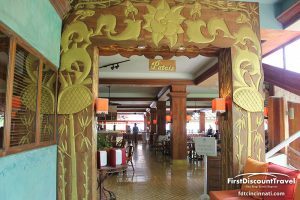 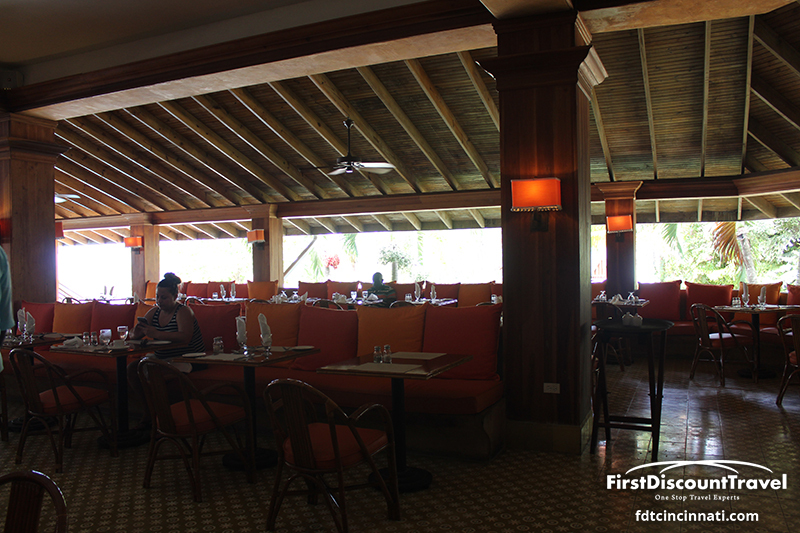 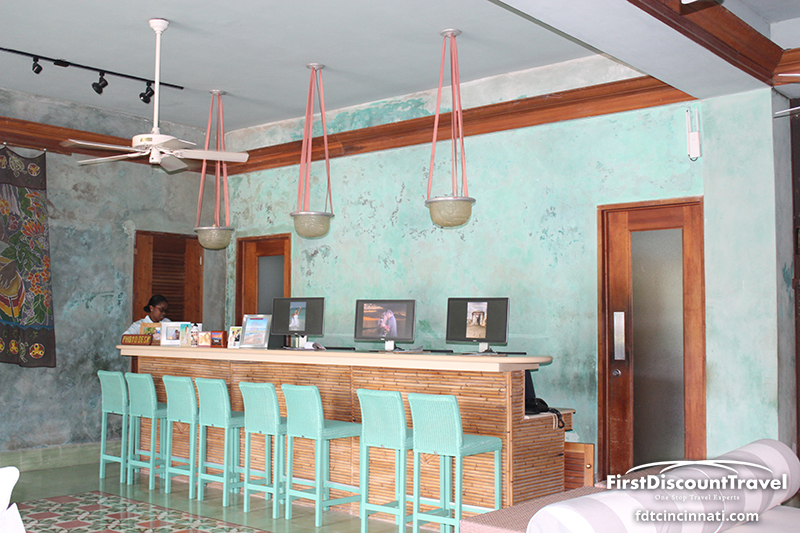 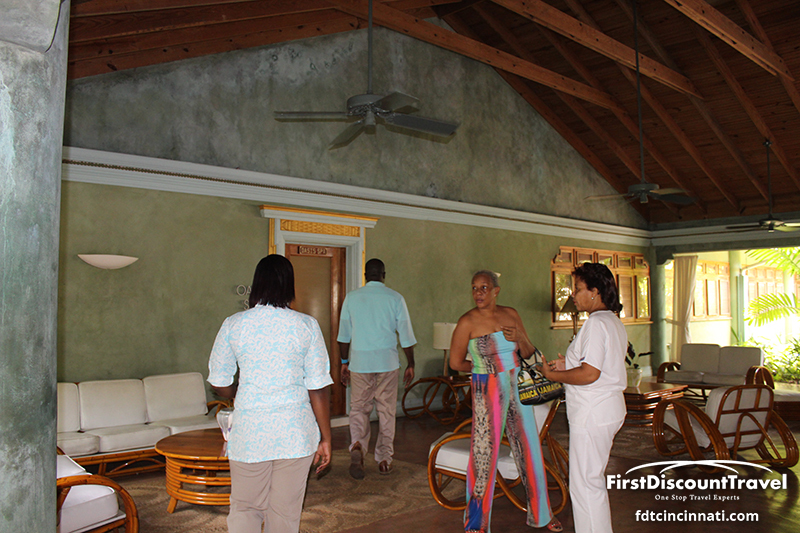 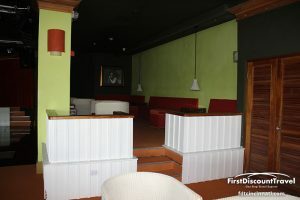 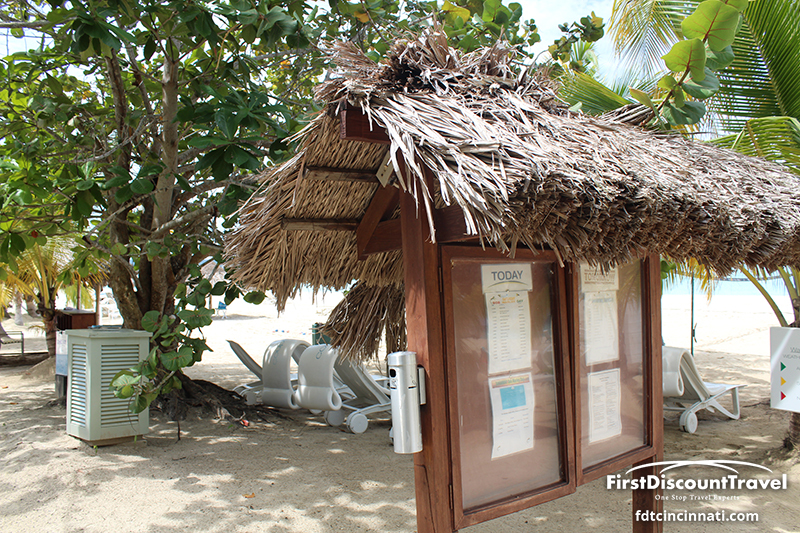 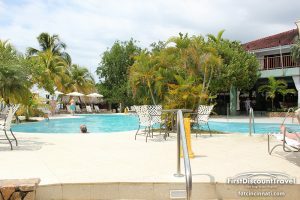 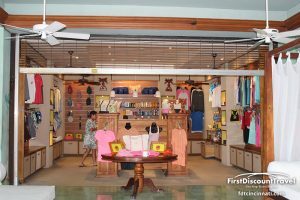 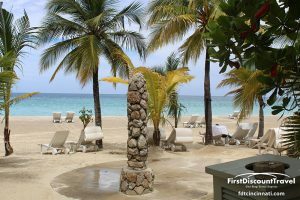 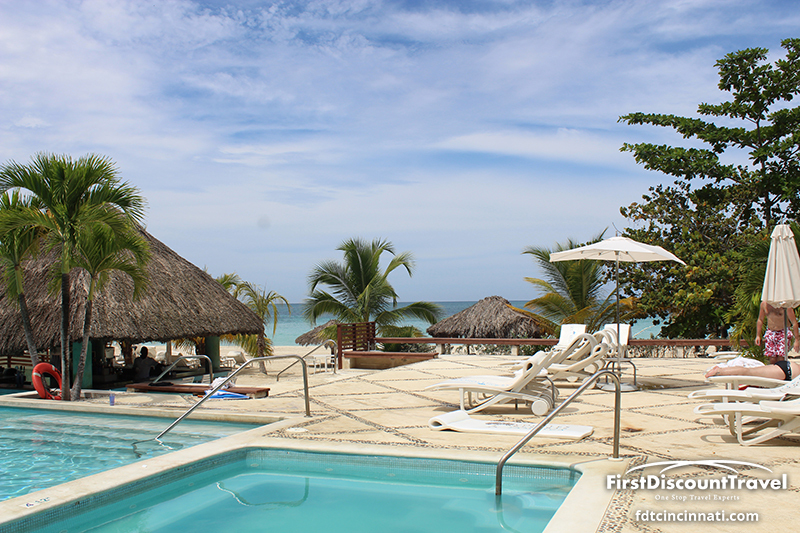 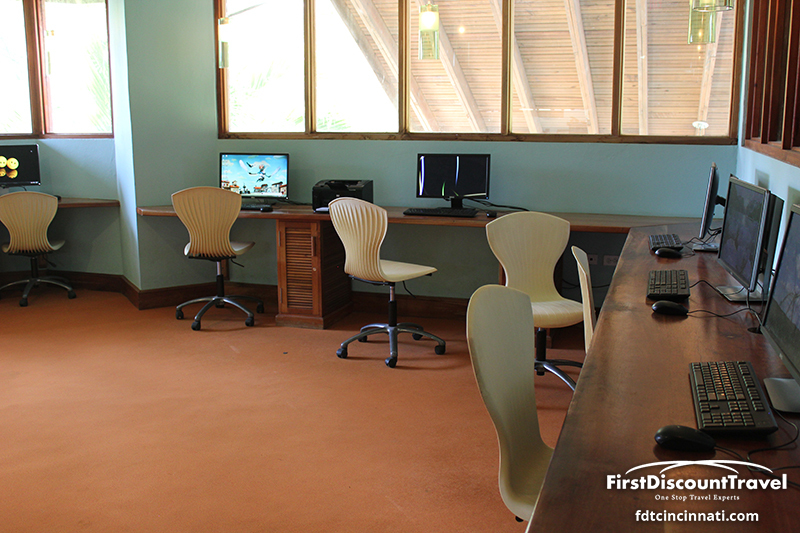 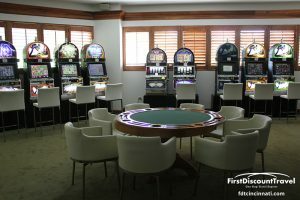 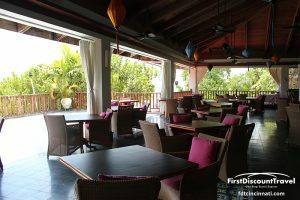 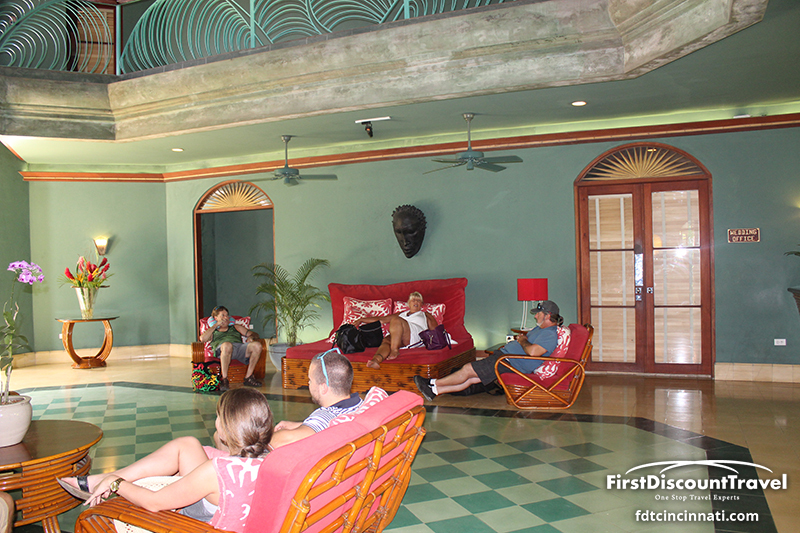 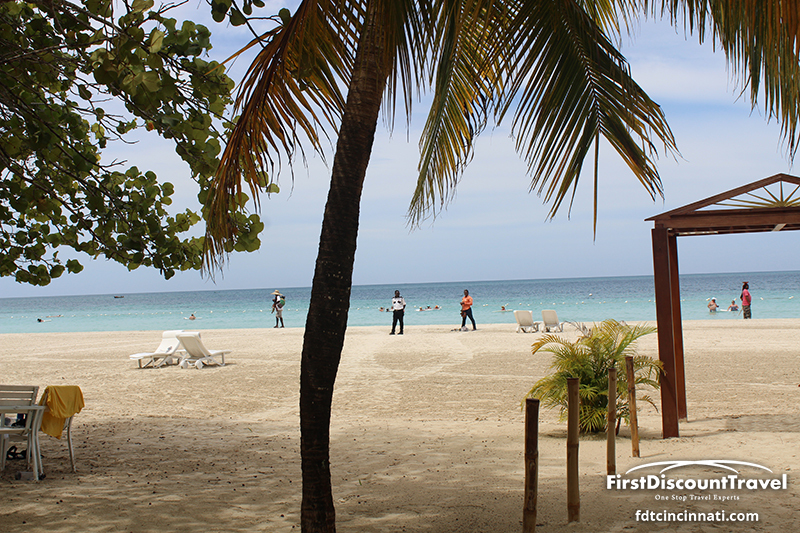 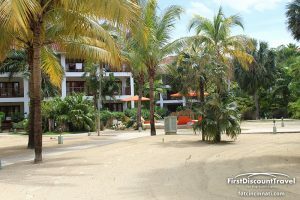 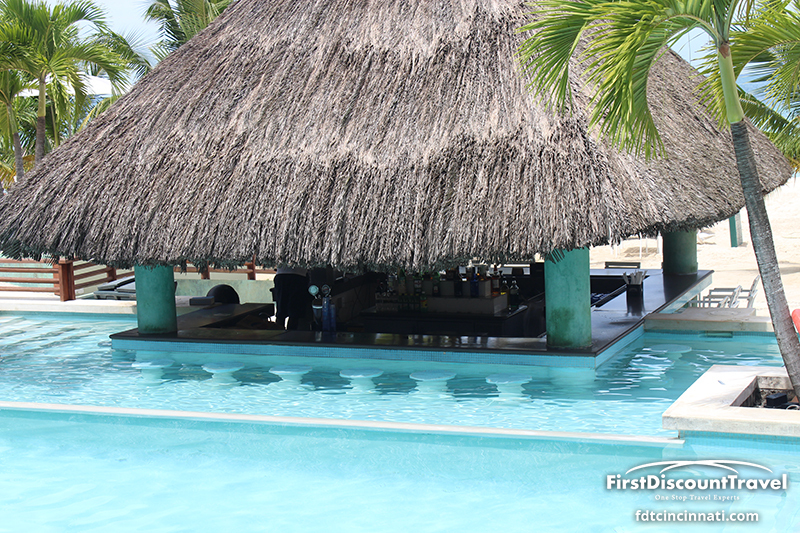 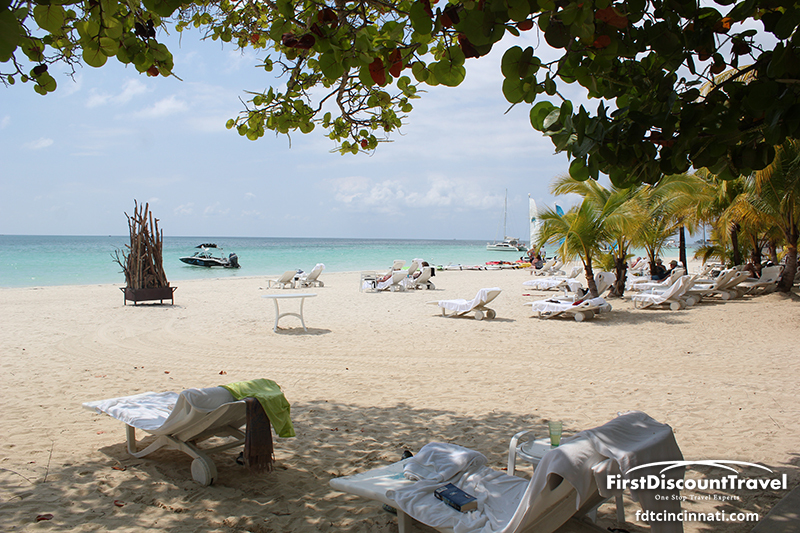 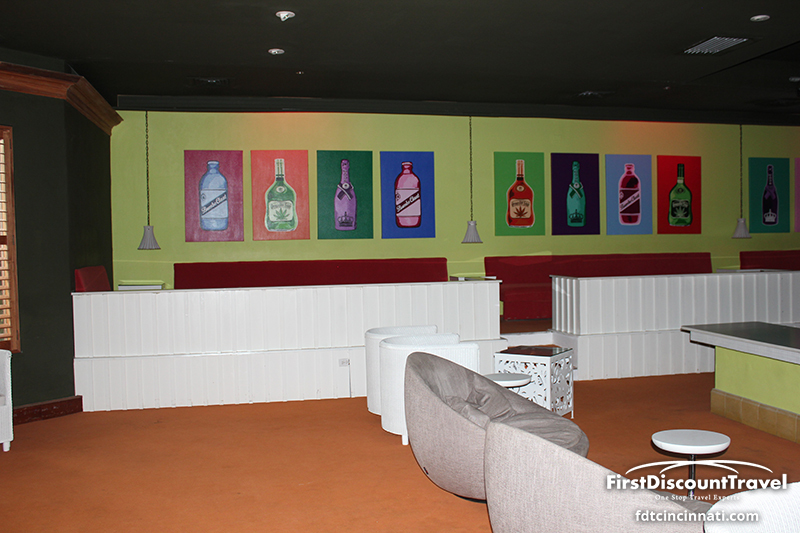 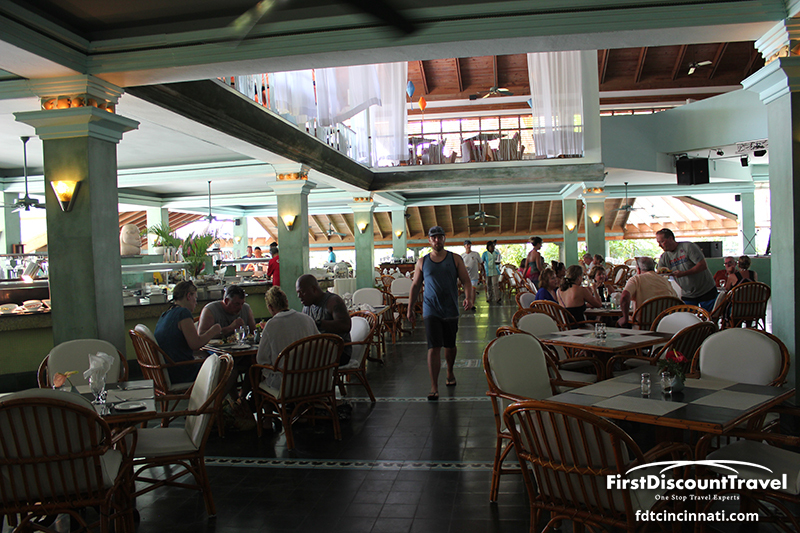 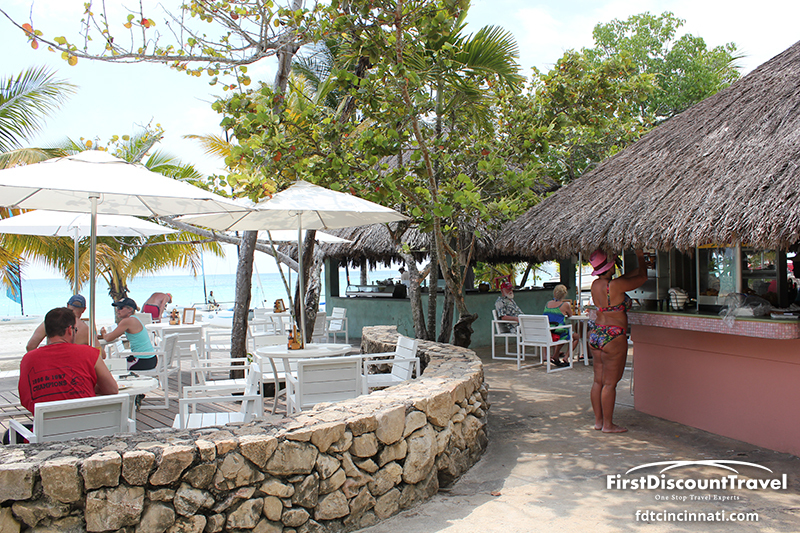 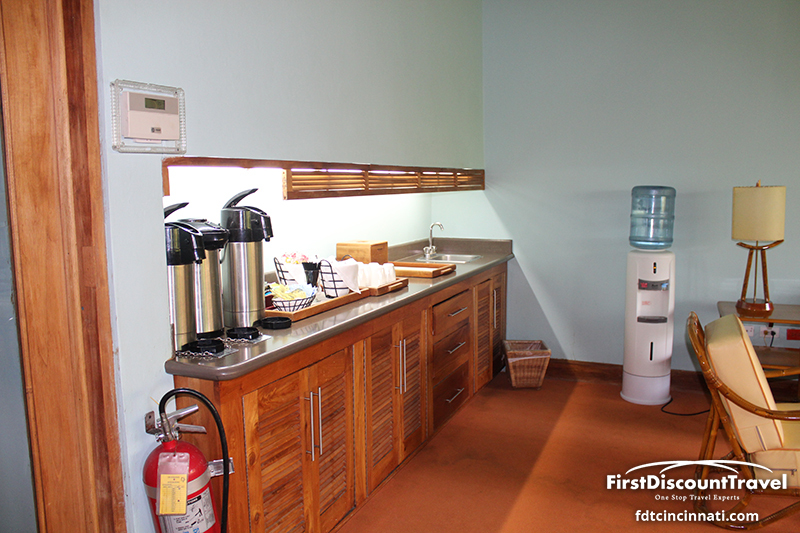 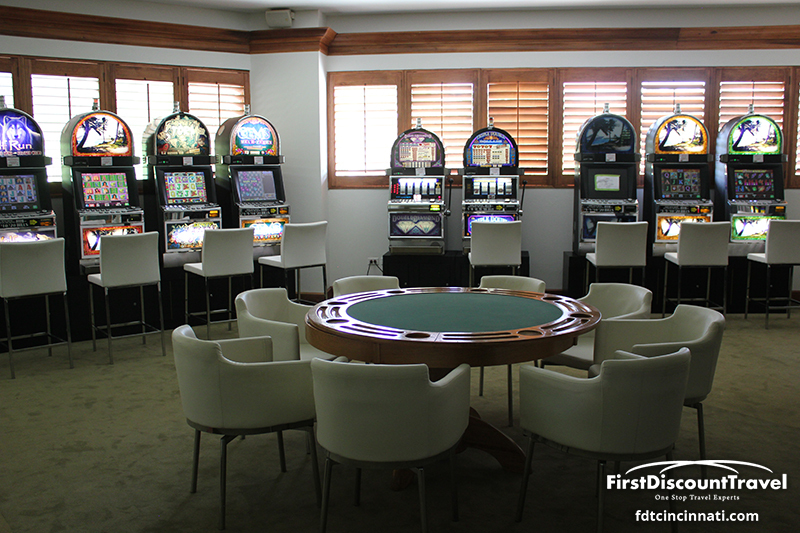 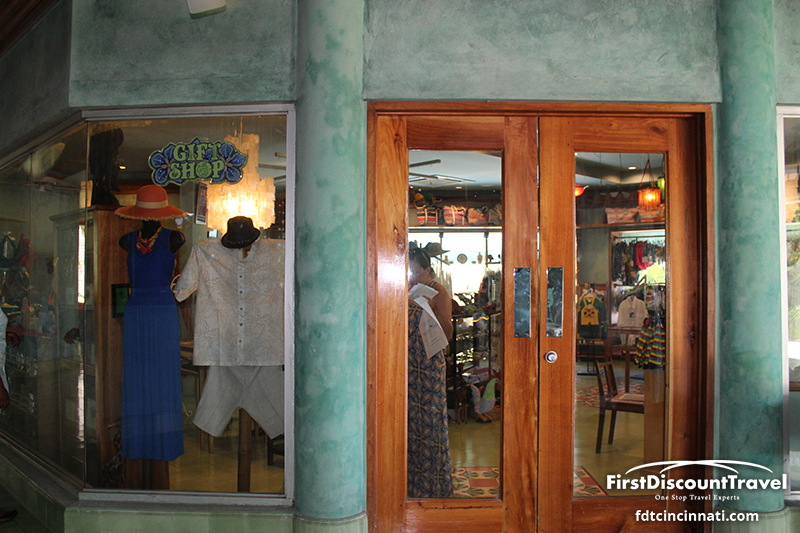 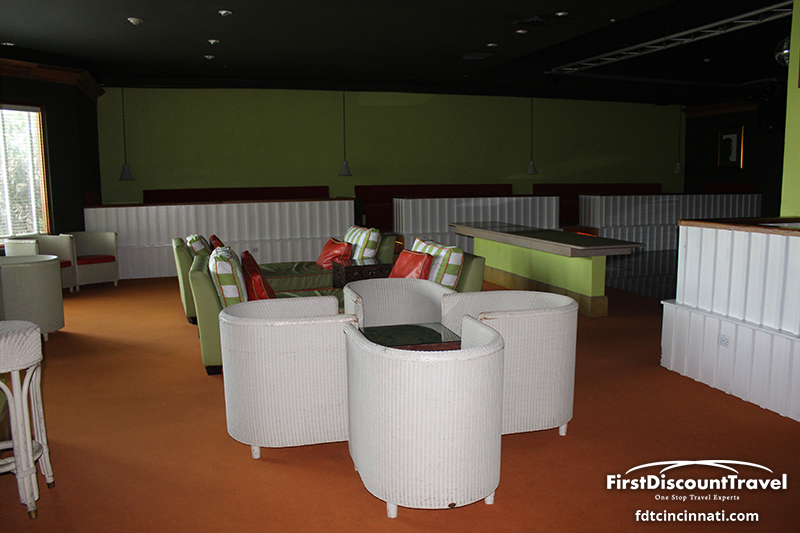 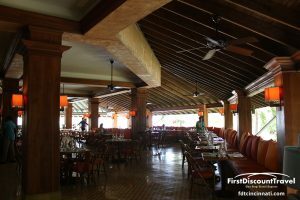 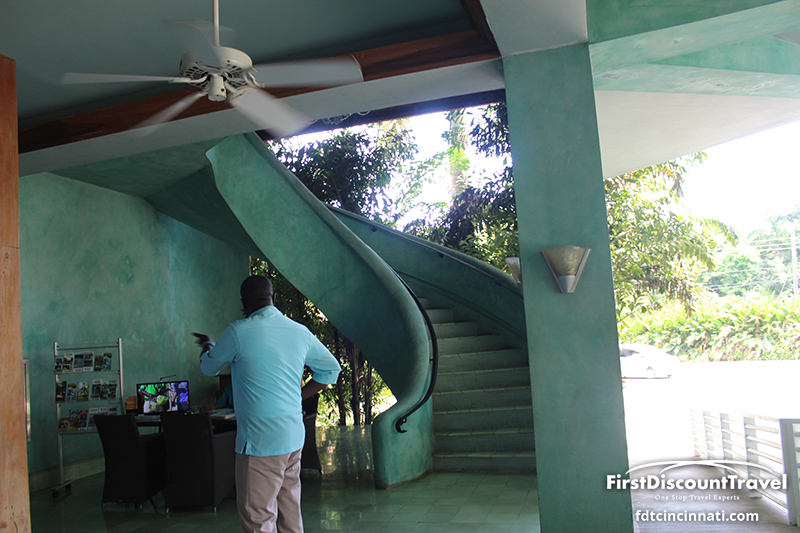 As with Couples Negril, the lobby is wired for free Wi/Fi, and there is free internet access in the lobby. 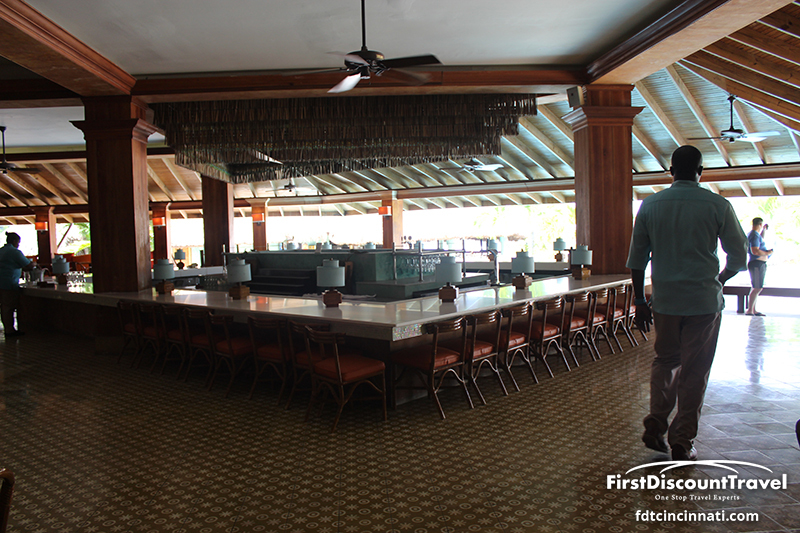 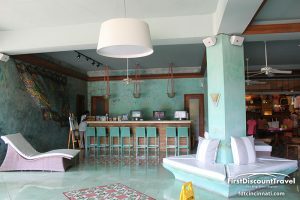 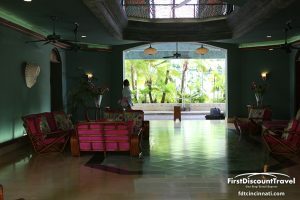 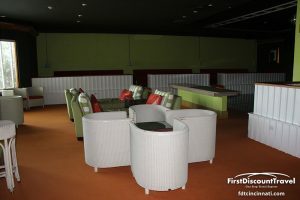 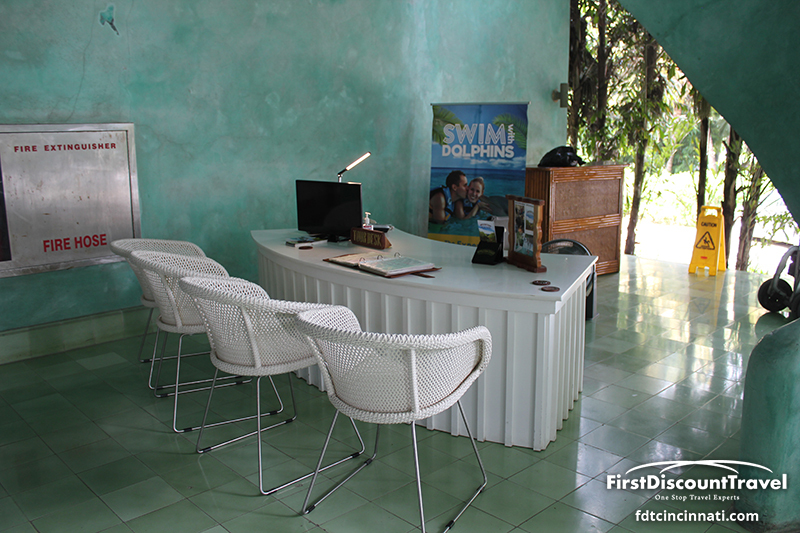 The lobby has the same Caribbean seafoam green color scheme as Couples Negril. The rooms are spread out in several two and three story bungalows. 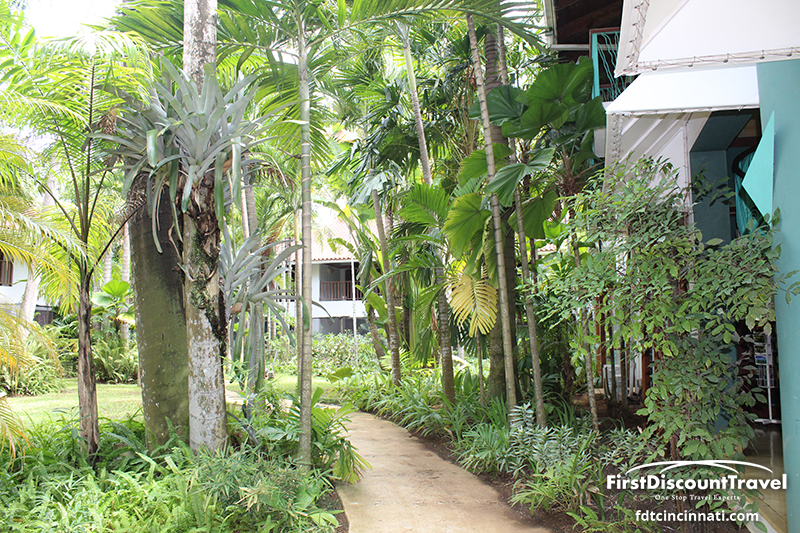 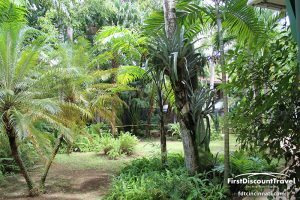 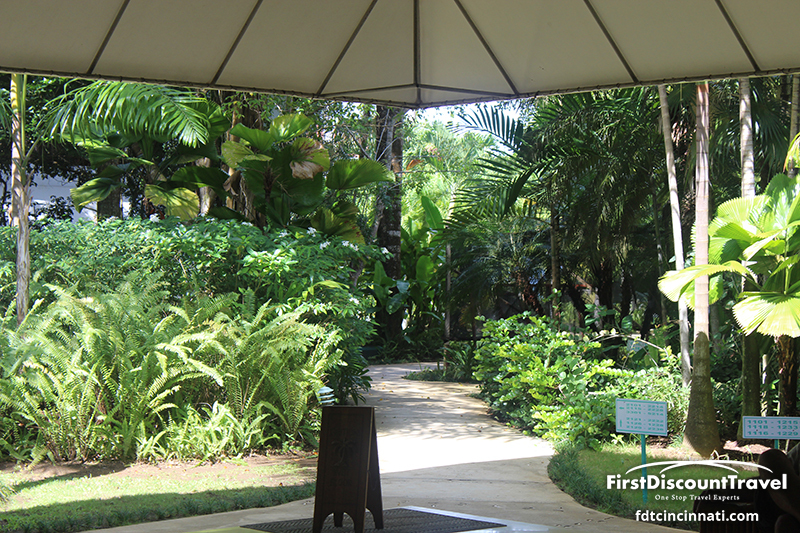 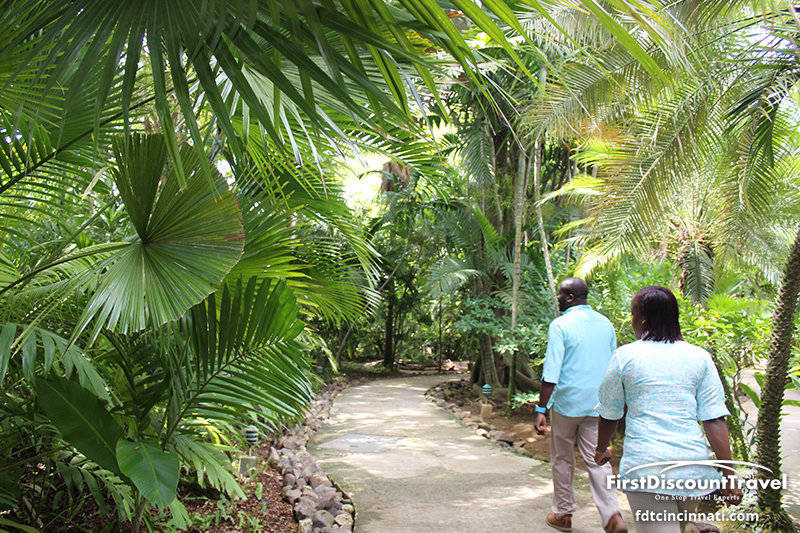 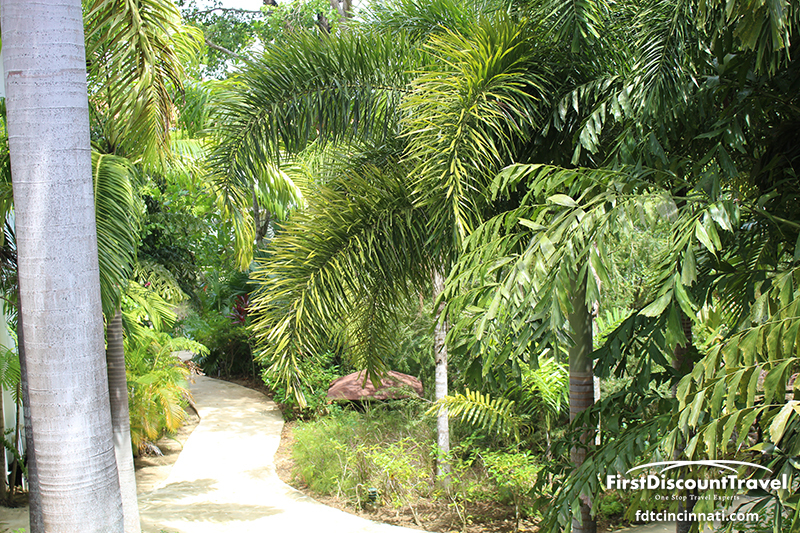 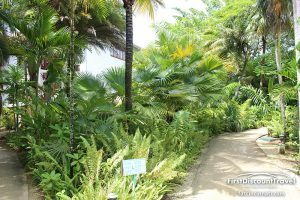 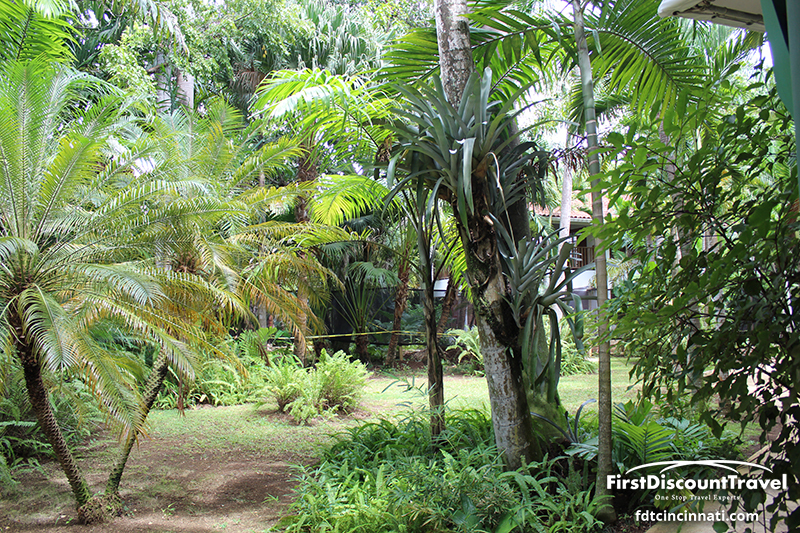 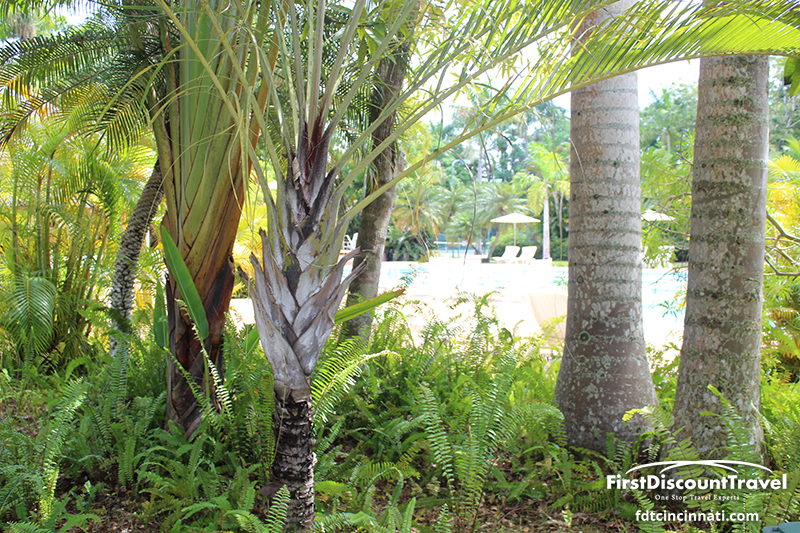 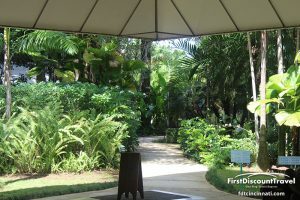 The foliage is very lush, and the resort is very quiet. 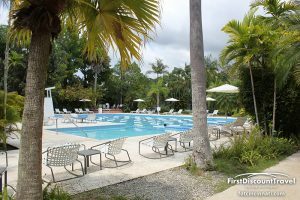 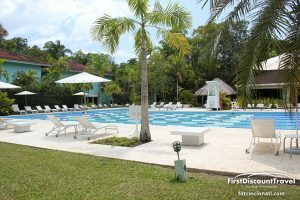 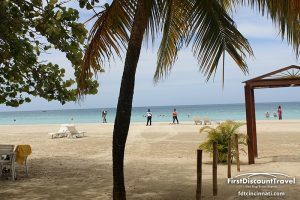 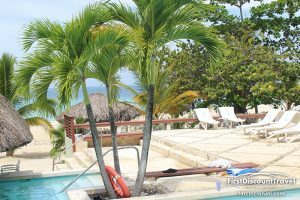 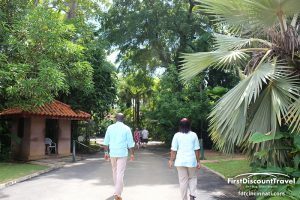 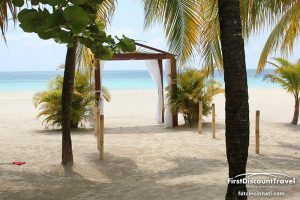 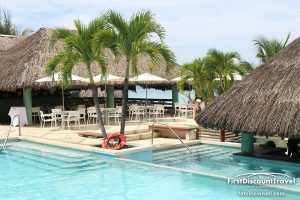 All of the free activities included at Couples Negril are included at Couples Swept Away (SCUBA, golf at Negril Hills, snorkel trips, sunset catamaran cruise, glass bottom boat, etc.). 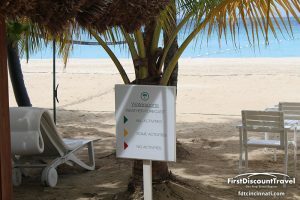 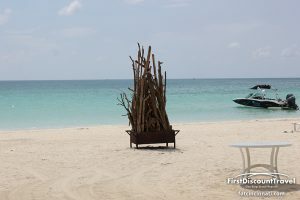 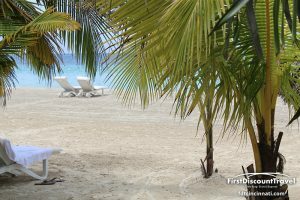 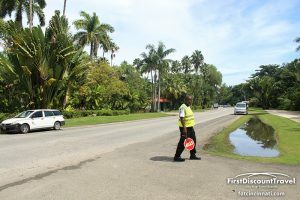 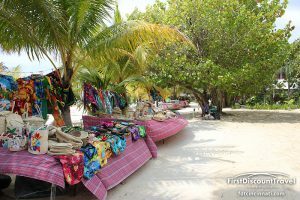 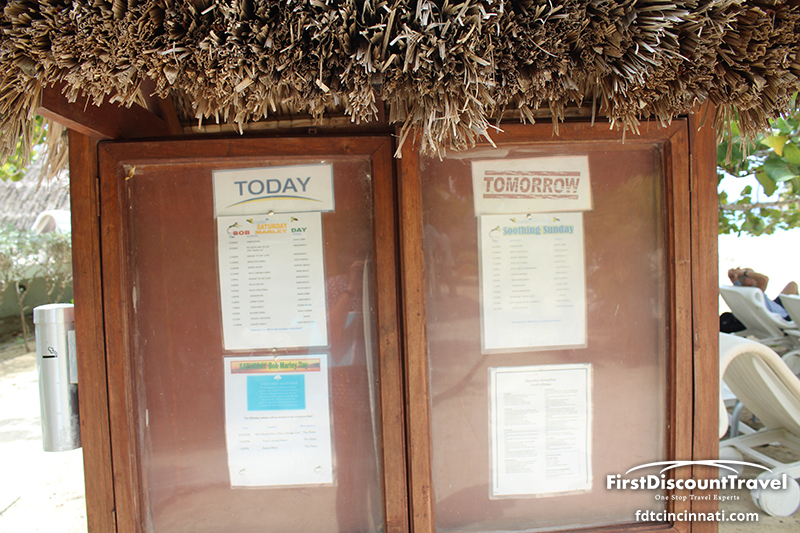 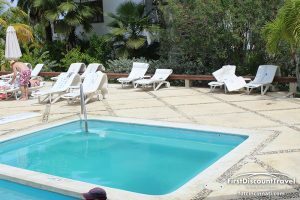 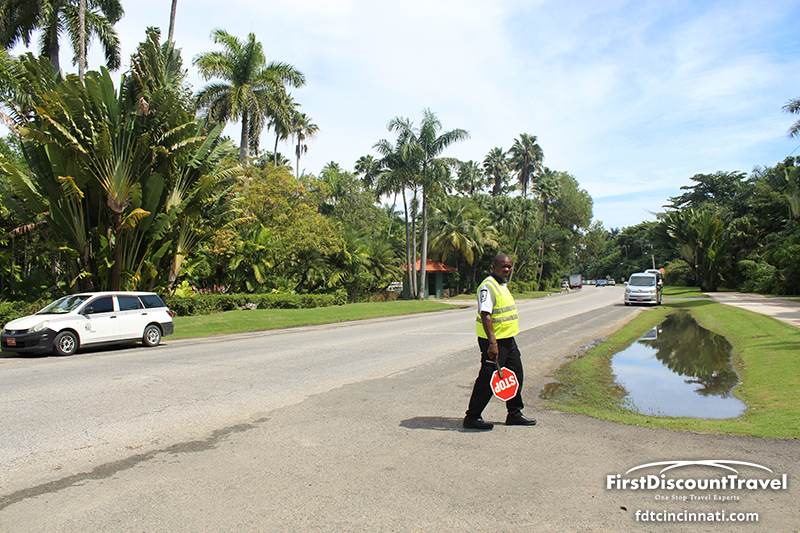 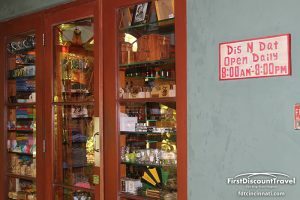 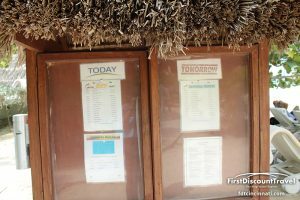 There are no exchange privileges between the two resorts. 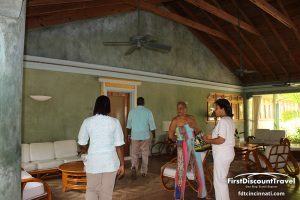 There is a very high staff to guest ratio. 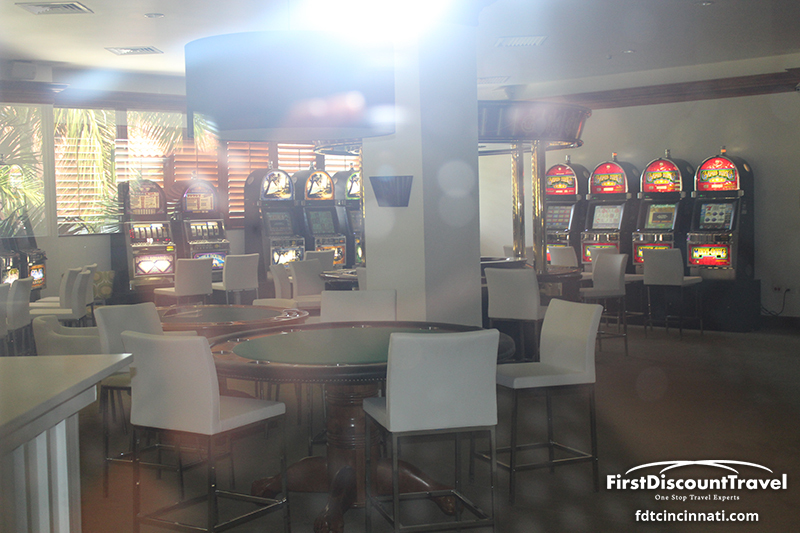 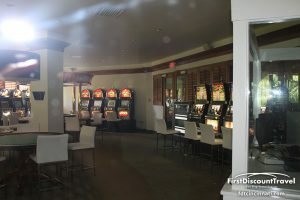 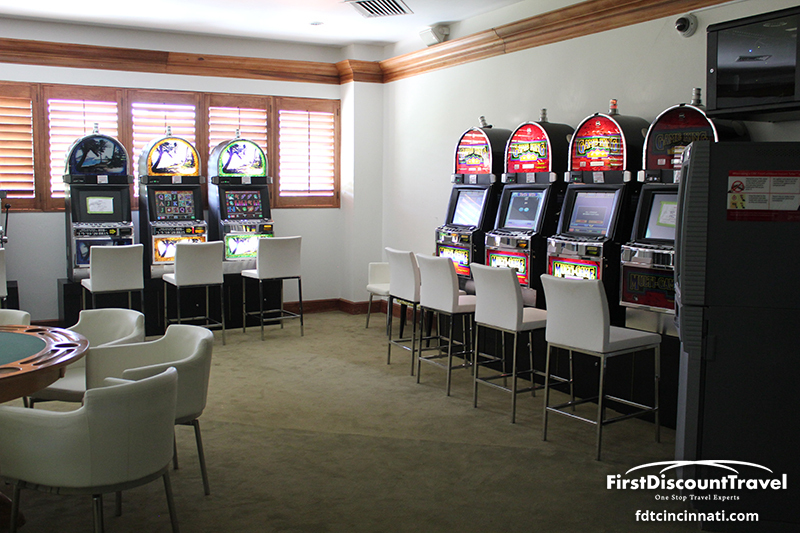 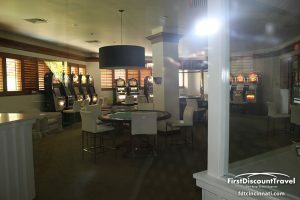 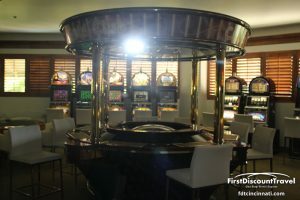 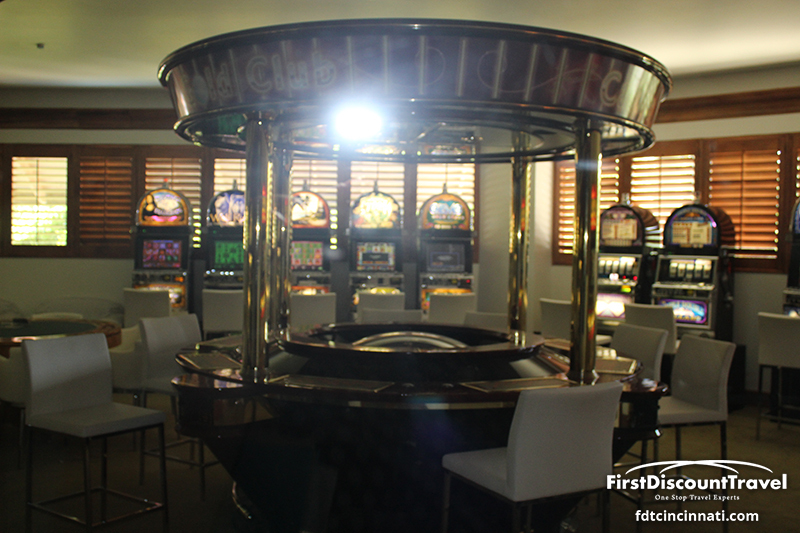 The resort recently opened a slot machine casino and a nightclub named Aura (with live music nightly). 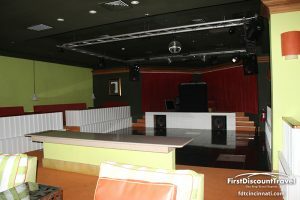 There is a show at the Palms every night and the piano bar is open from 9PM to 11PM. 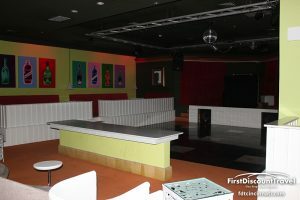 The nightclub is open from 11PM until the last person leaves. 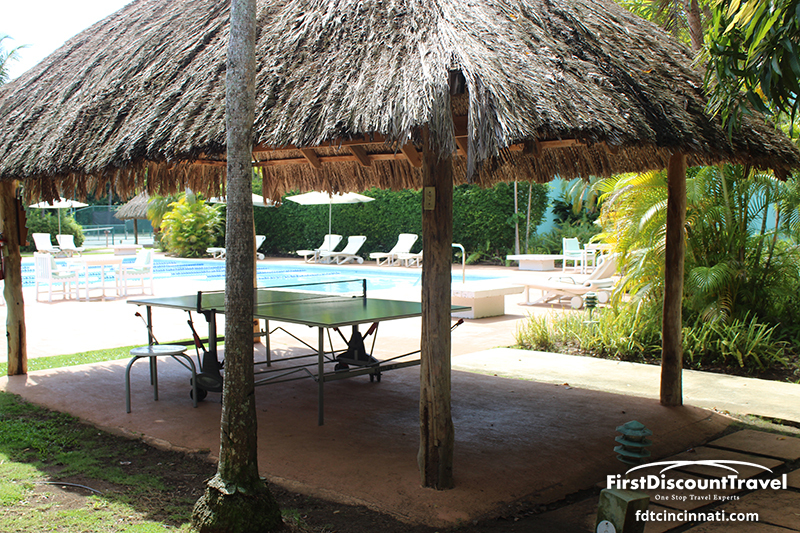 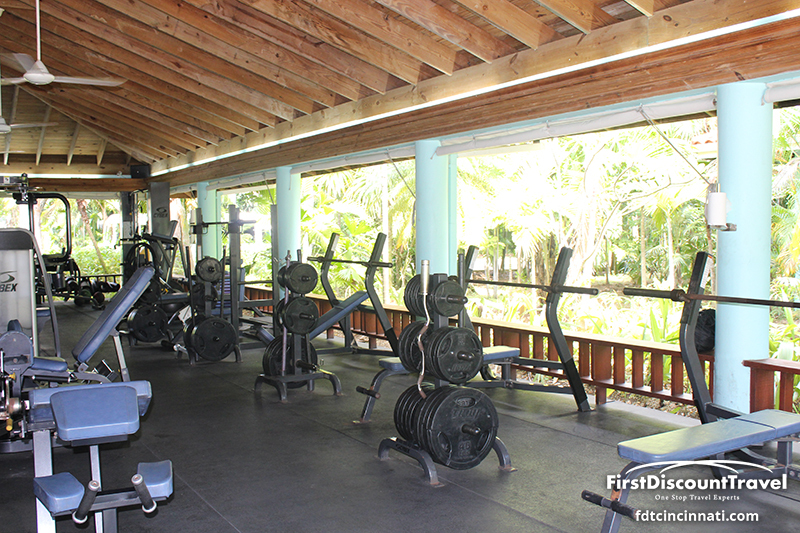 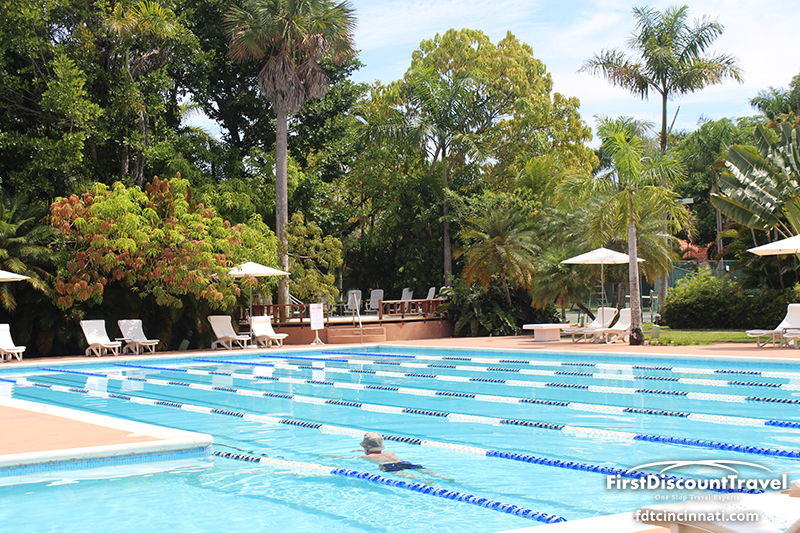 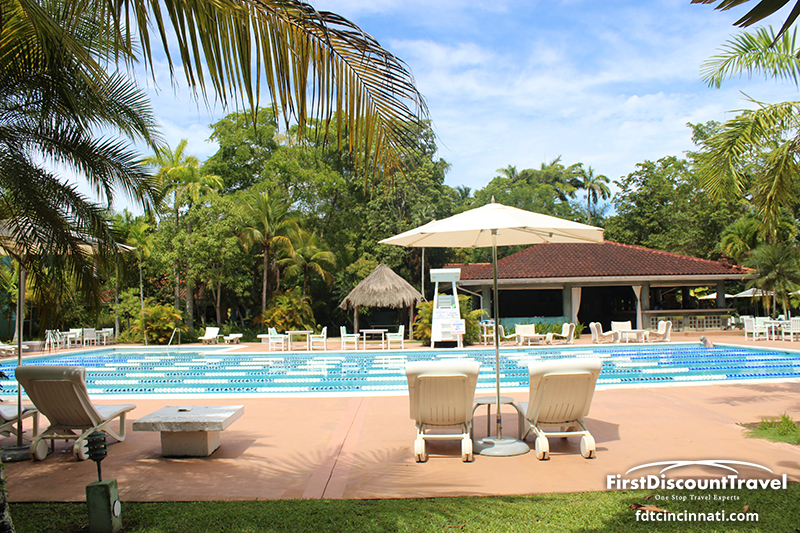 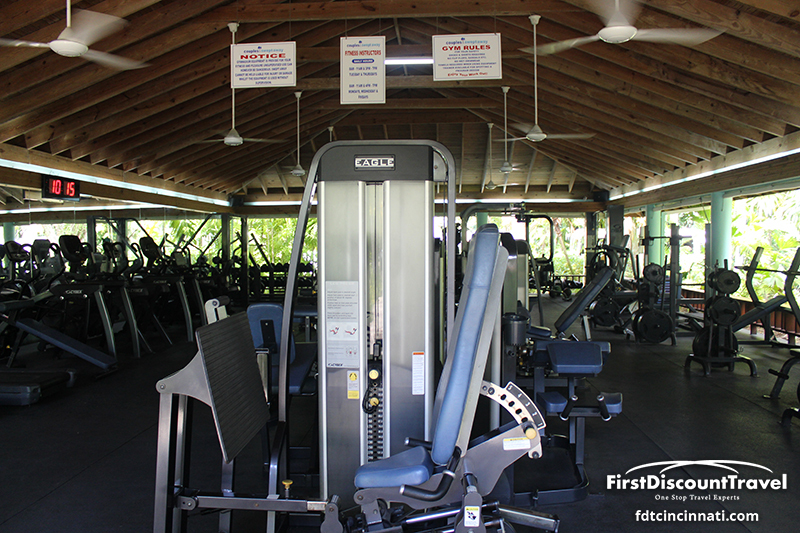 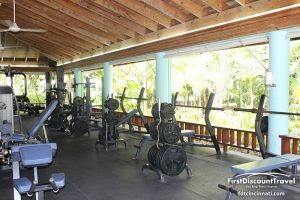 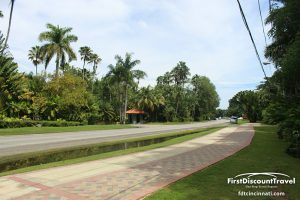 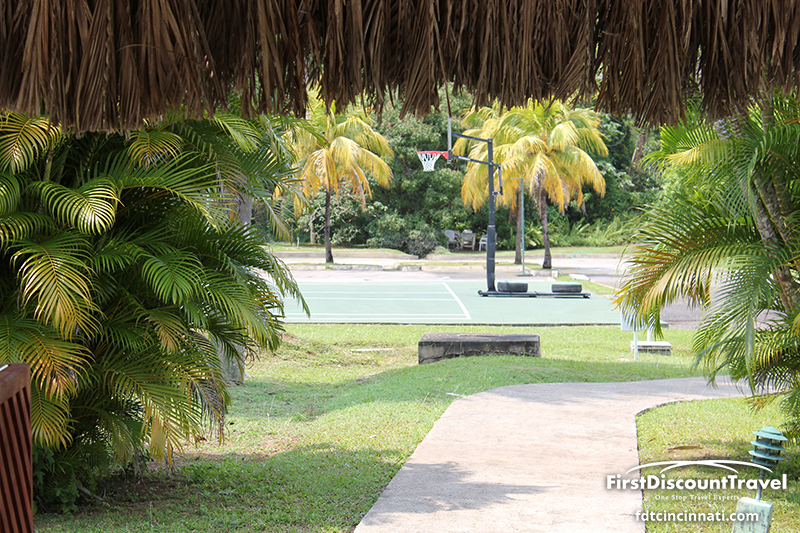 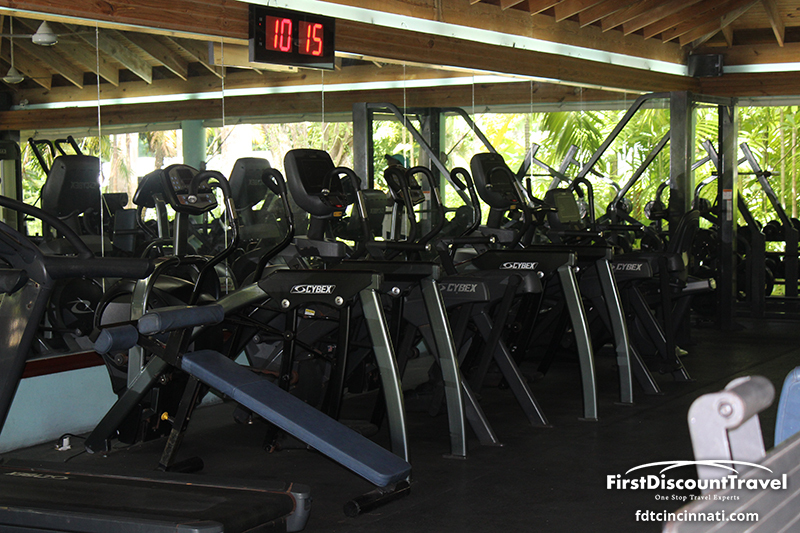 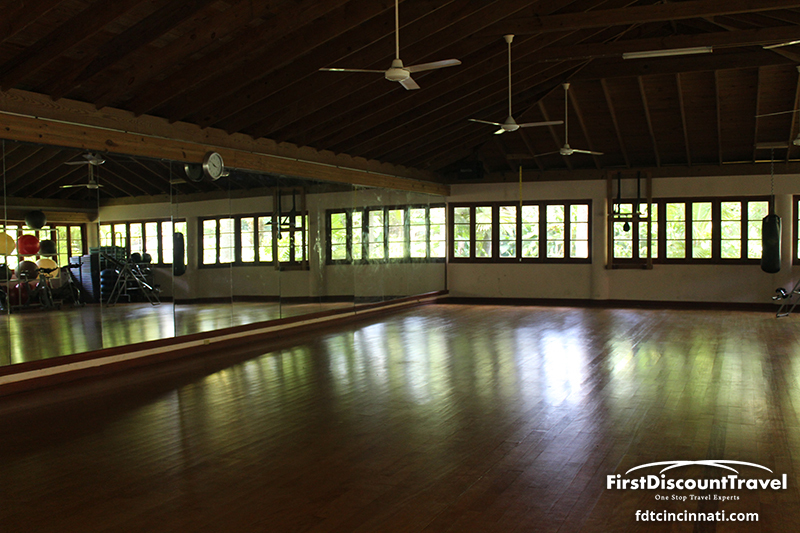 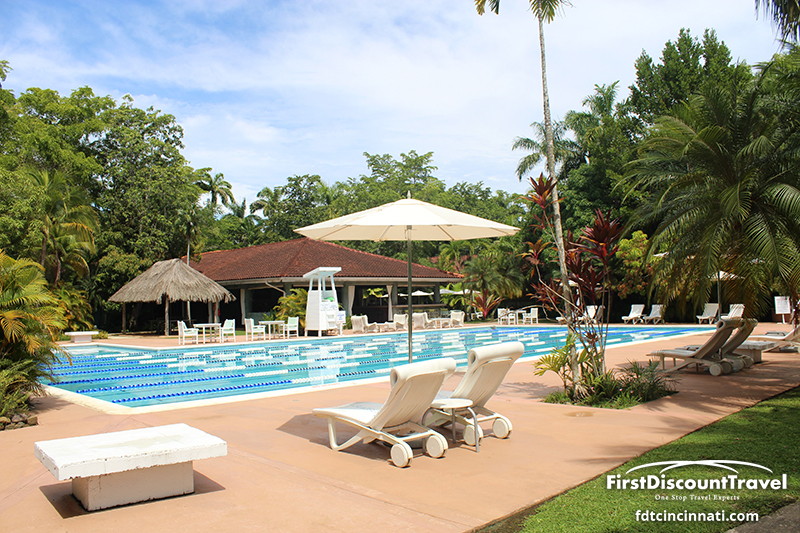 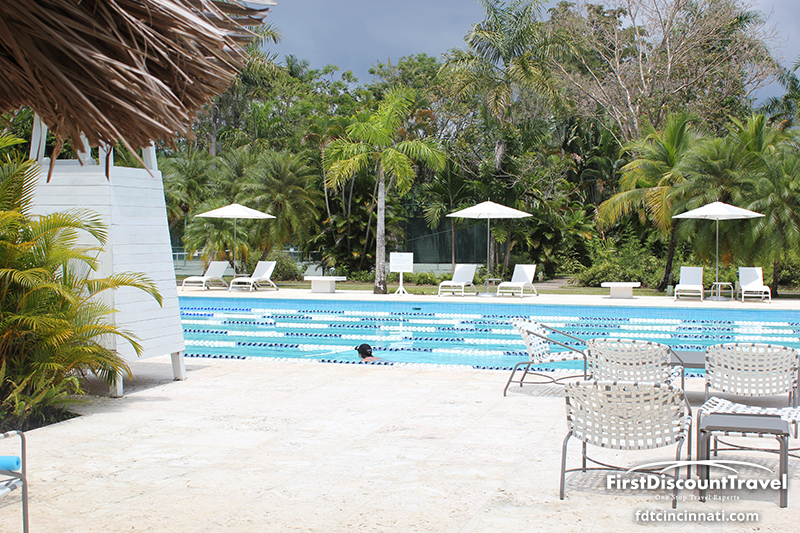 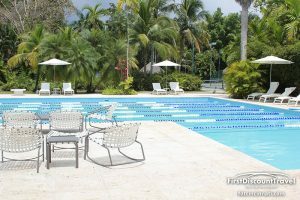 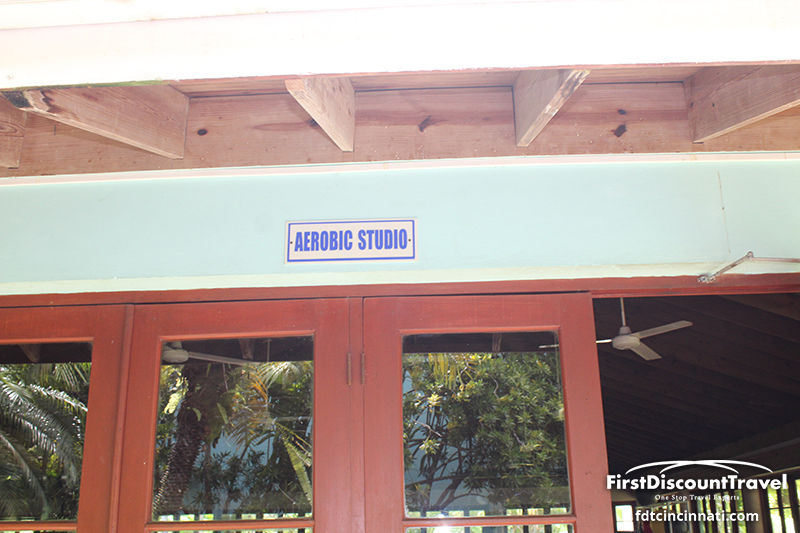 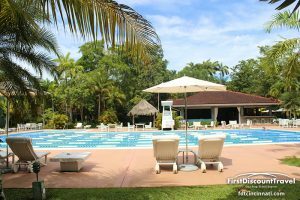 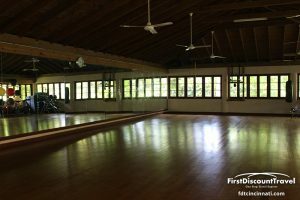 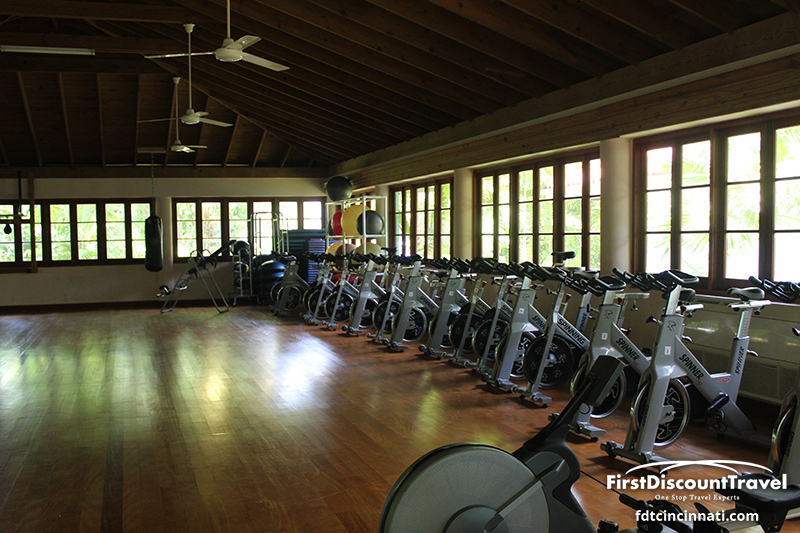 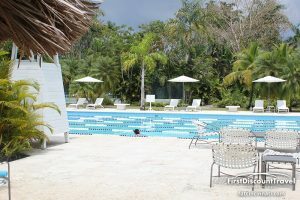 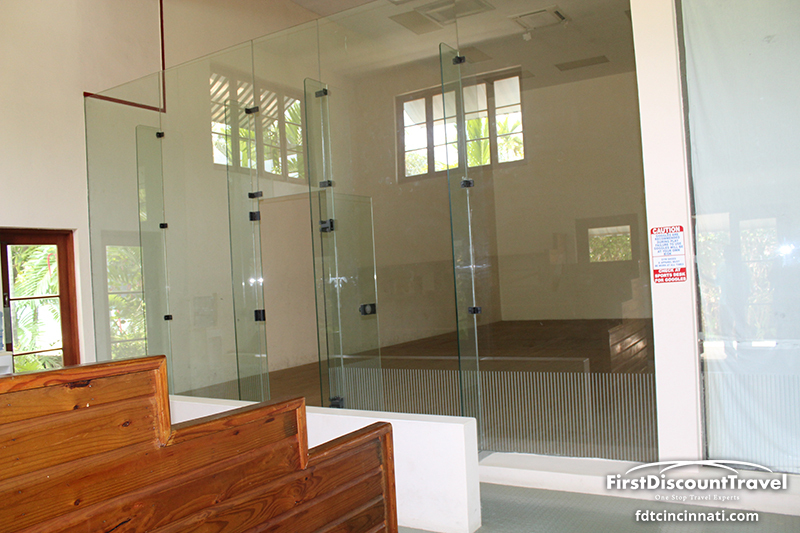 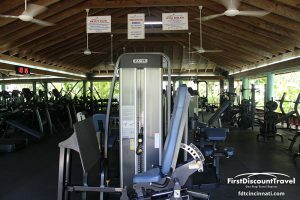 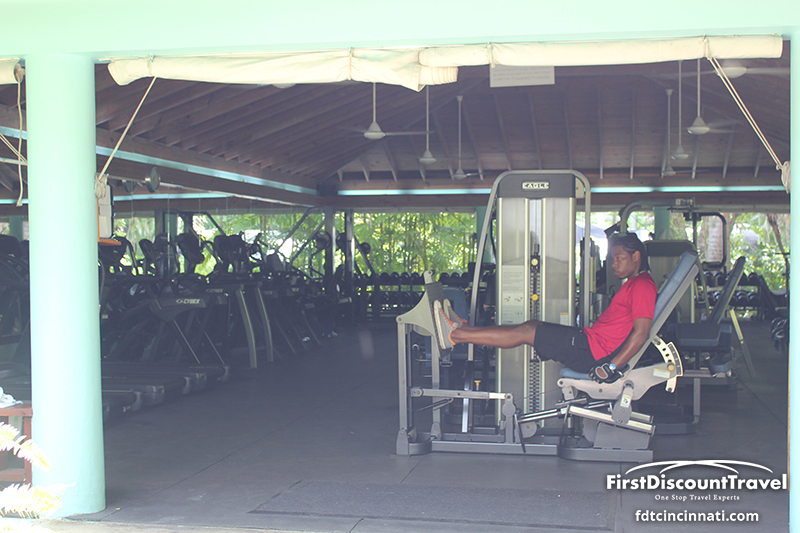 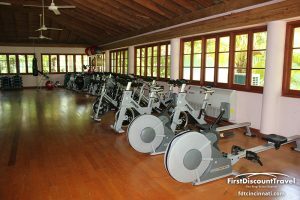 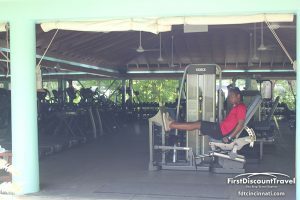 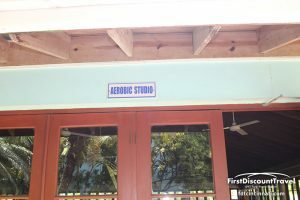 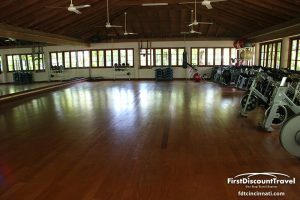 The resort has world class fitness and activities center (10 acres located across the street from the resort). 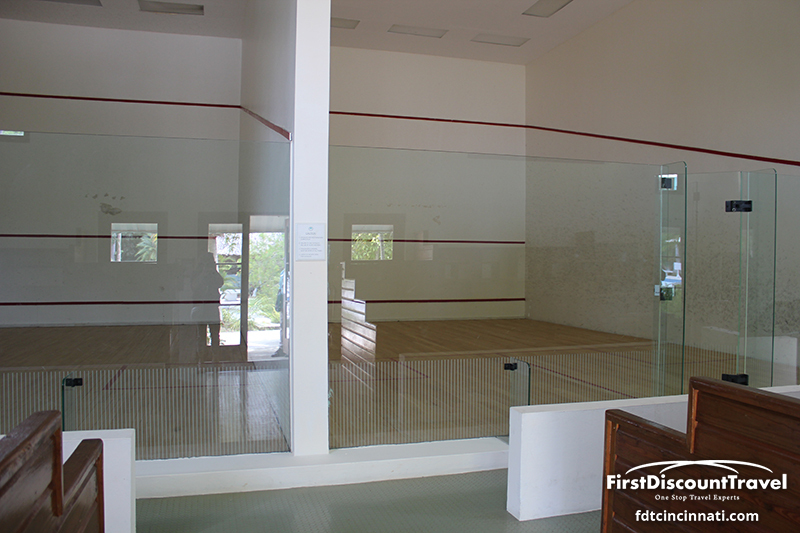 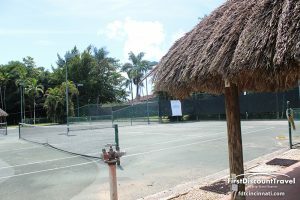 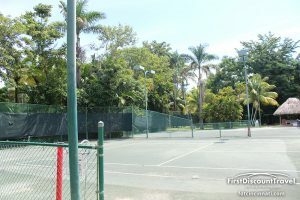 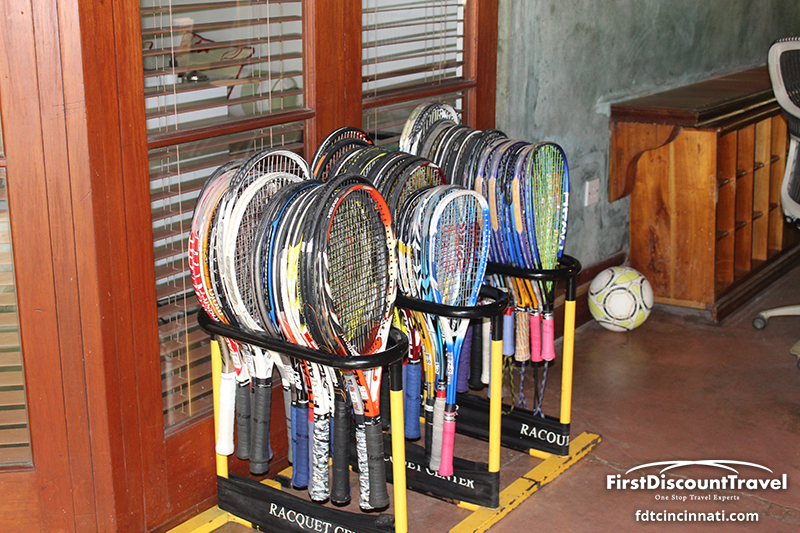 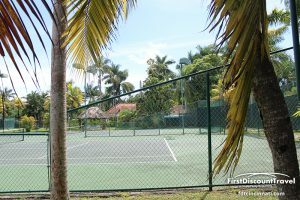 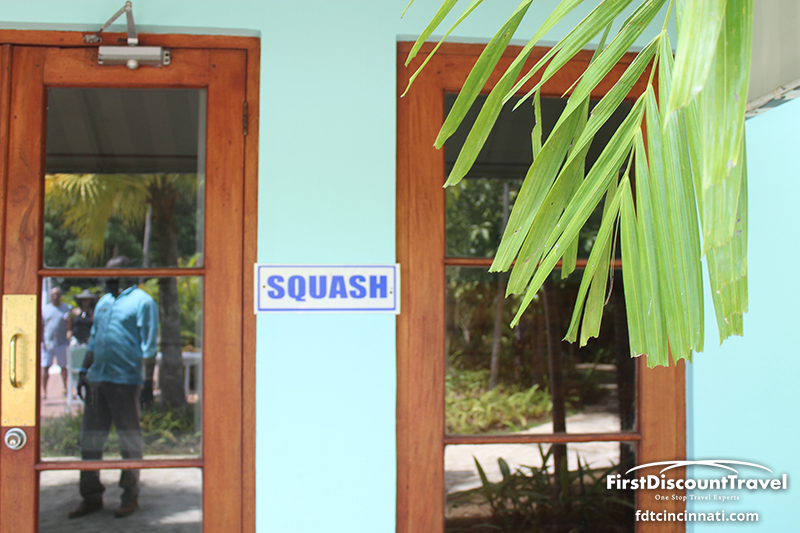 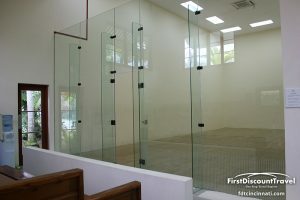 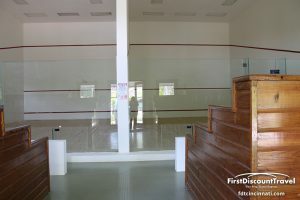 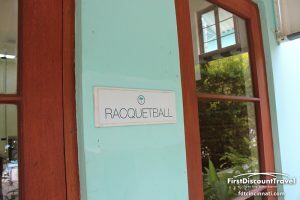 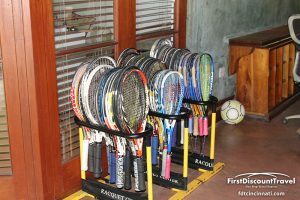 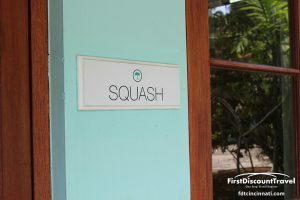 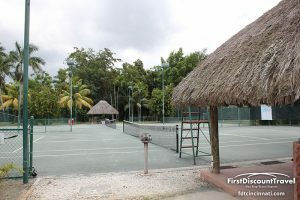 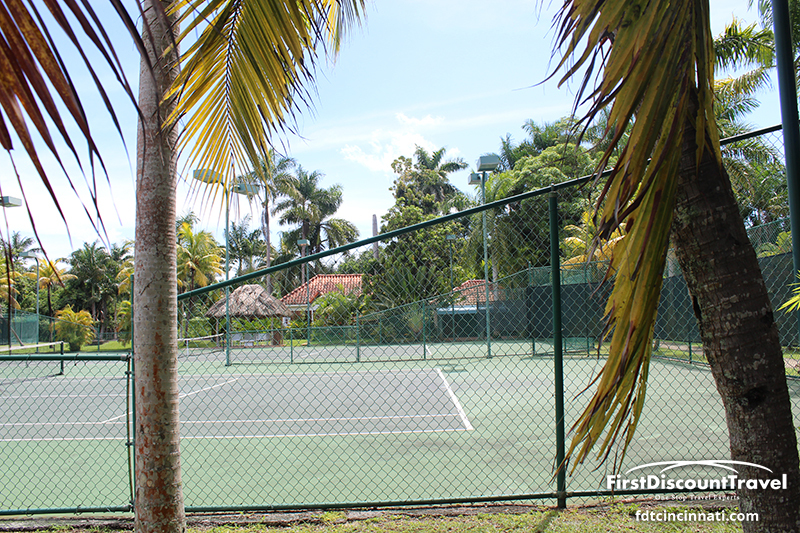 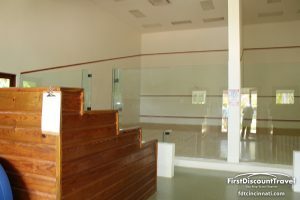 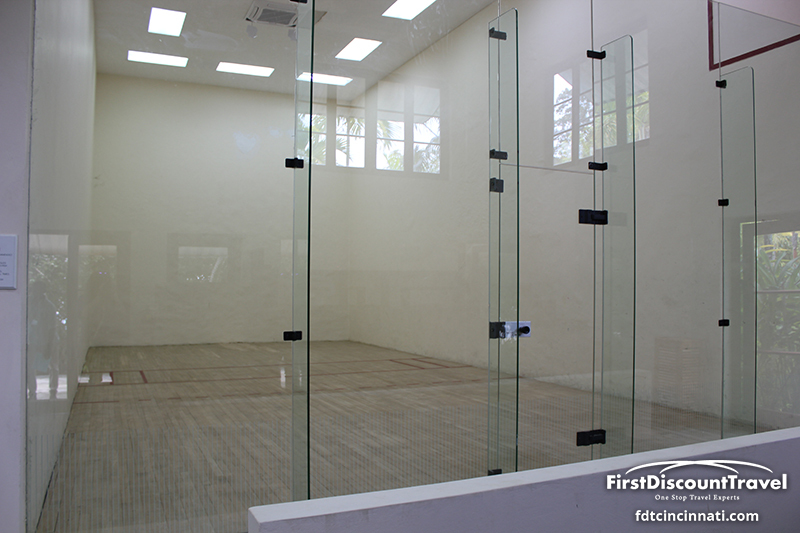 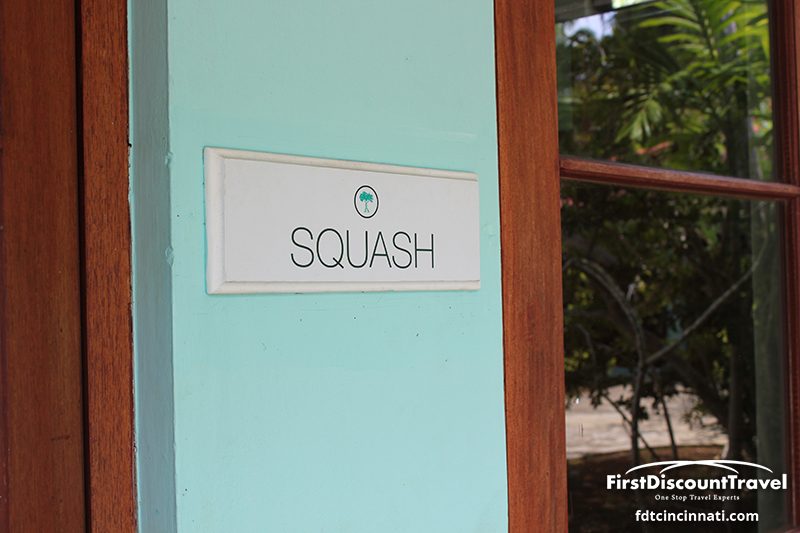 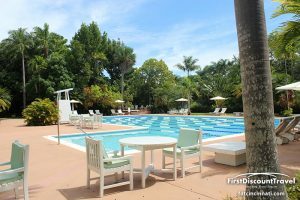 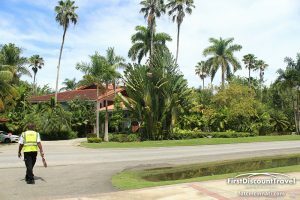 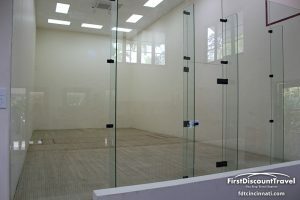 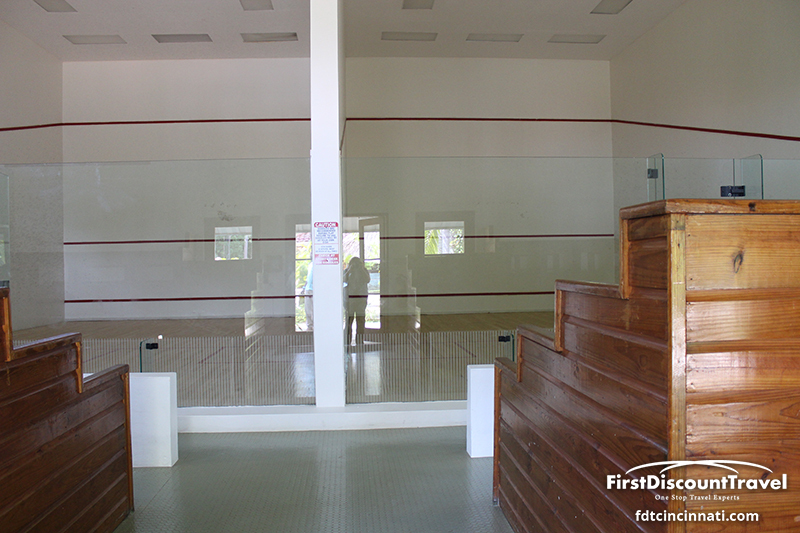 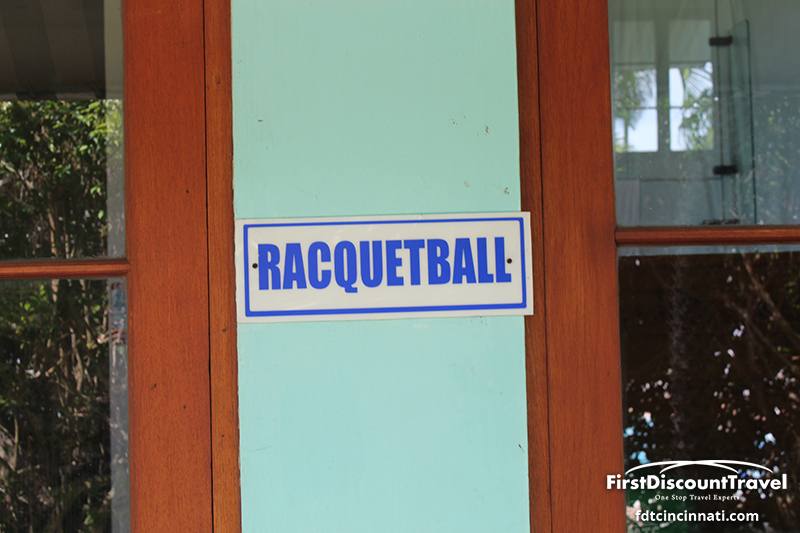 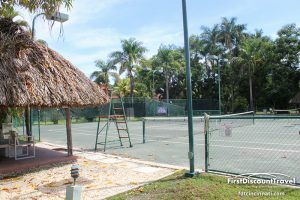 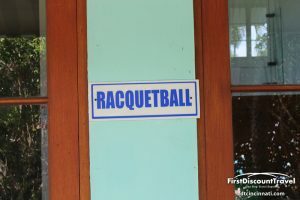 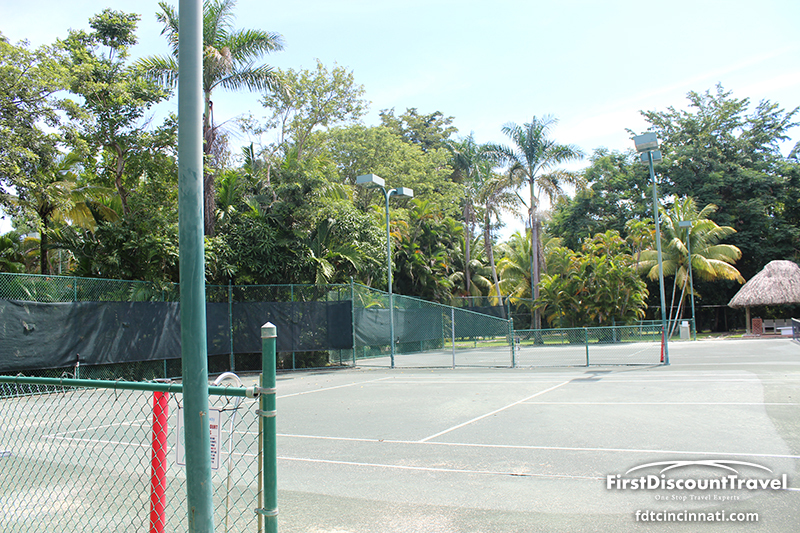 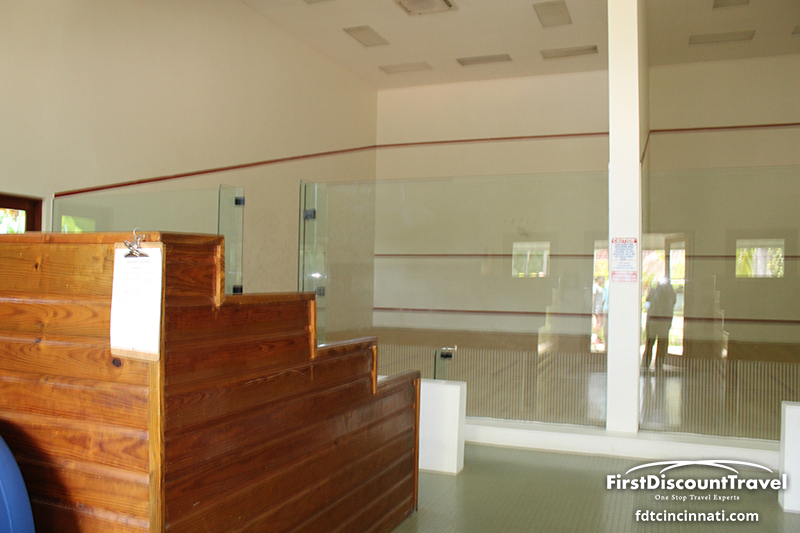 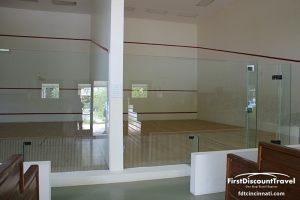 At this complex, you have the squash, racquetball and tennis courts (5 clay and 5 hard courts). 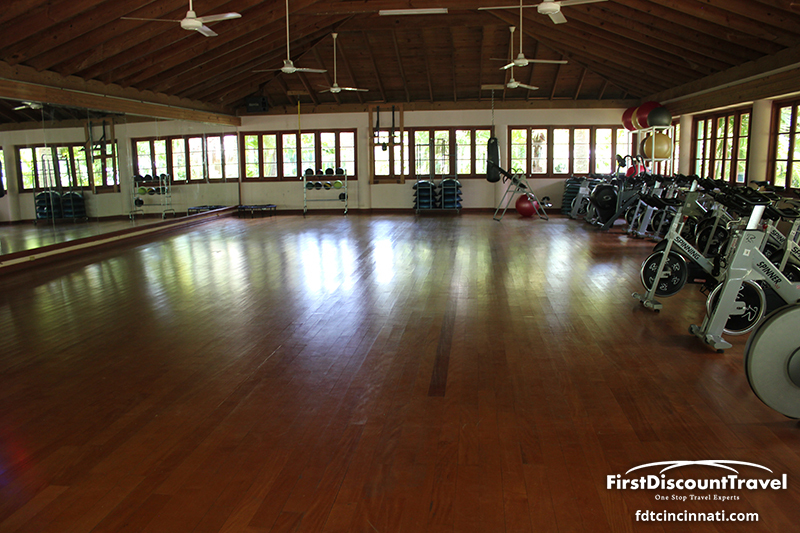 There is a full size basketball court and a separate aerobics building. 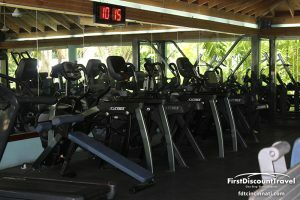 There is a huge gym with cybex, free weights, and cardio machines. 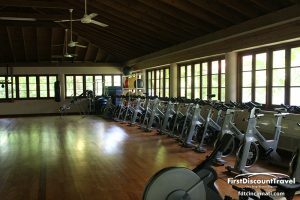 This is the largest gym I’ve ever seen in a hotel (they also have a free personal trainer). There is an Olympic sized pool used for laps. 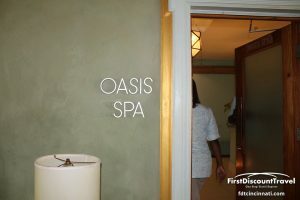 They have expanded the spa to 8 treatment rooms and cleared a half mile jogging path among the gardens. 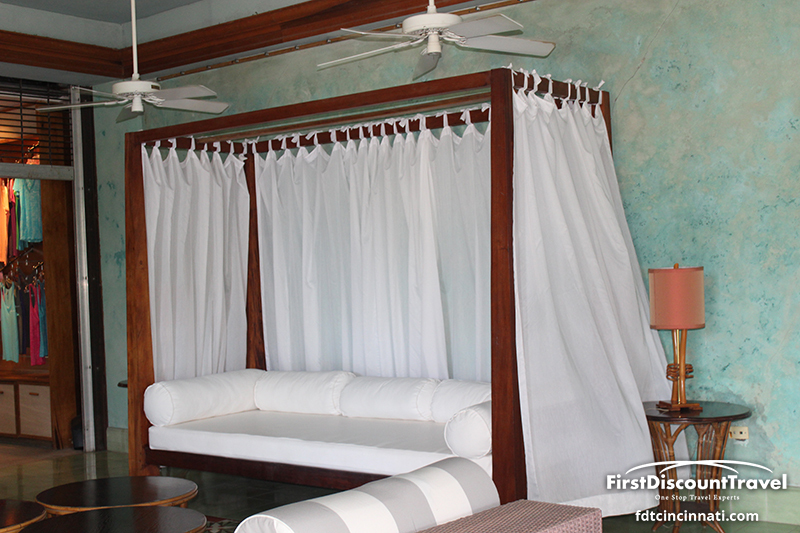 Honeymooners receive a complimentary 30 minute couples massage. 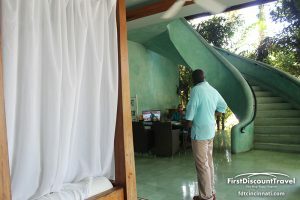 The rooms at Couples Swept Away are unique and very nice. 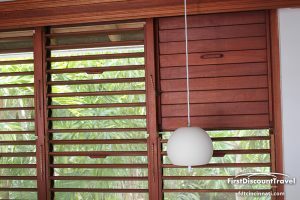 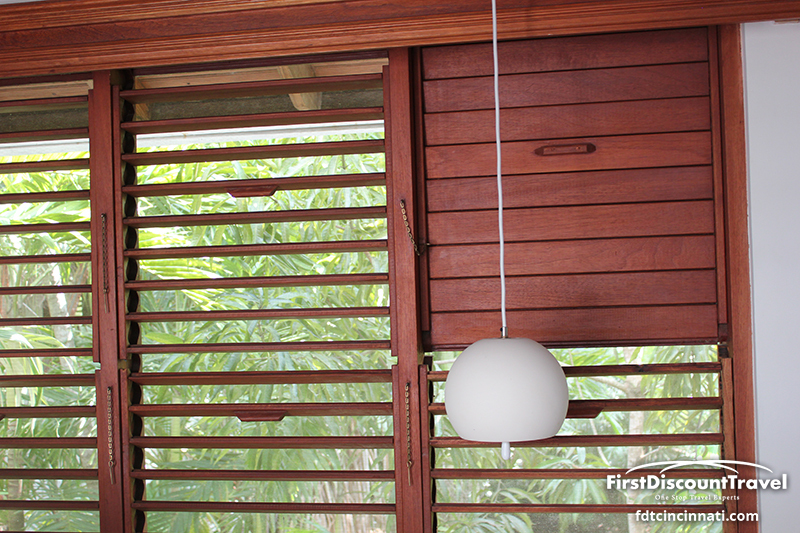 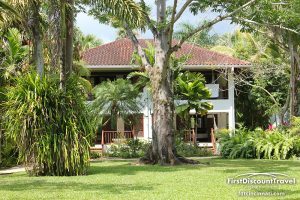 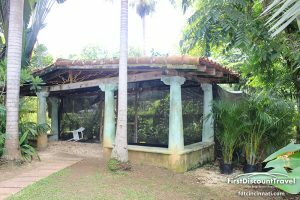 The most striking feature is the huge verandahs. 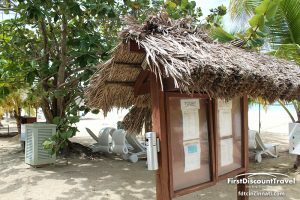 There are two types of buildings at Swept Away. 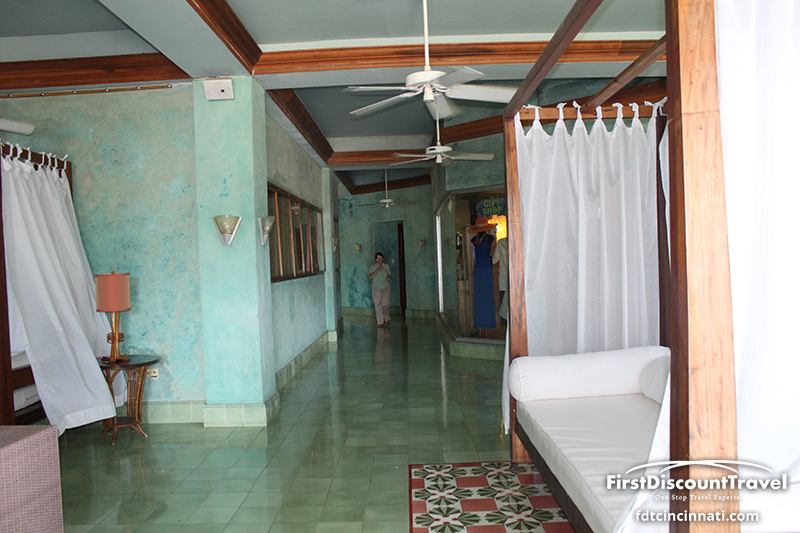 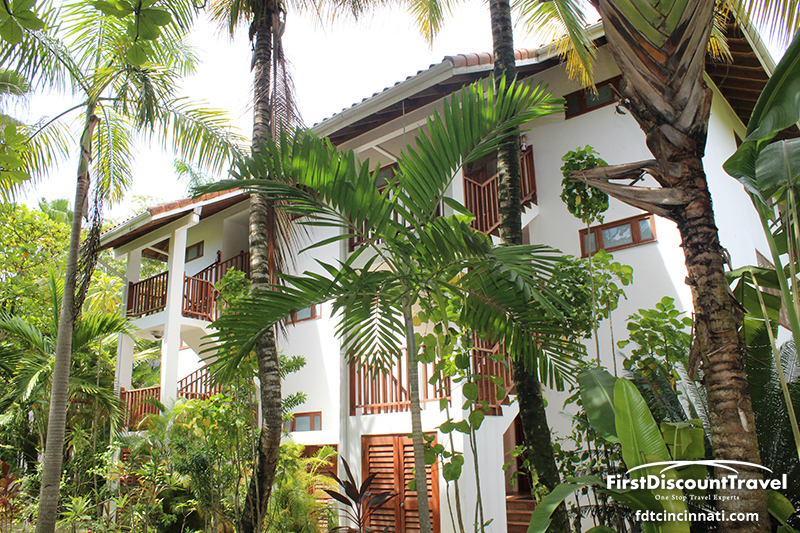 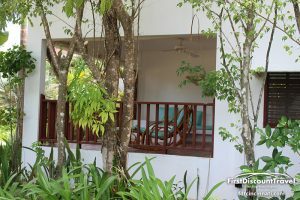 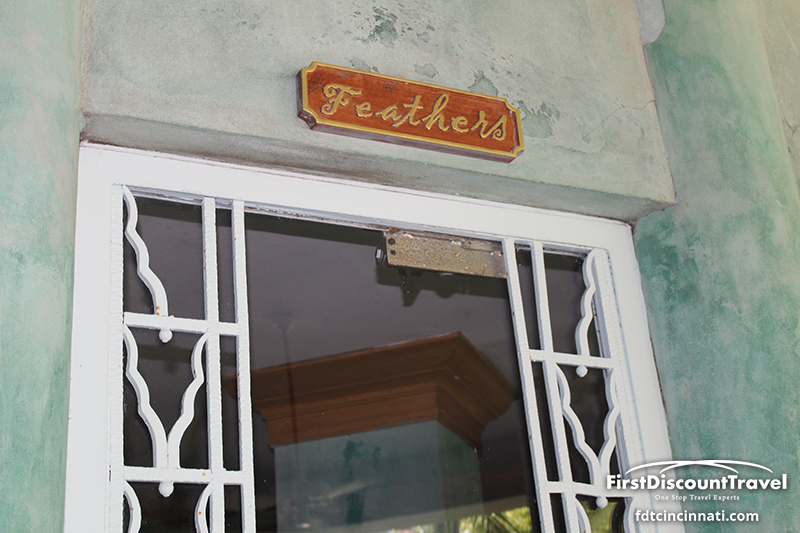 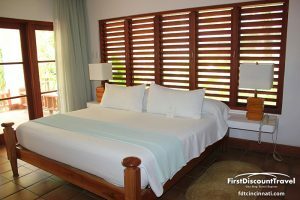 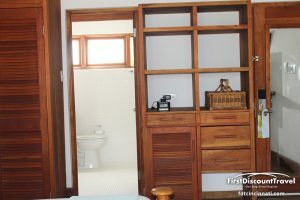 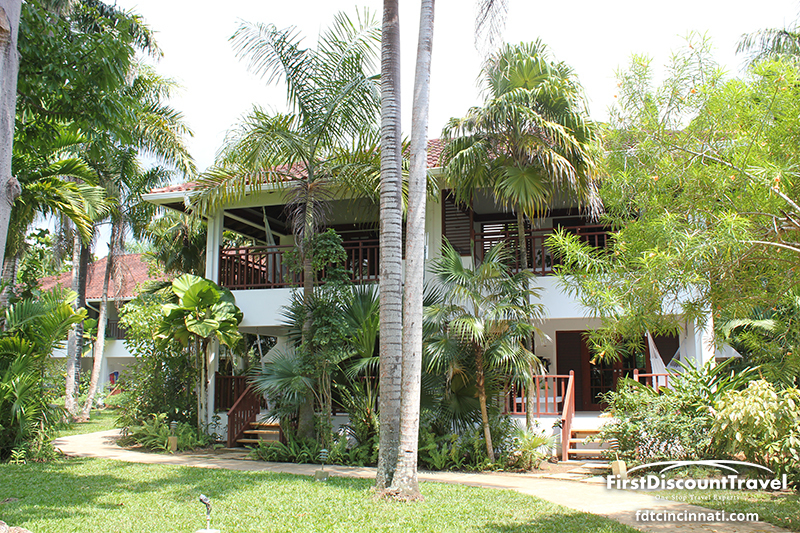 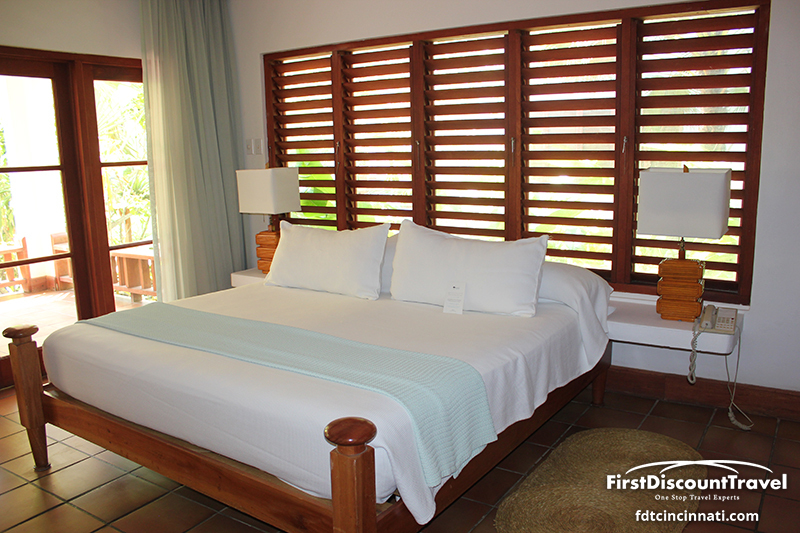 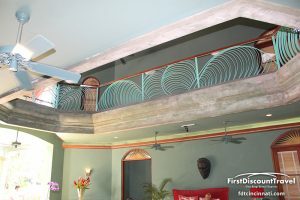 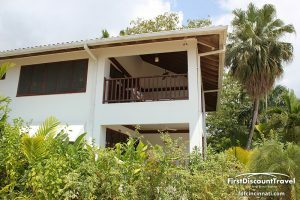 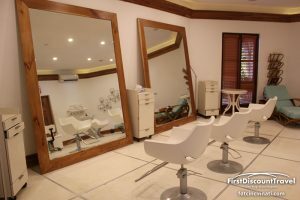 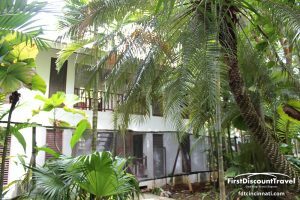 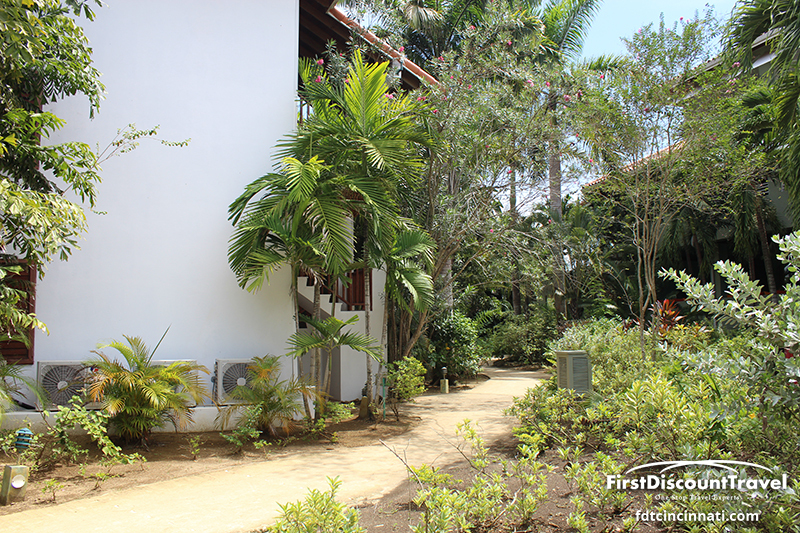 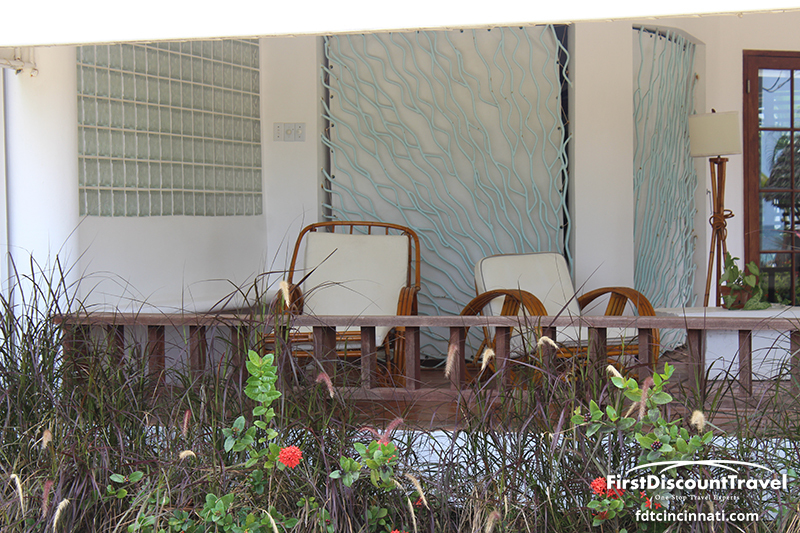 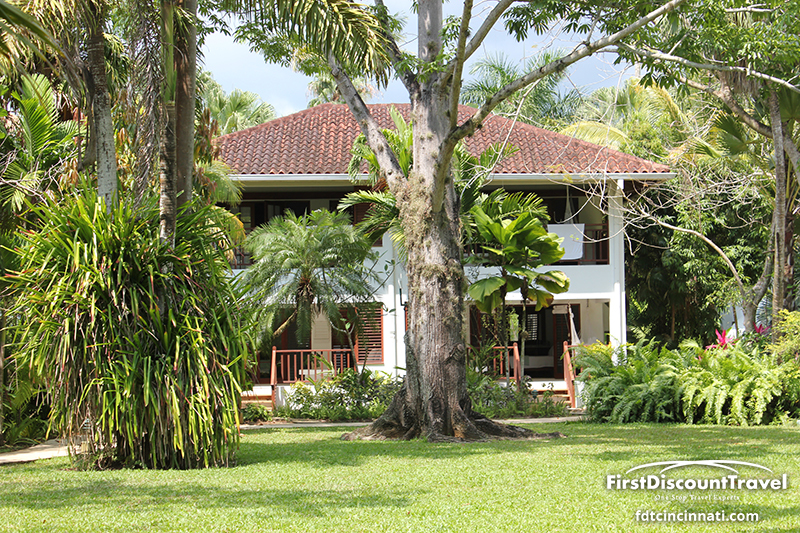 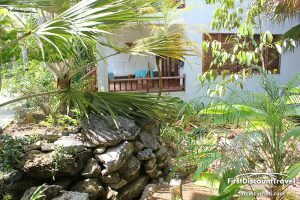 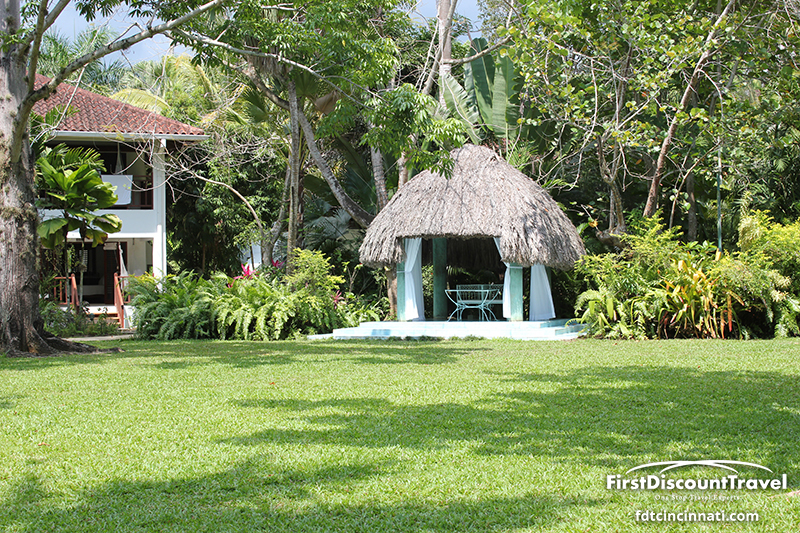 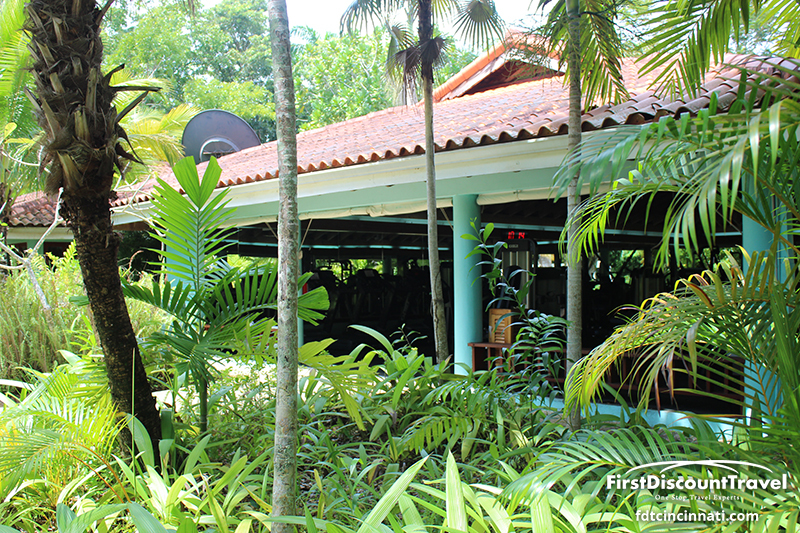 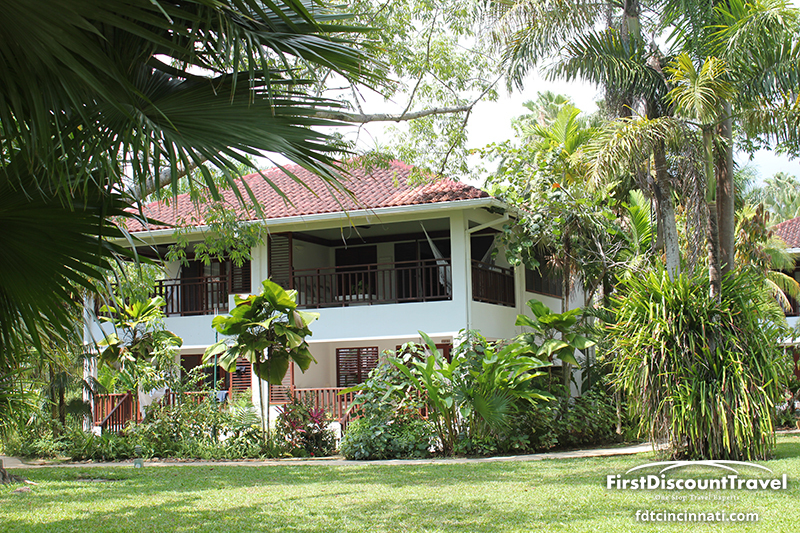 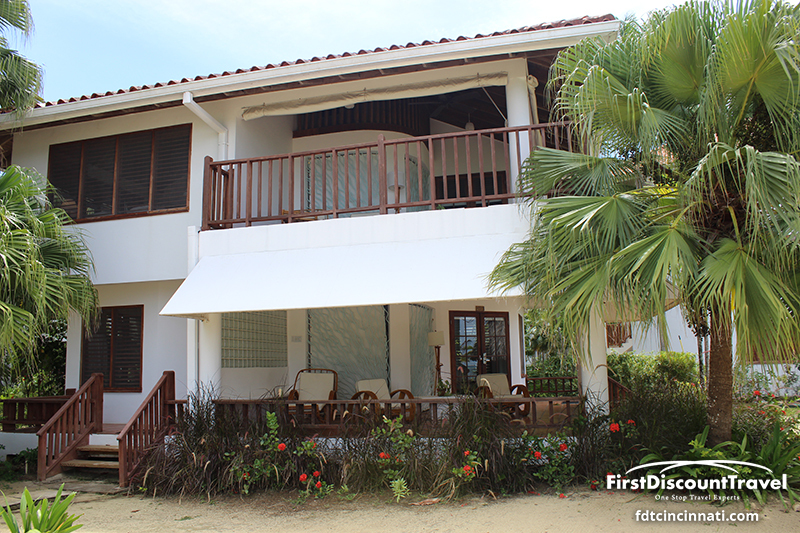 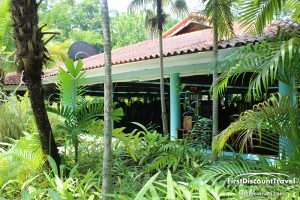 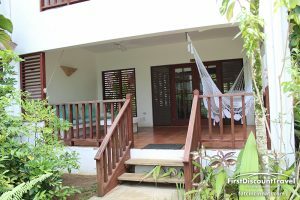 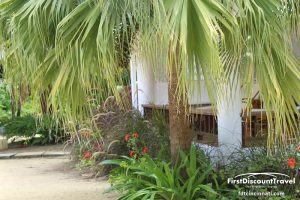 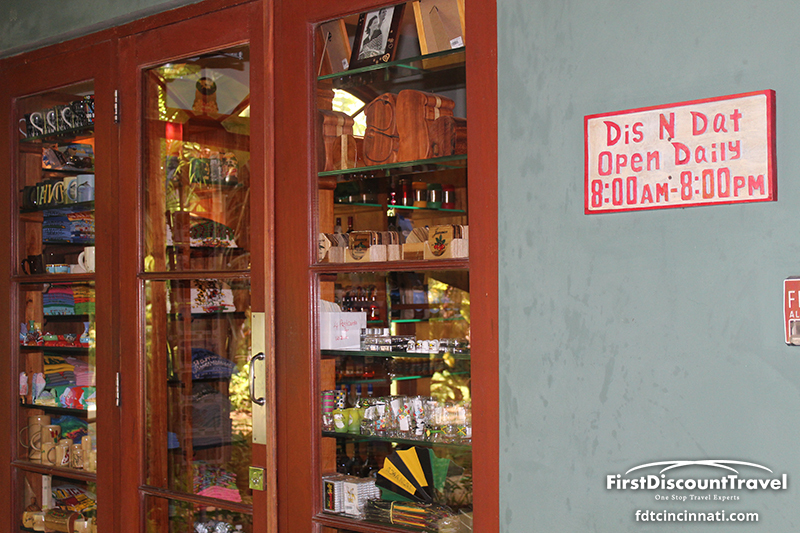 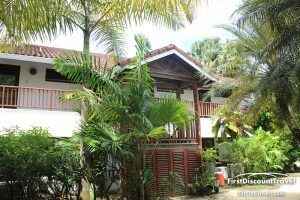 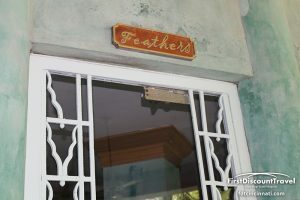 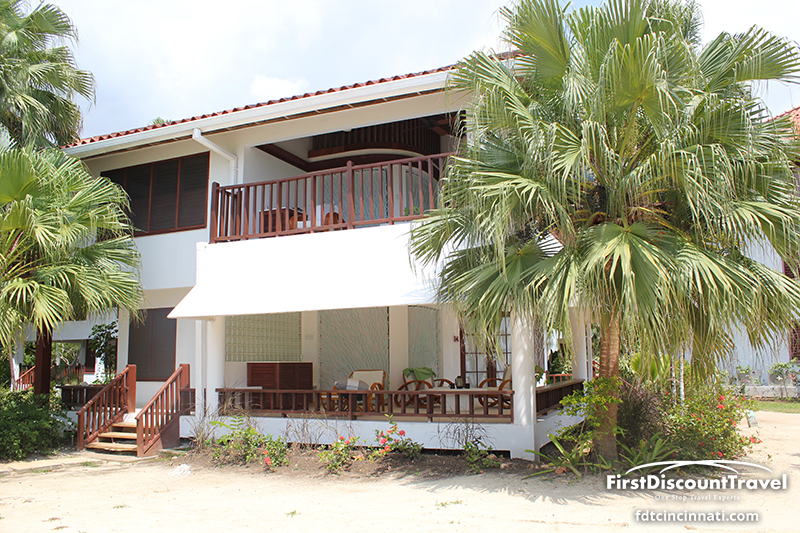 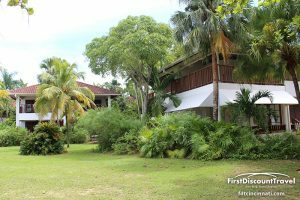 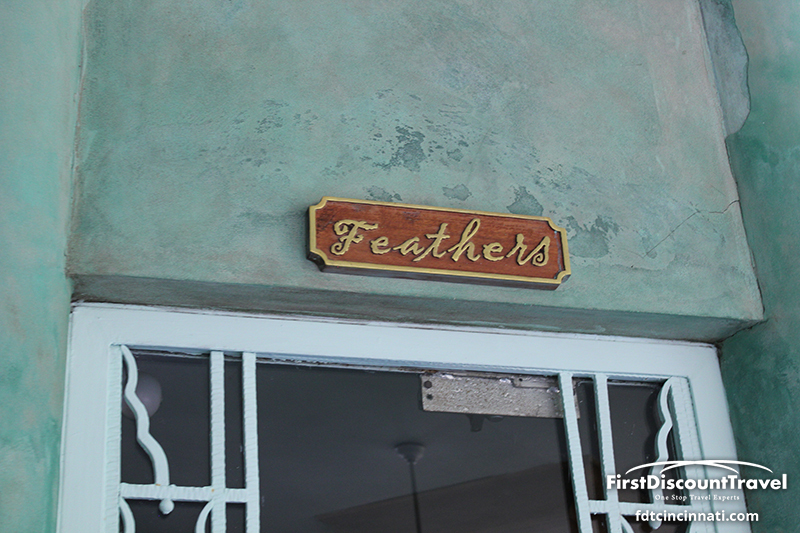 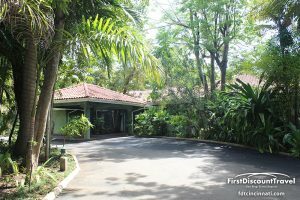 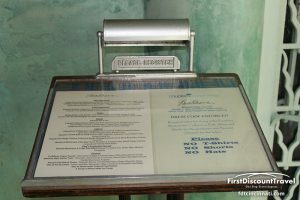 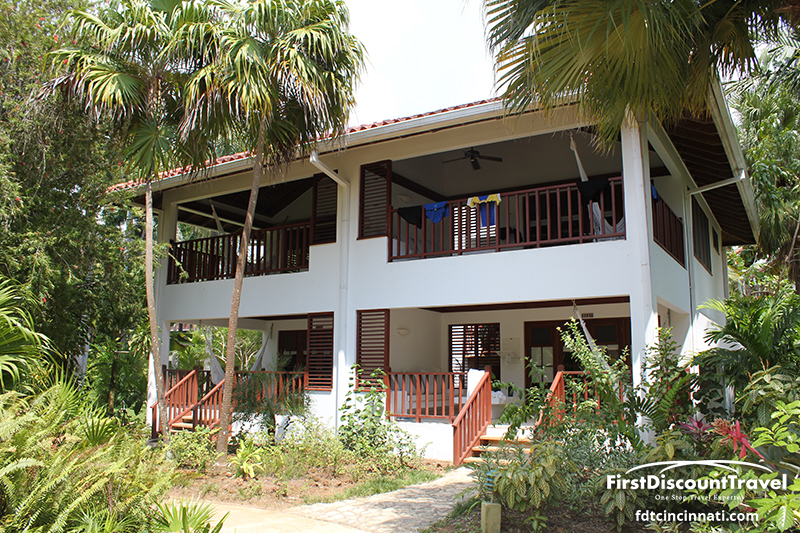 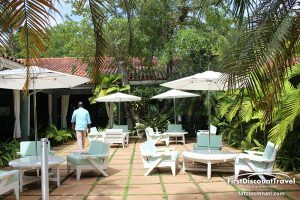 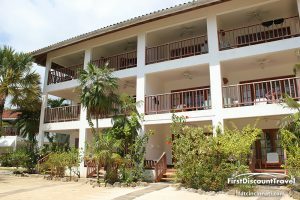 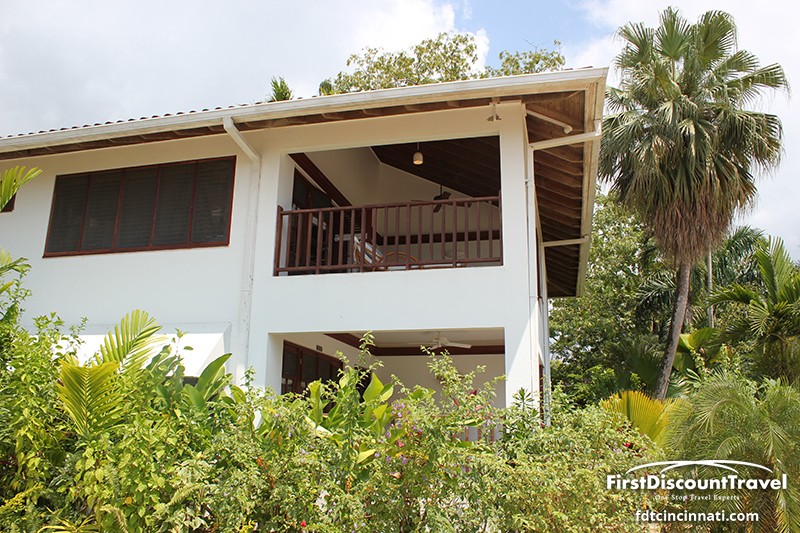 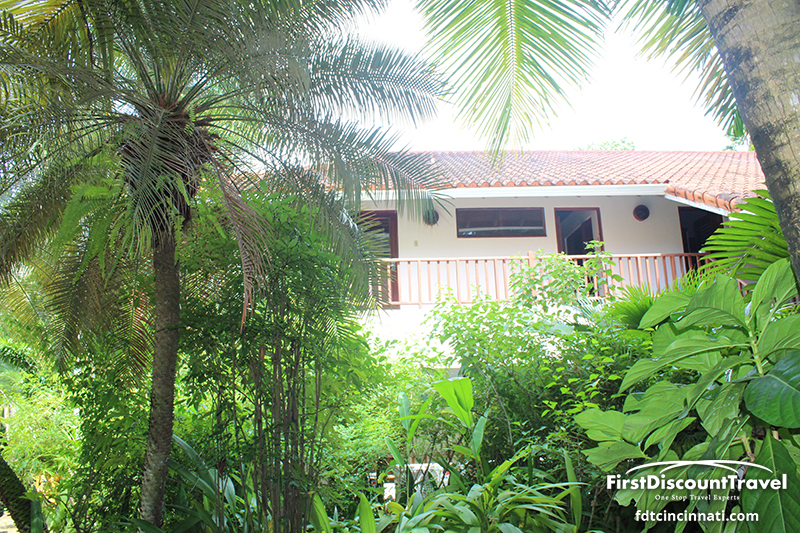 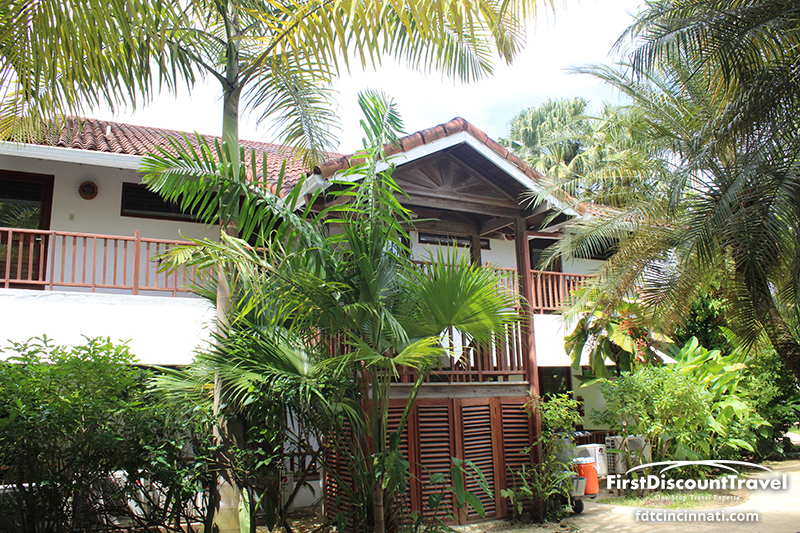 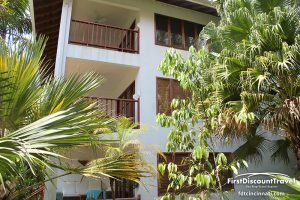 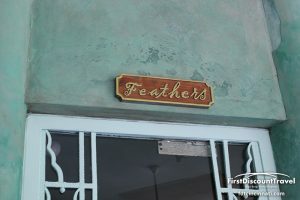 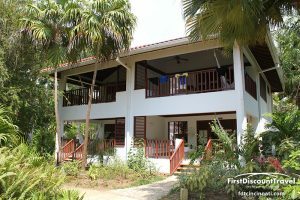 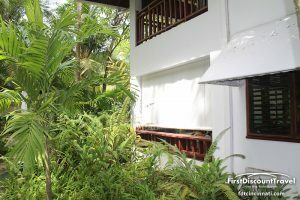 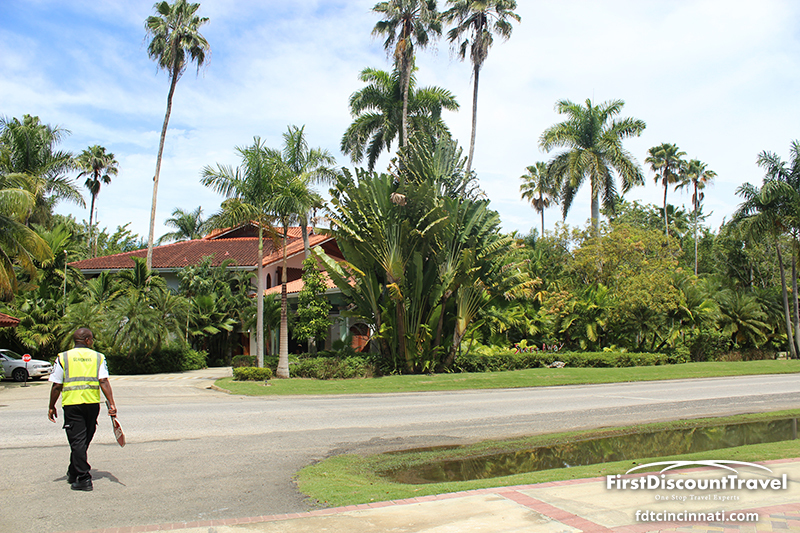 The old rooms are in two story bungalows and the new ones are located in three story bungalows. 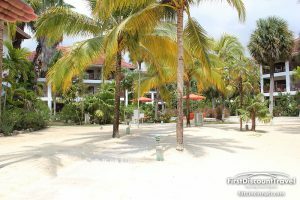 All of the bungalows are white with orange tiled roofs. All of the rooms are considered Jr suites. 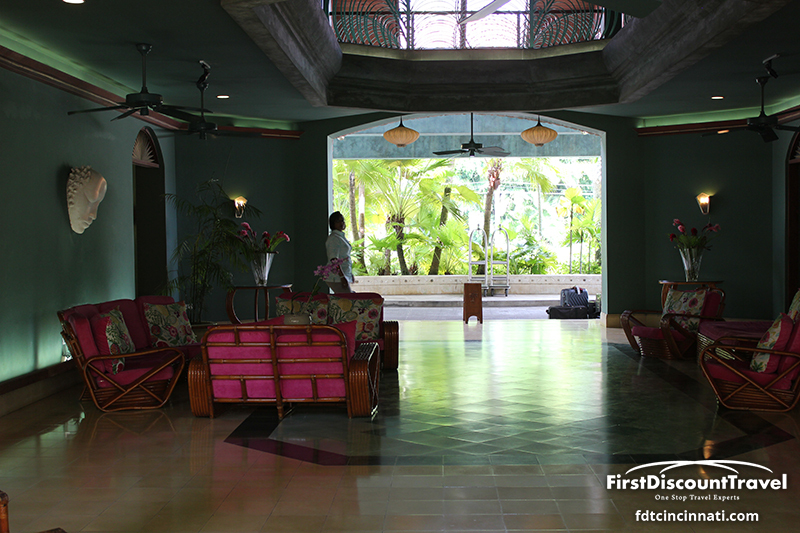 There are 3 room categories in the old buildings: Garden suite, Atrium Suite, and Beachfront Suite. 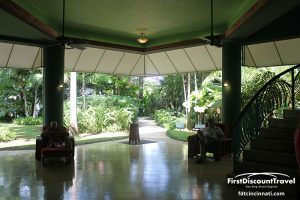 The Garden and Atrium do not have televisions and minibars. 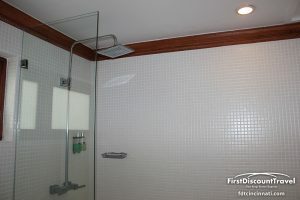 None of the older suites have bathtubs. 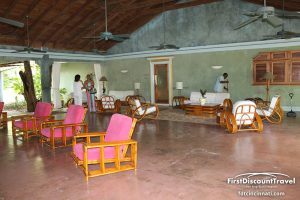 The older suites have the larger verandahs. 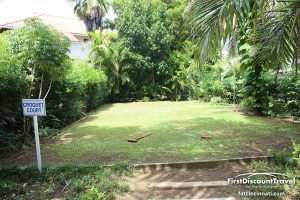 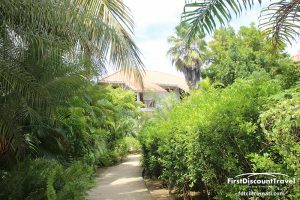 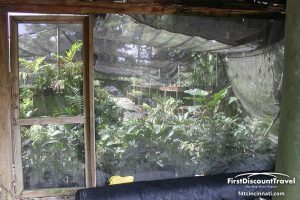 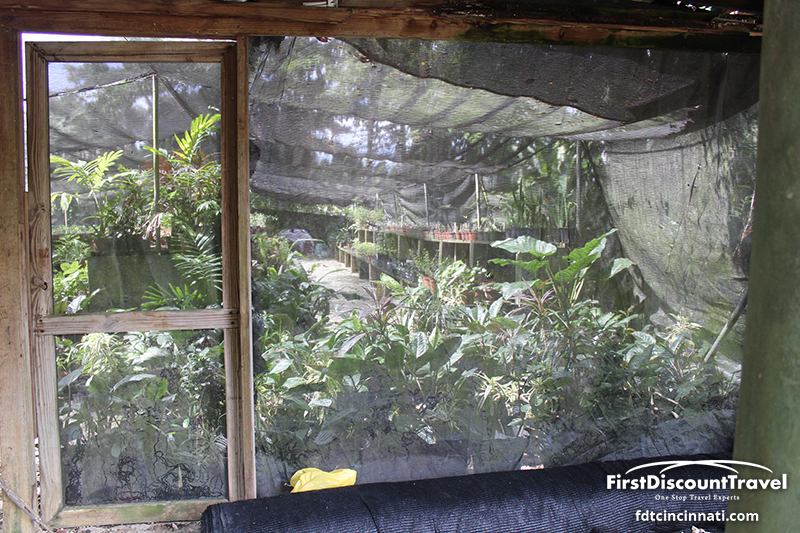 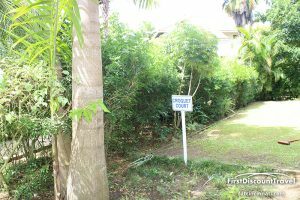 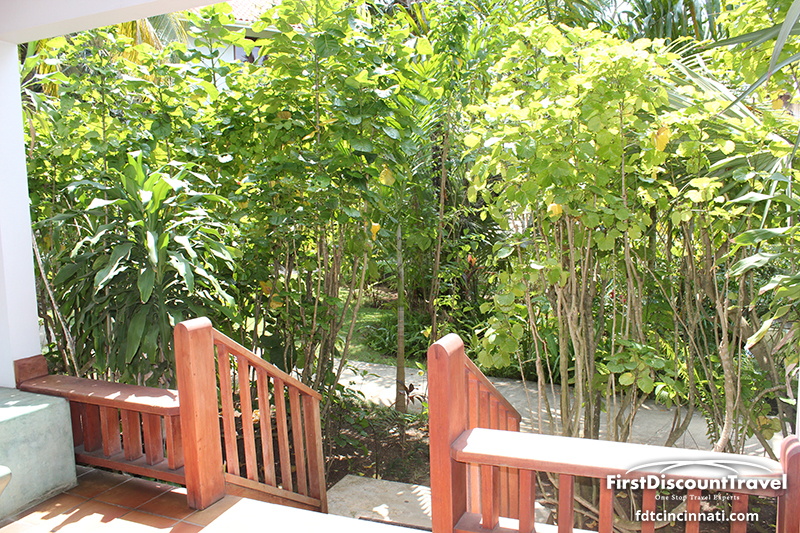 The garden suites are located on the perimeter of the property. 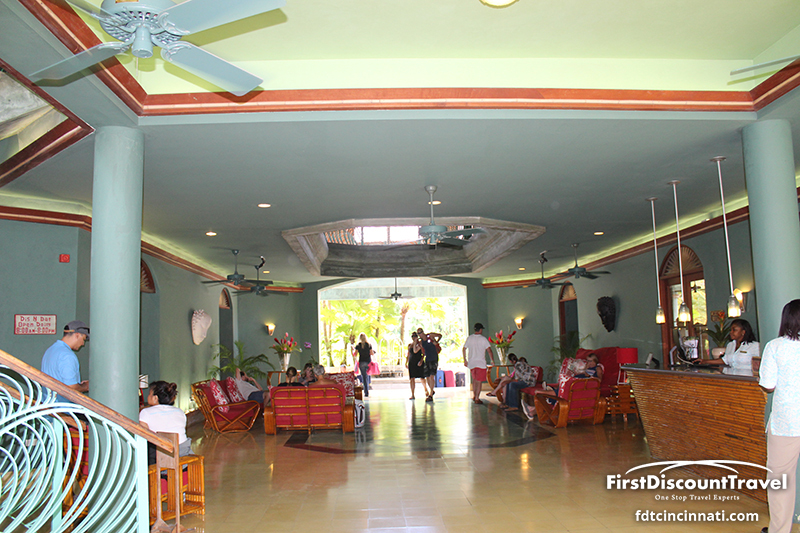 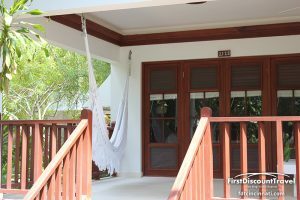 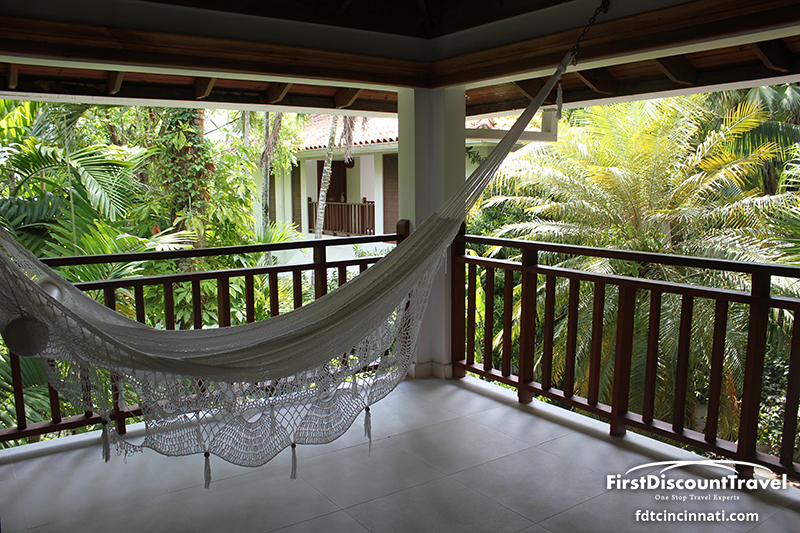 The Atrium suites are located in the center of the resort and have hammocks. 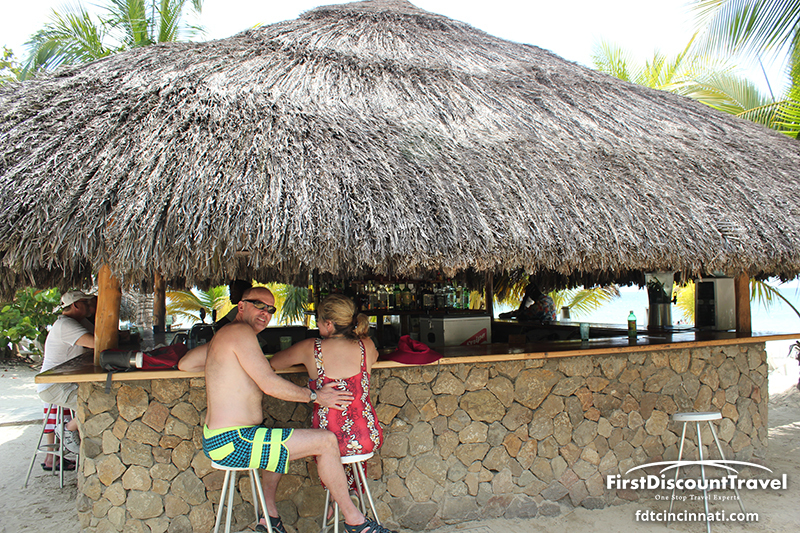 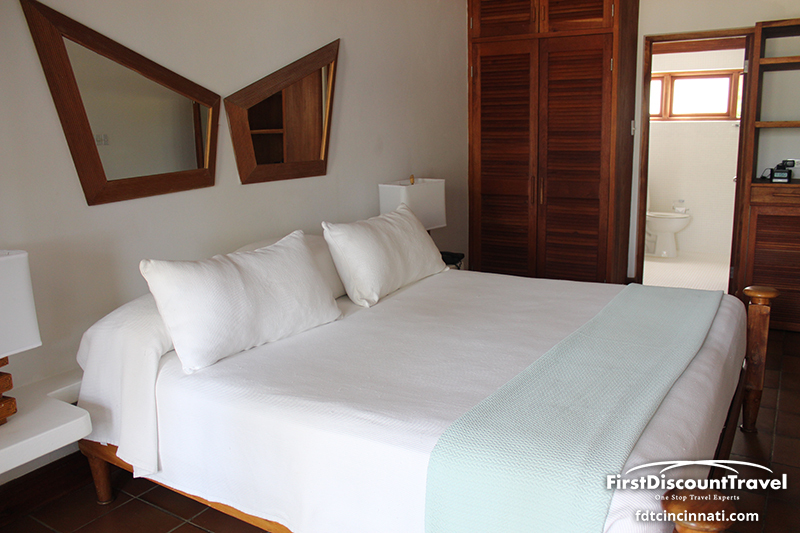 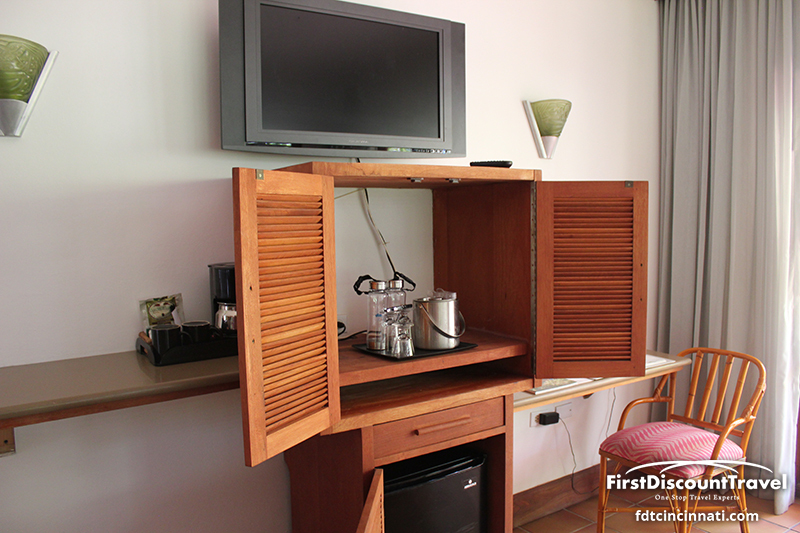 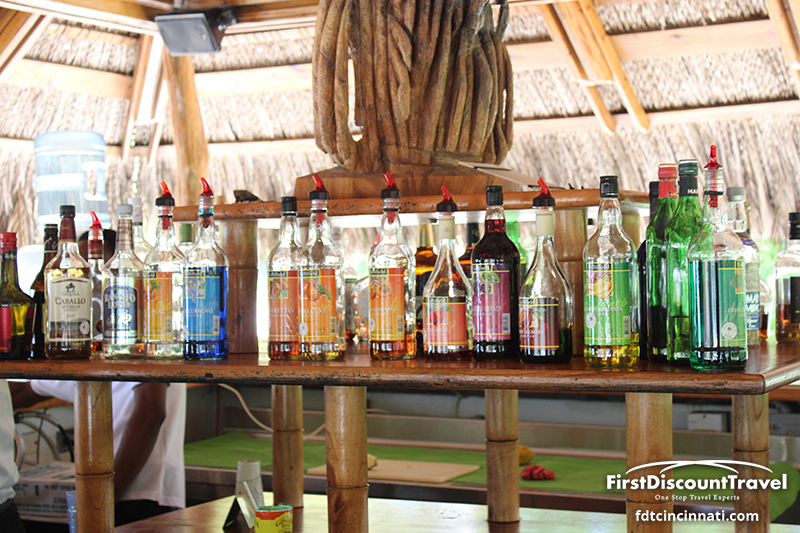 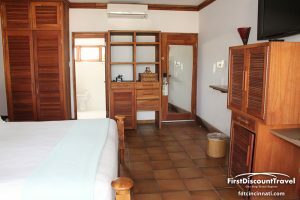 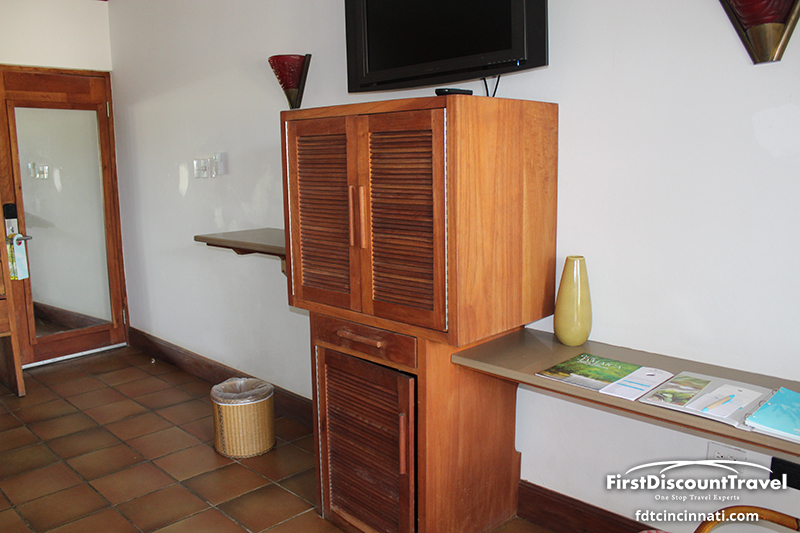 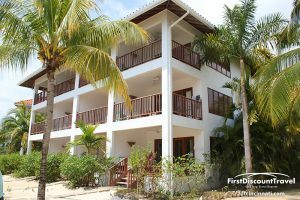 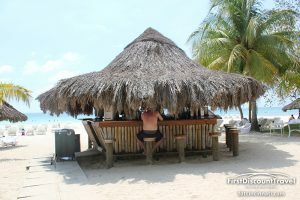 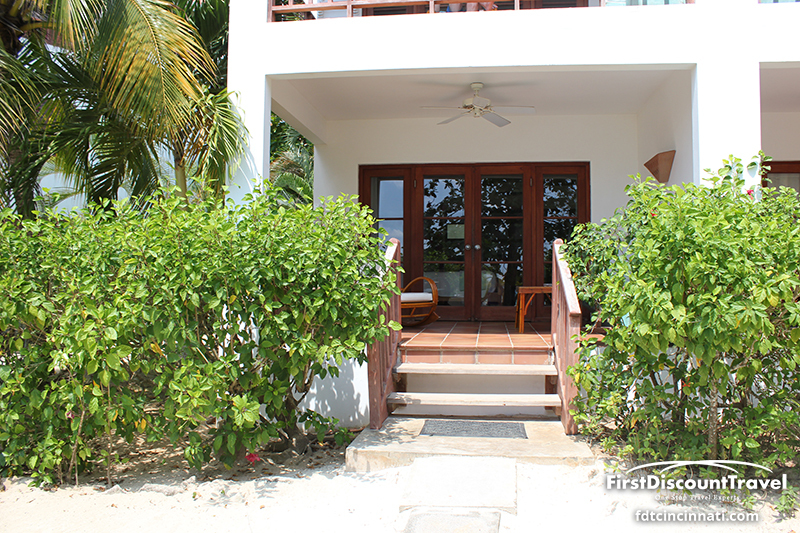 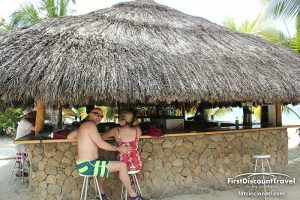 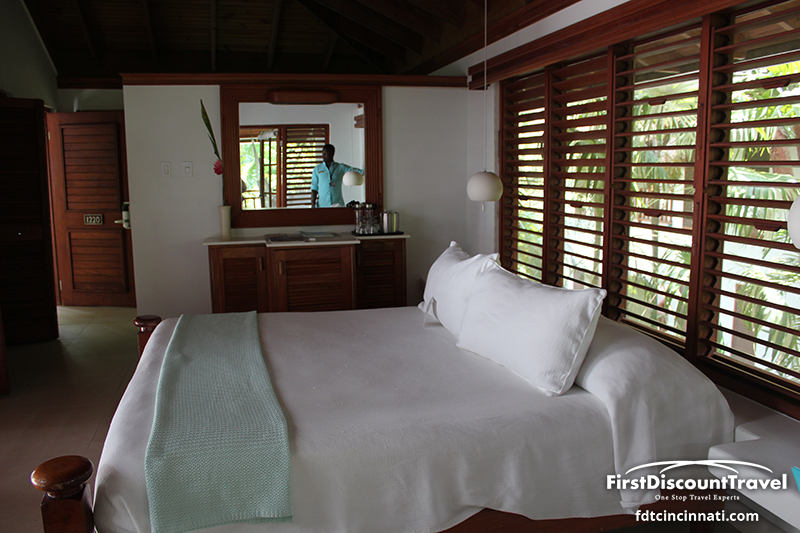 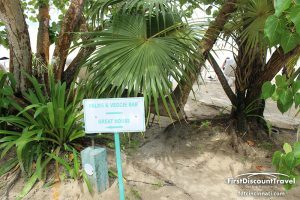 The beachfront suites are located on the beach and have a minibar. None of these suites have televisions! The newer suites always have the word verandah in the room category. 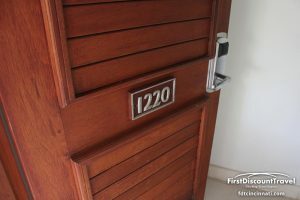 This is a little misleading since the newer suites have slightly smaller verandahs than the older suites. 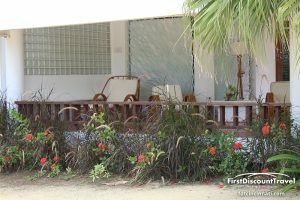 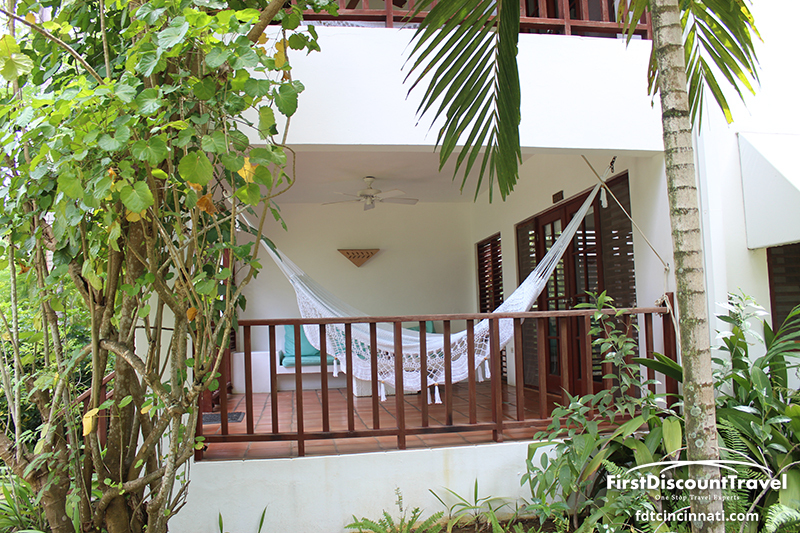 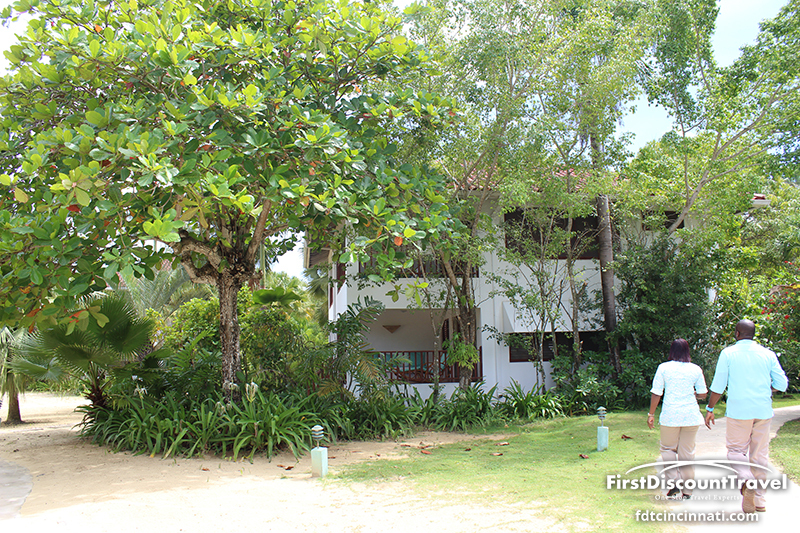 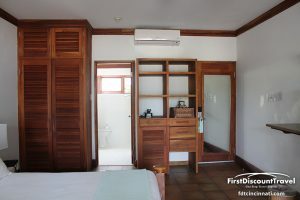 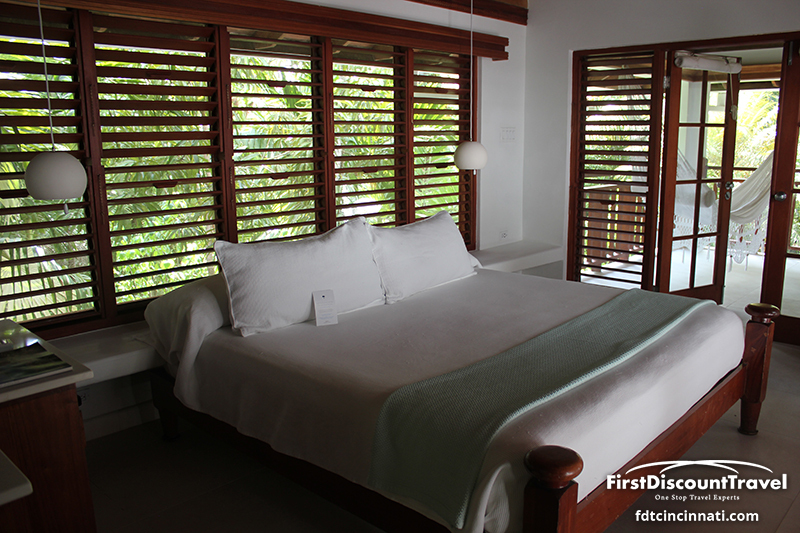 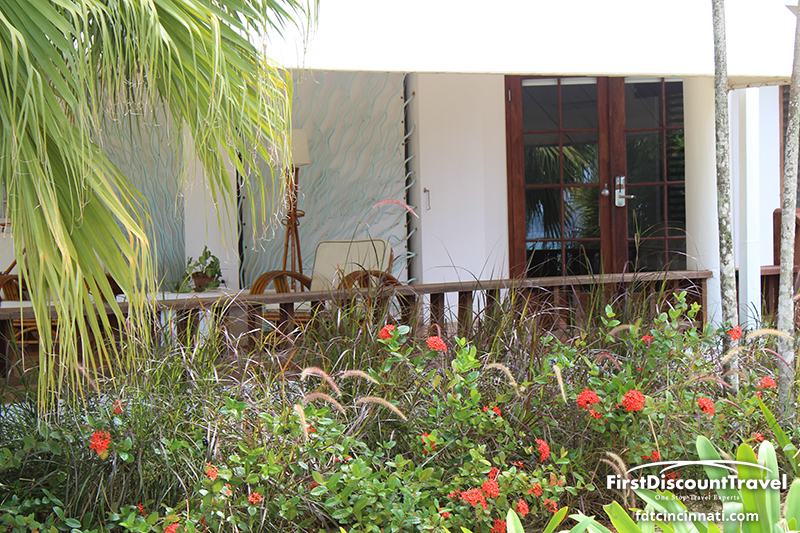 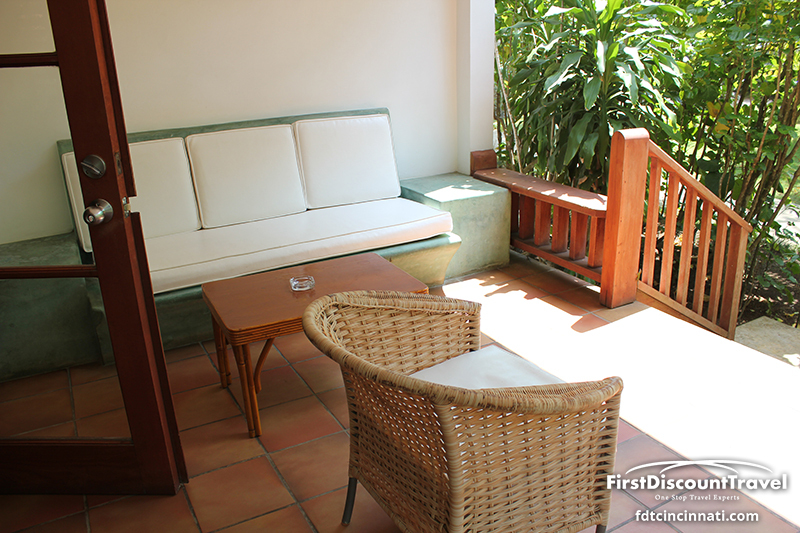 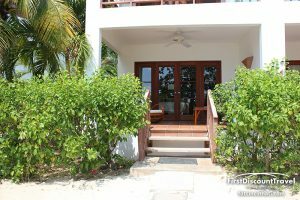 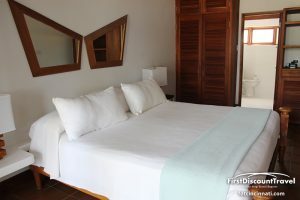 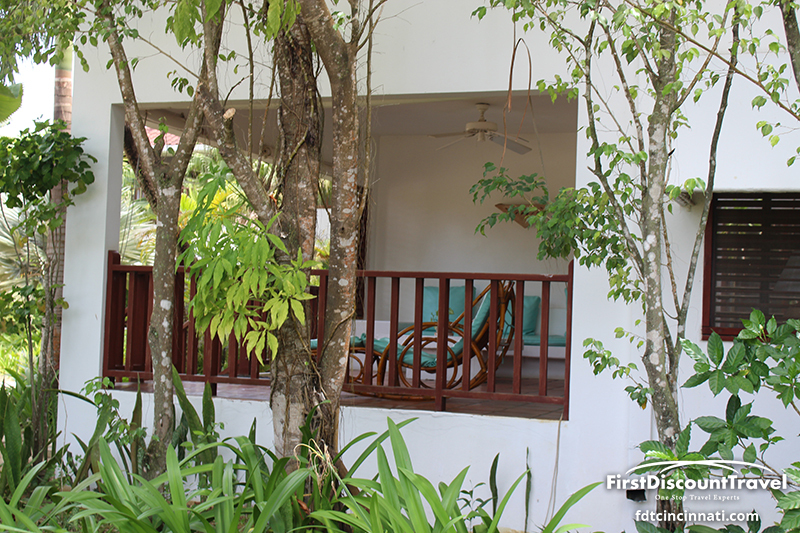 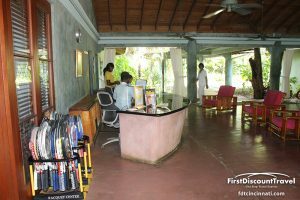 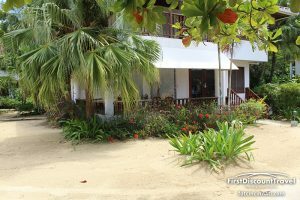 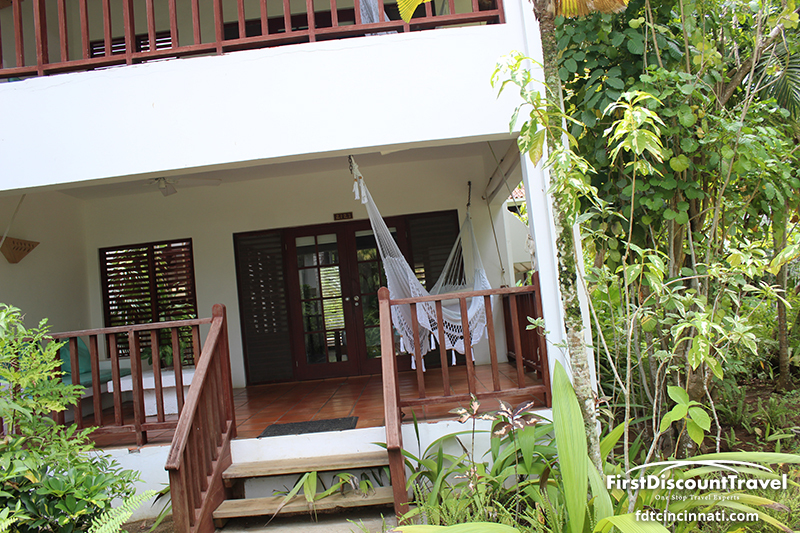 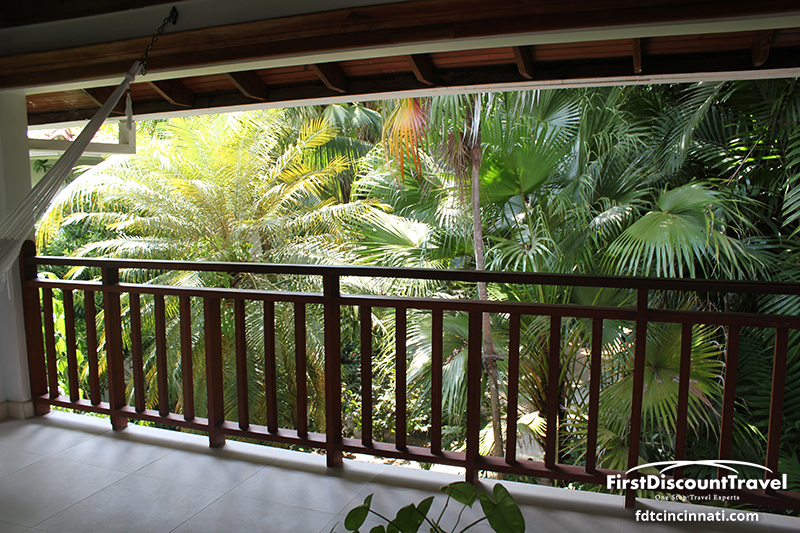 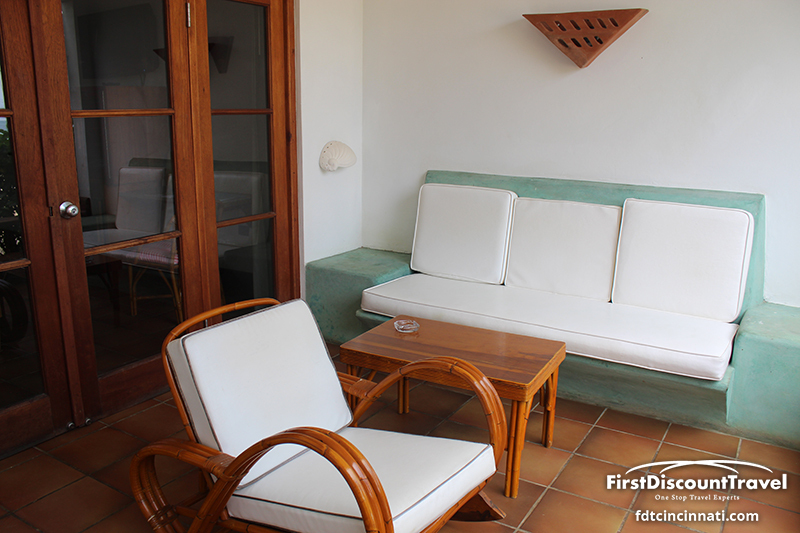 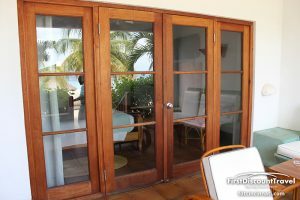 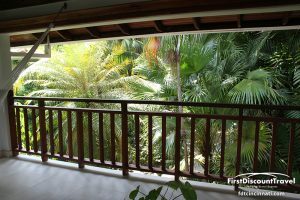 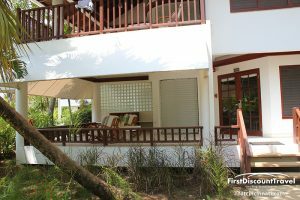 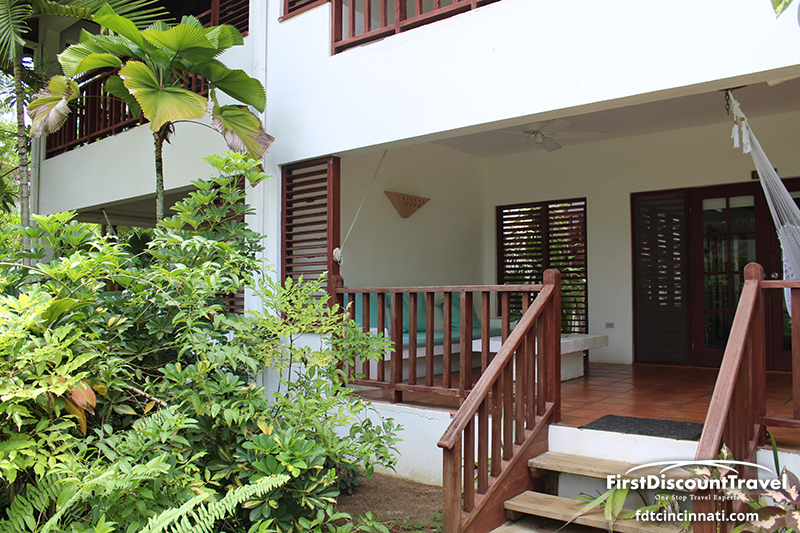 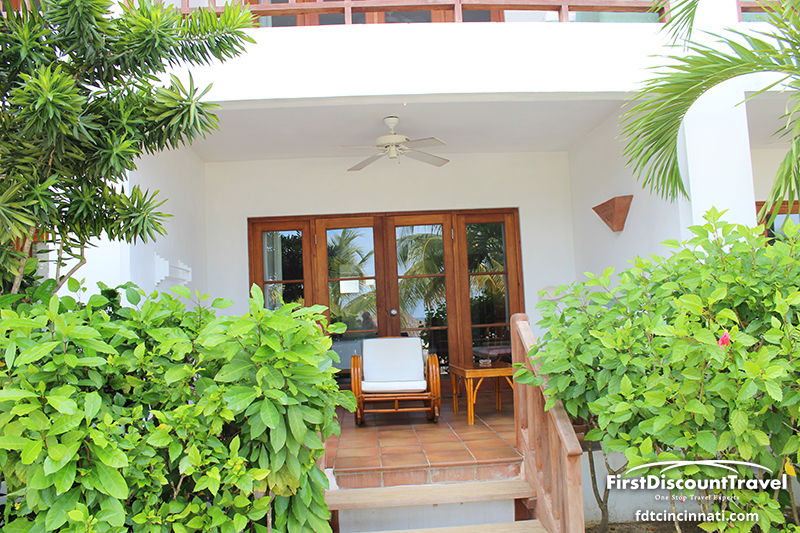 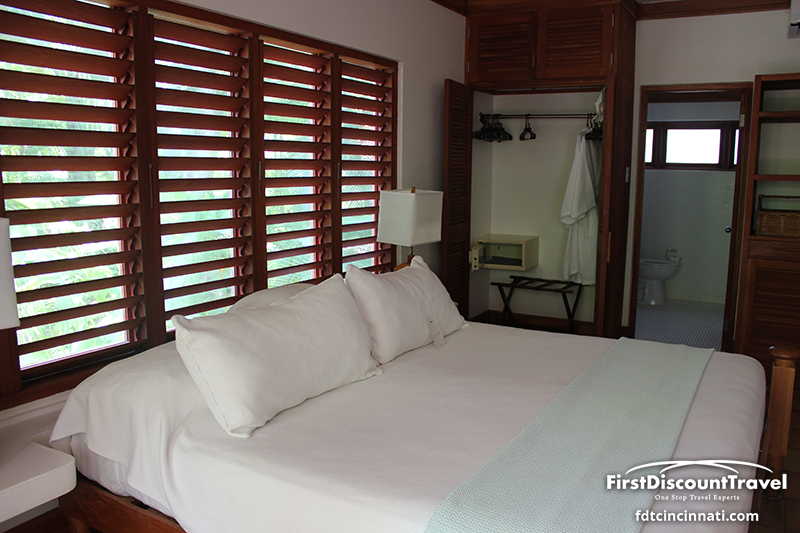 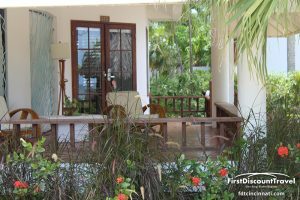 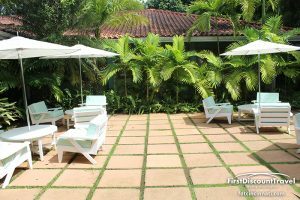 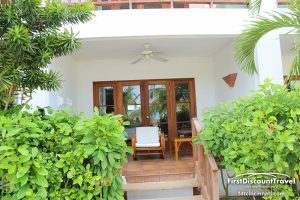 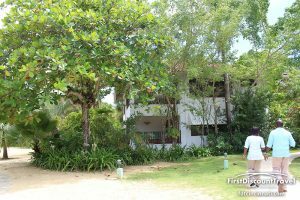 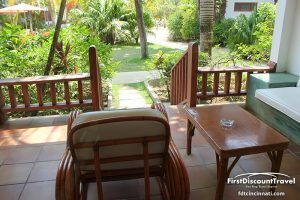 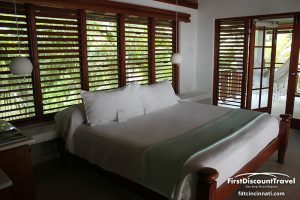 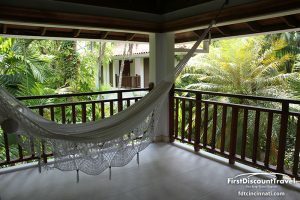 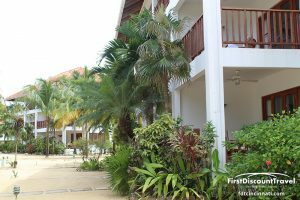 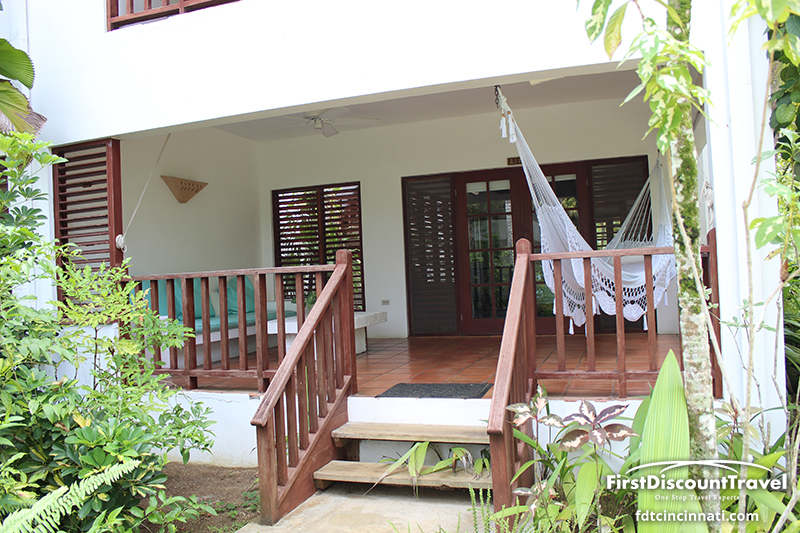 The room categories are garden verandah, ocean verandah, and beachfront verandah. 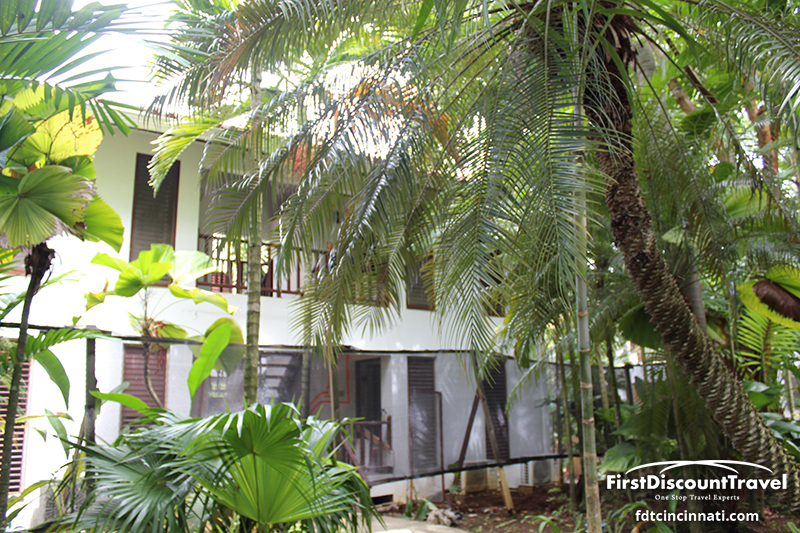 The newer suites are located in the three story buildings. 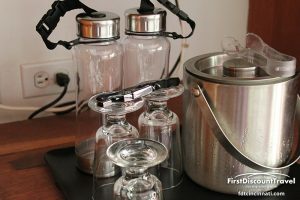 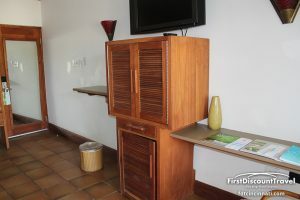 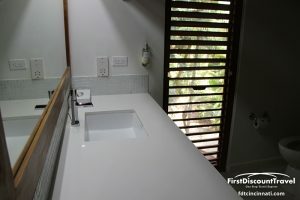 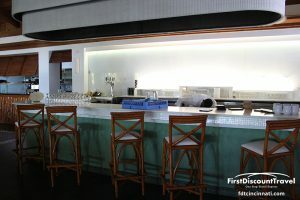 All of the newer suites have a television and a stocked minibar (bottled water, beer, soft drinks and premium liquors). 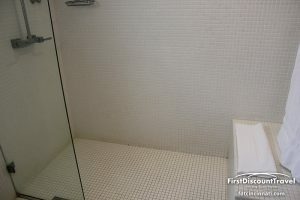 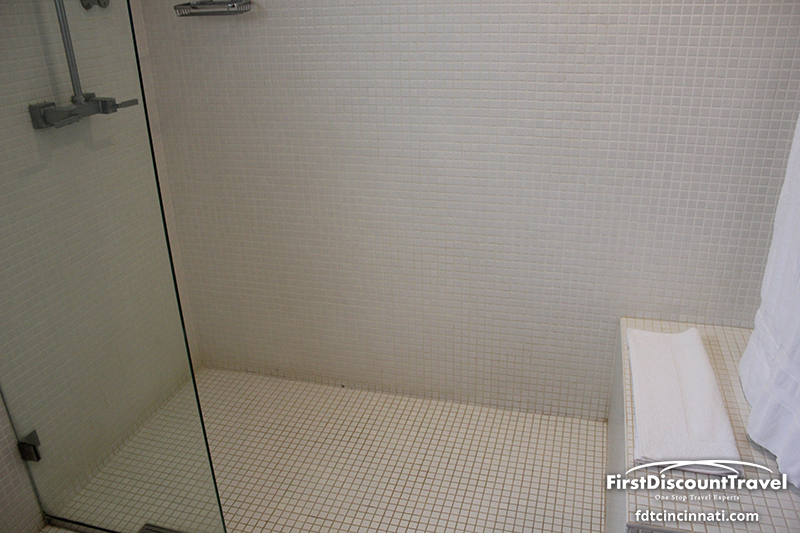 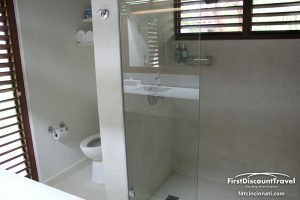 All of the newer suites have a tub/shower and the same square footage. 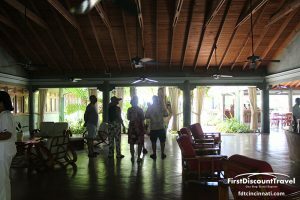 The verandahs on the newer suites are very nice, but not quite as large as the older suites. 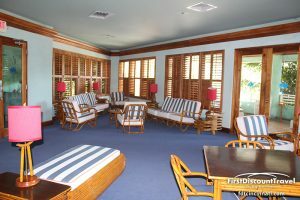 There are two new room categories located in the Great House. 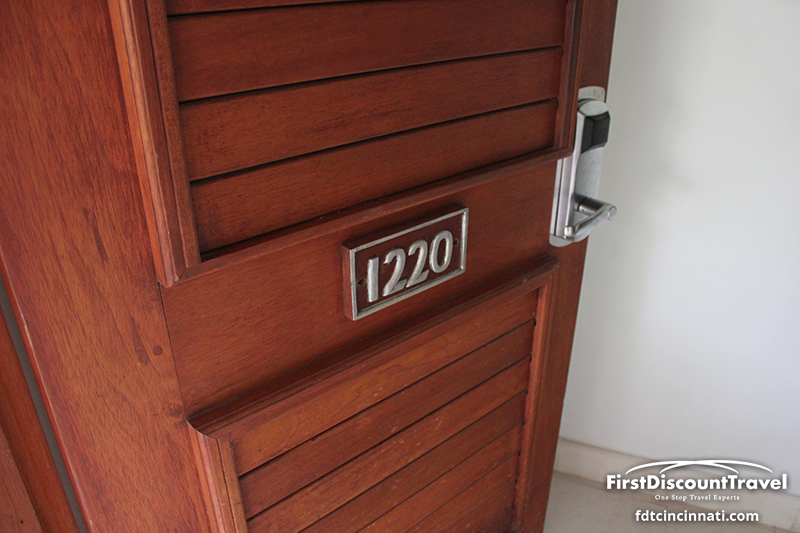 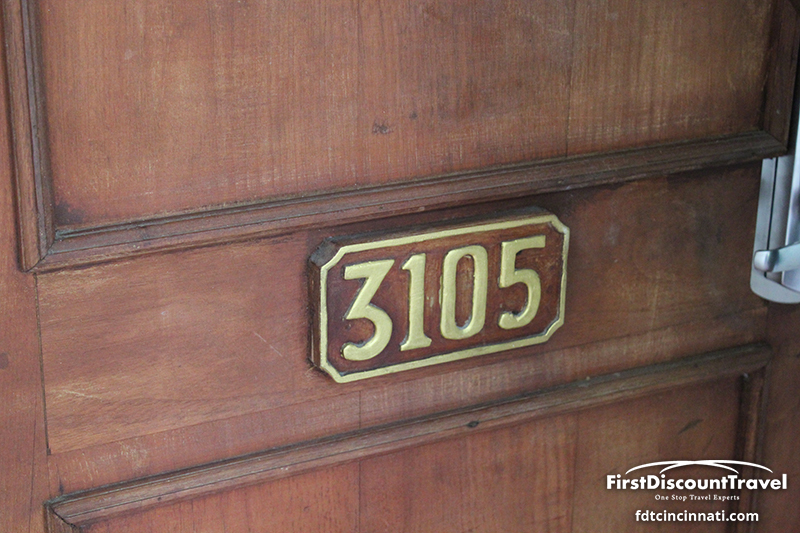 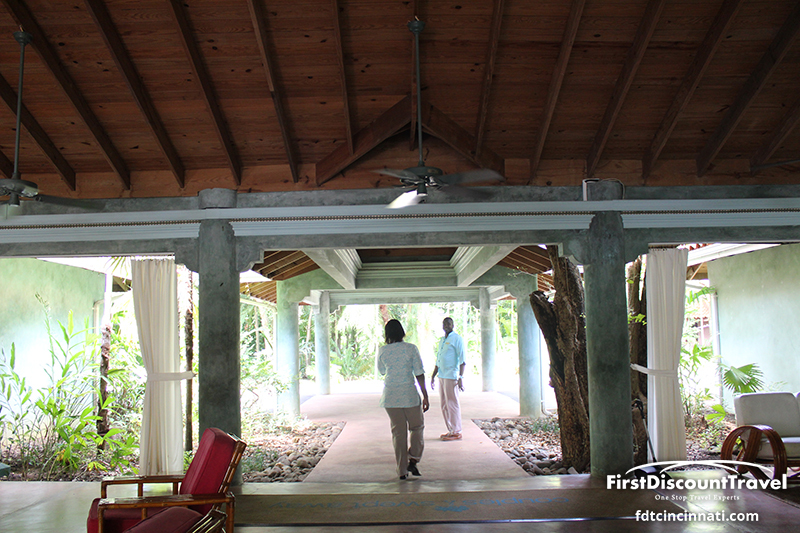 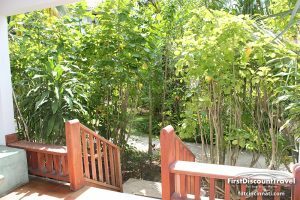 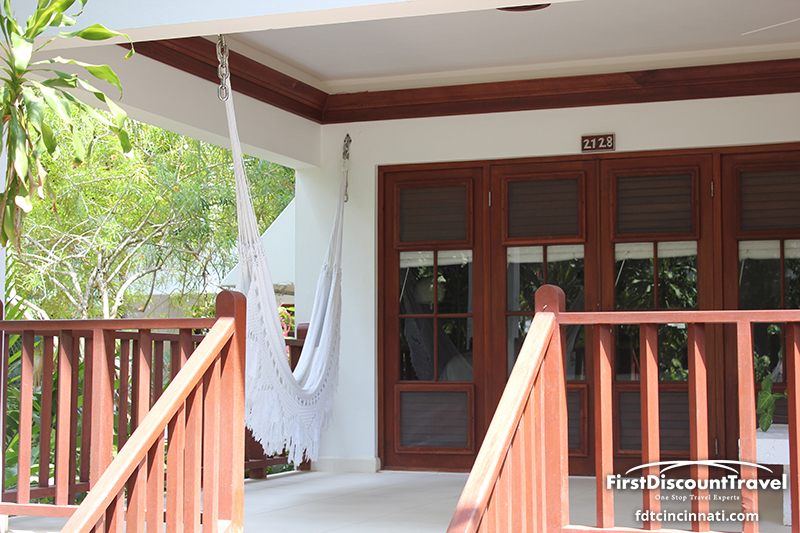 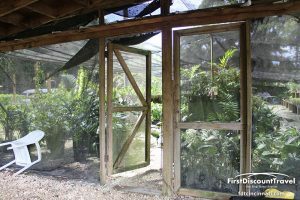 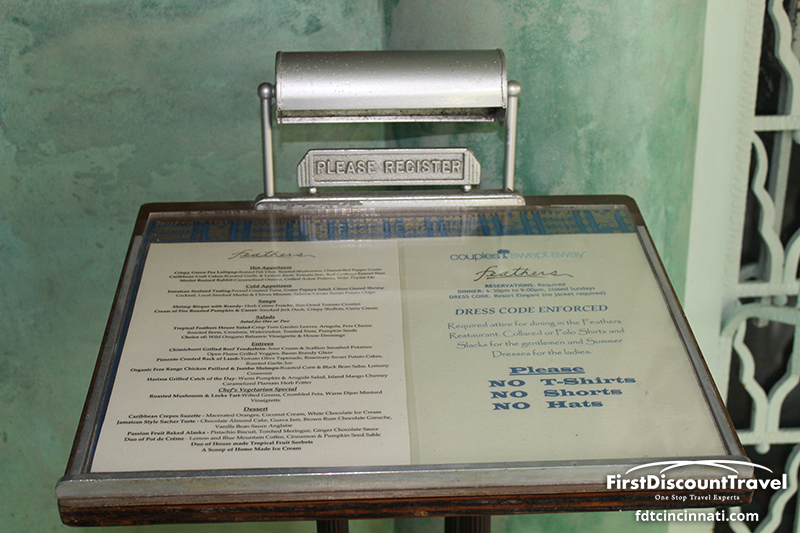 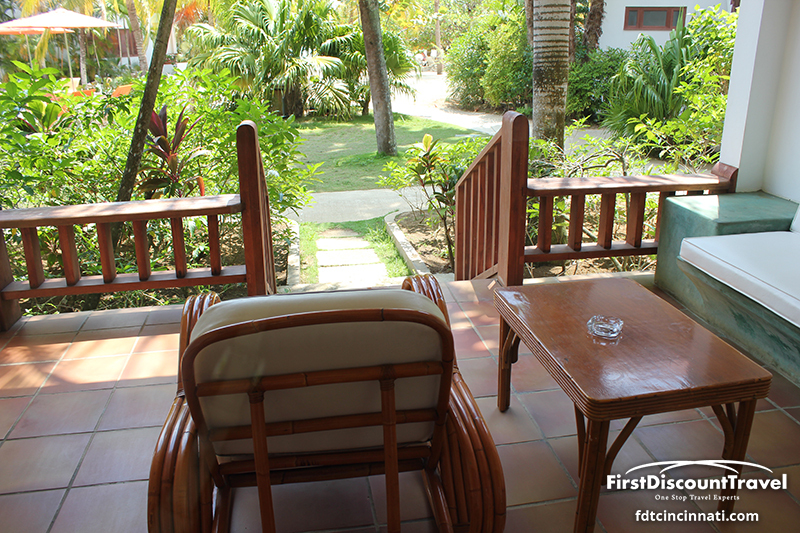 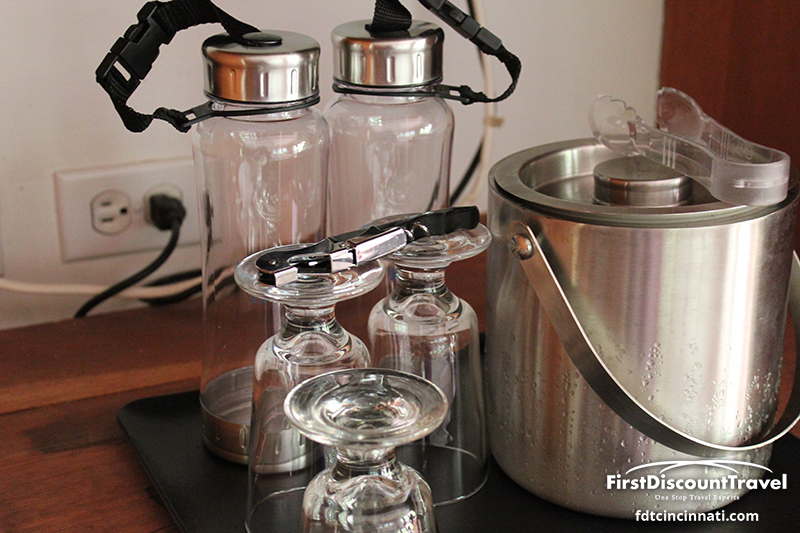 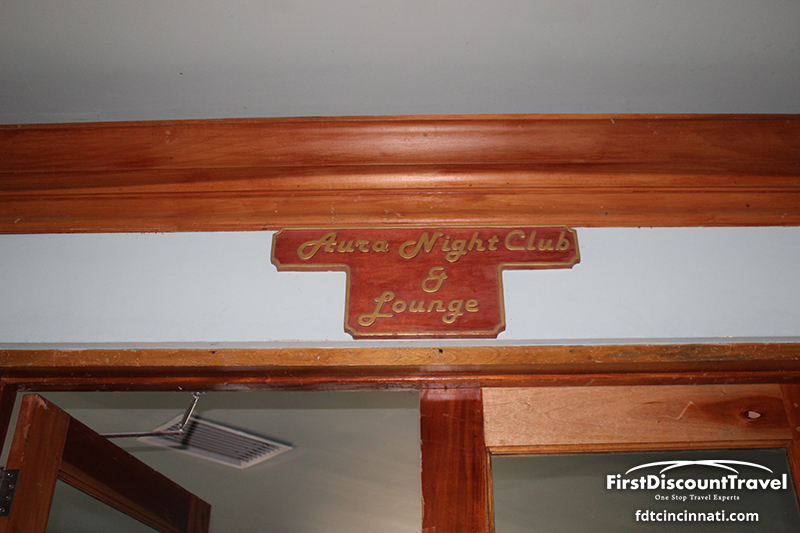 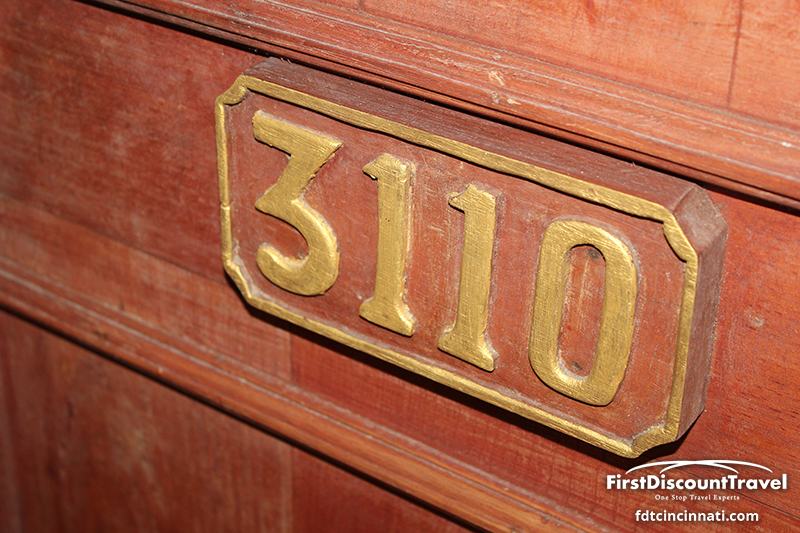 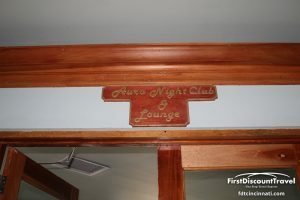 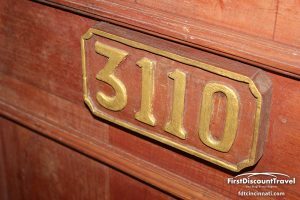 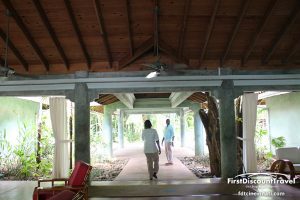 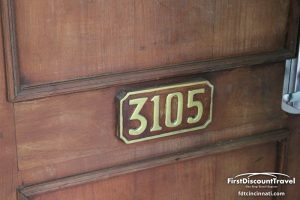 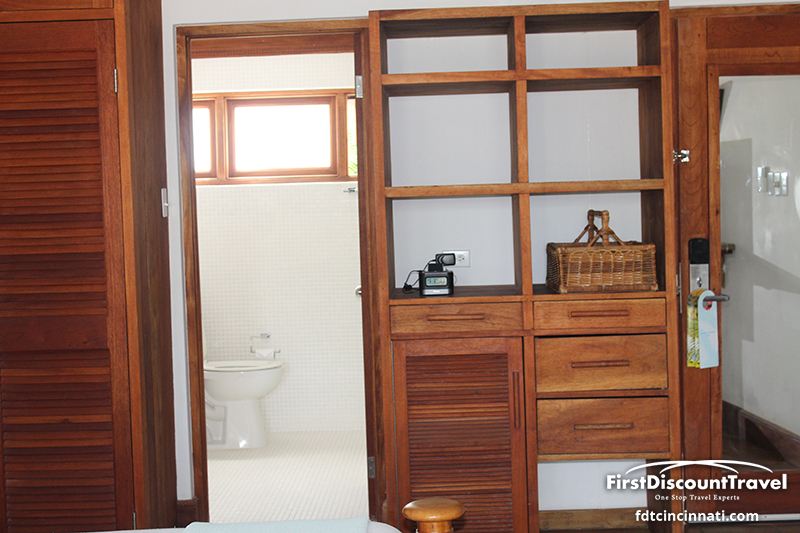 These are not in the bungalows and are accessed through a traditional hotel hallway. 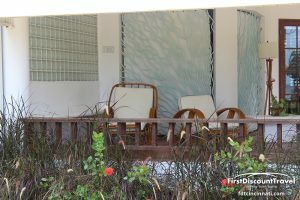 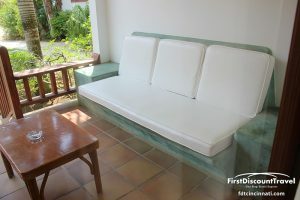 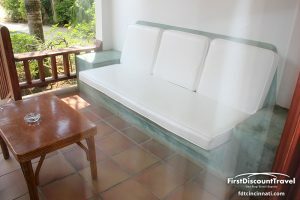 They are identical to the other verandah suites except location. 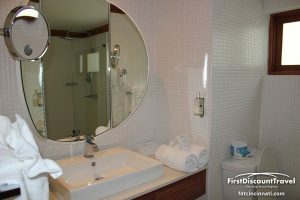 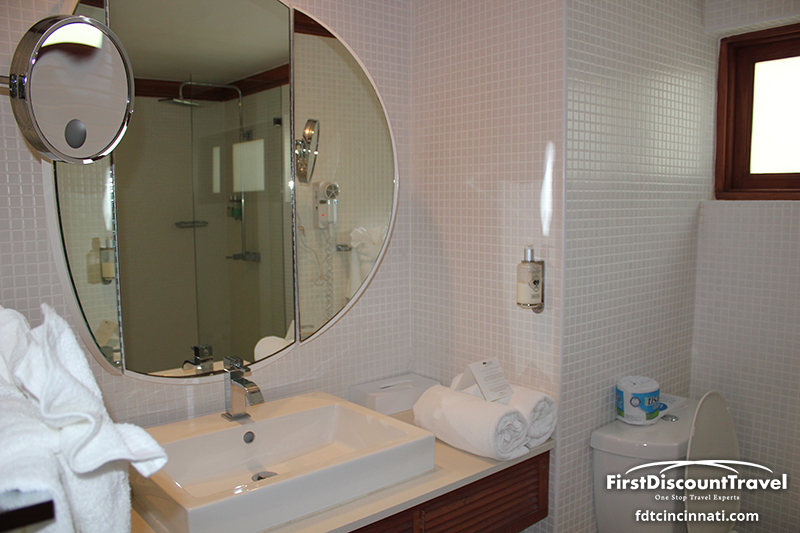 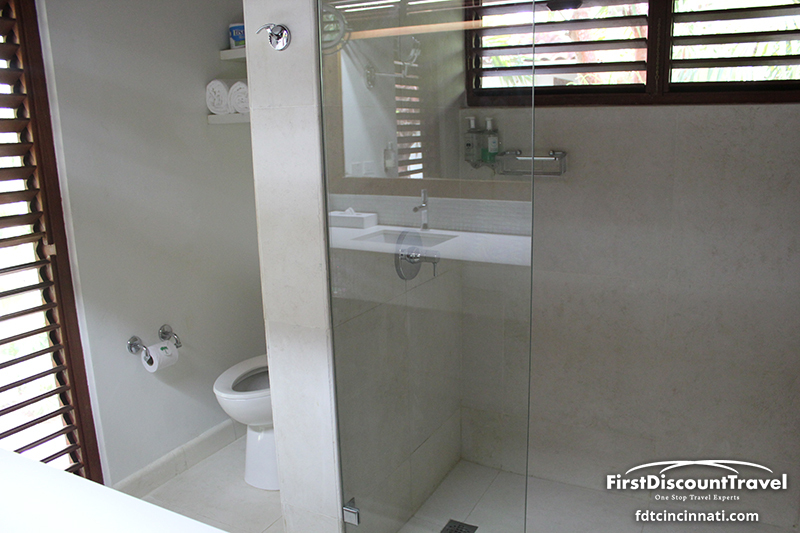 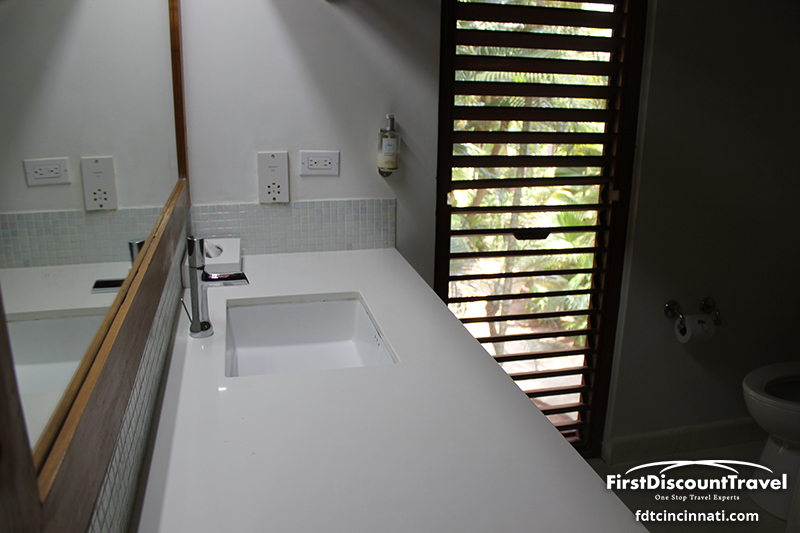 The Jacuzzi suite has a huge bathroom with Jacuzzi and ocean view.